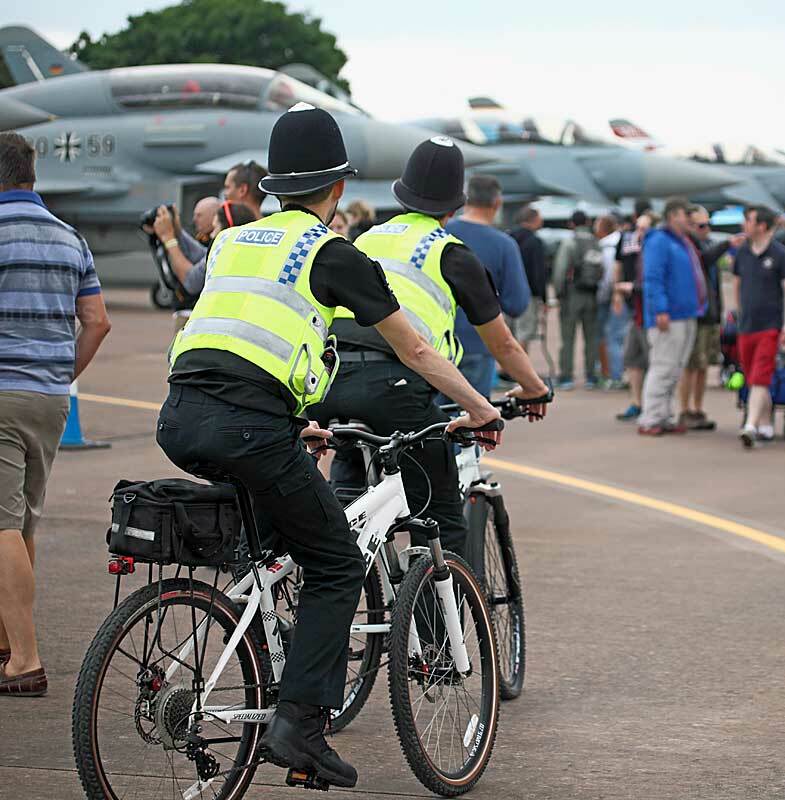 The 2016 Royal International Air Tattoo (RIAT) was held at RAF Fairford in Gloucestershire over the weekend of 8 - 10 July. 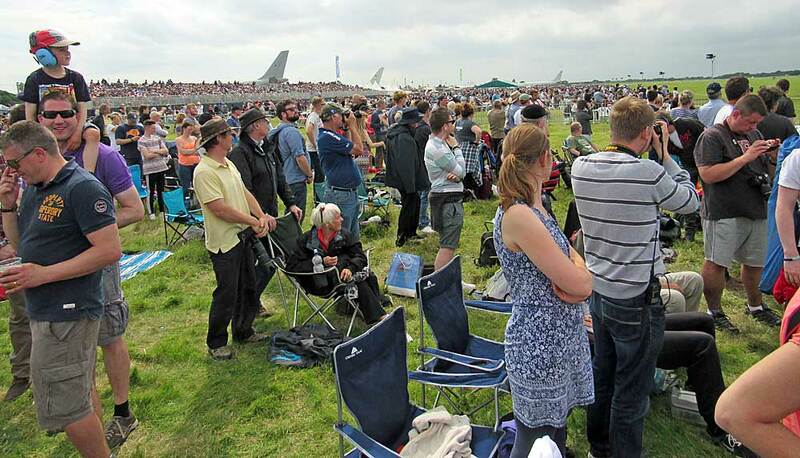 The three day event attracted a sell-out crowd of 153,00 people who were treated to a succession of displays by some of the world`s leading pilots in a variety of aircraft. 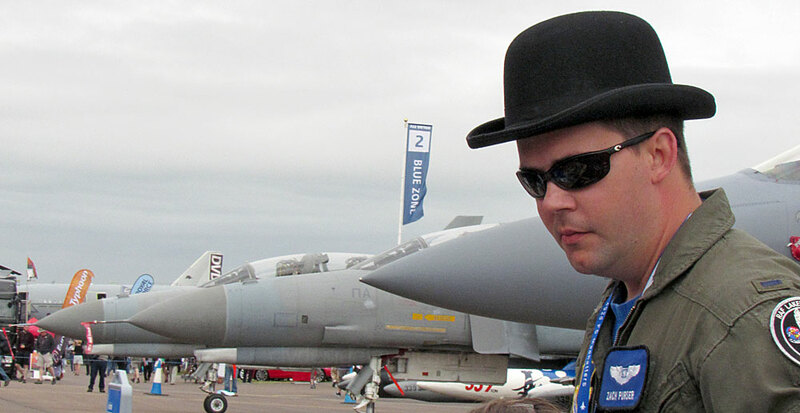 I had only attended the RIAT once before, in 2014, when the star attraction was scheduled to be the first appearance in the UK of the new F-35 Lightning II. Due to a technical issue, the type was grounded in the US pending checks but, despite this major disappointment, the weather and the flying programme were excellent with the displays taking place in a clear blue sky. 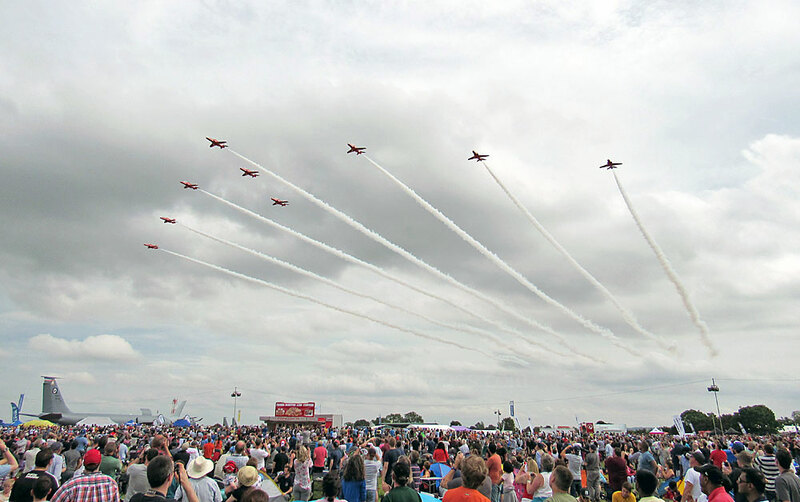 With the F35 due to make its UK debut at this year`s Tattoo, I purchased my online ticket well in advance for Saturday 9 July and hoped that the weather would be favourable on the day. Unfortunately, although it stayed dry, it remained overcast until mid-afternoon, when small gaps in the clouds finally appeared. 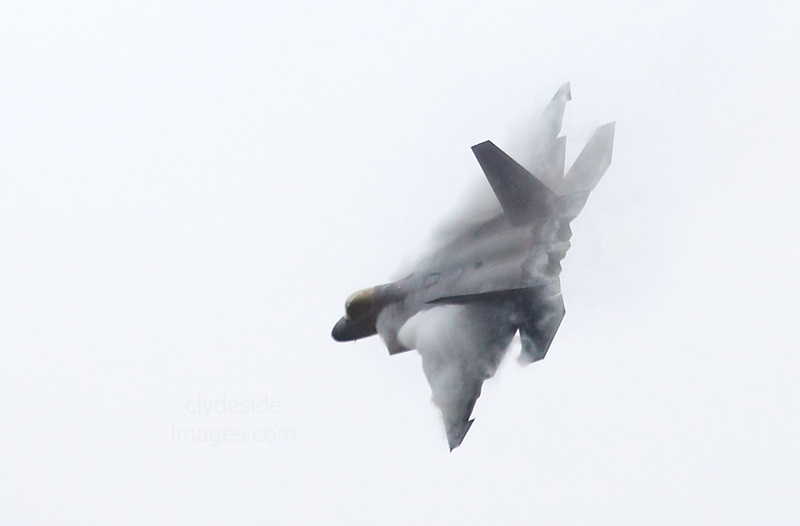 ​​Not the best conditions for photography but it could have been a great deal worse. 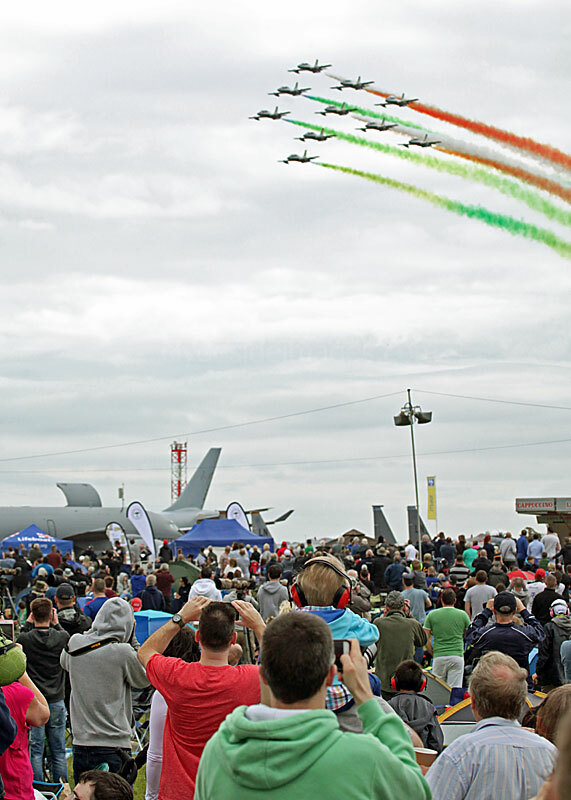 More than 230 aircraft from 37 air arms in 24 countries participated in RIAT 2016. 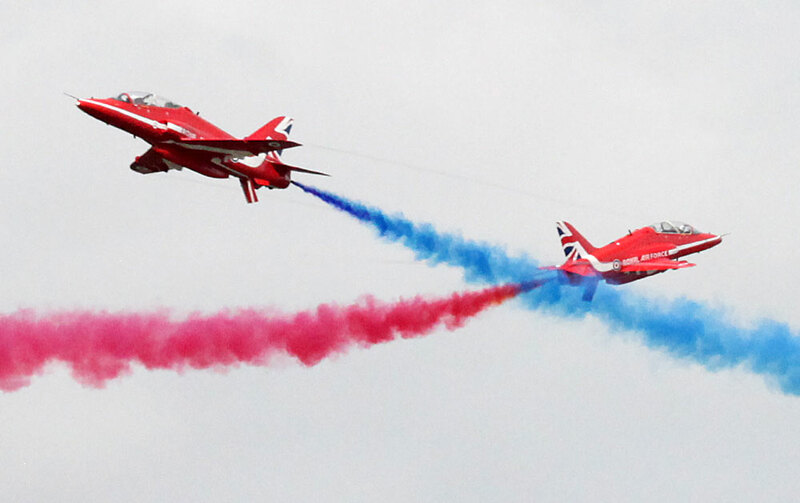 As expected, the organisation on the ground and in the air was excellent. Visitors were treated to an 8 hour flying programme which included several aerobatic teams and a unique flypast with the new F-35 Lightning II and an RAF Typhoon in formation with the Red Arrows. 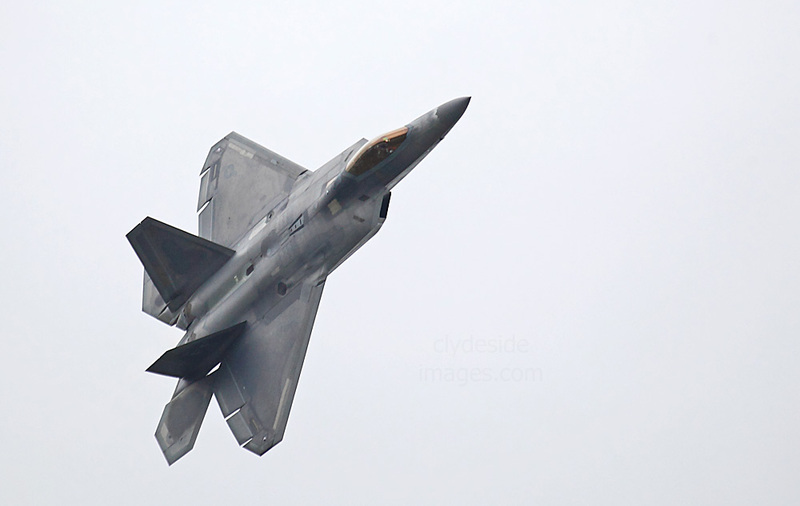 With the prospect of a long journey back home, I left Fairford around 5pm and consequently missed the last few displays. 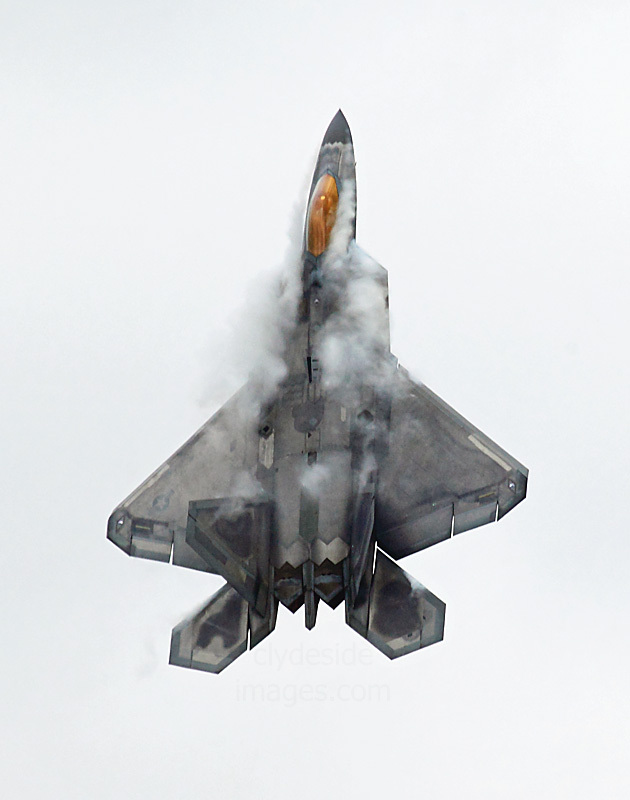 Even so, hopefully these shots will help to show what the RIAT has to offer. 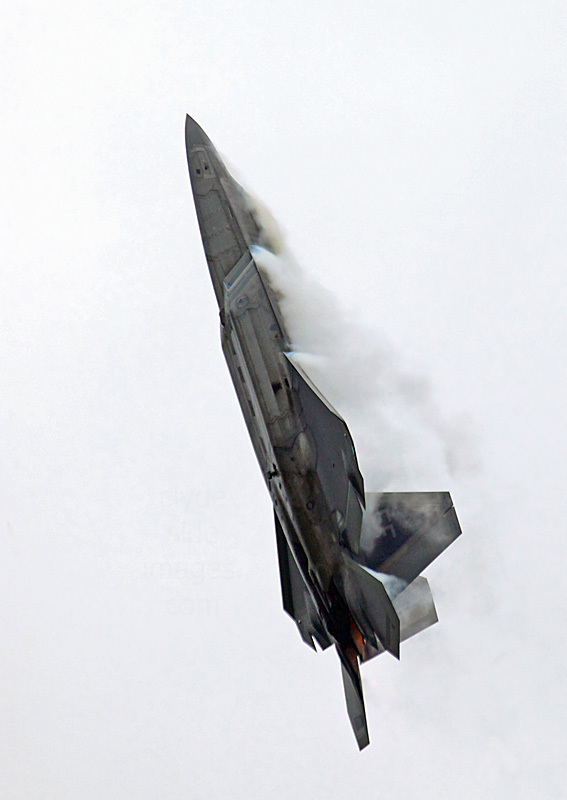 RAF F-35B Lightning II ZM137 (BK-3) 17(R) Sqn/OEU. 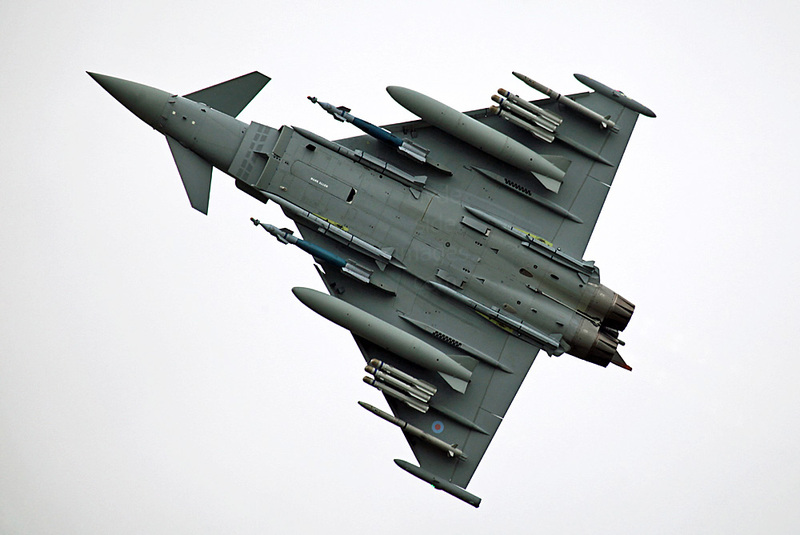 ​Typhoon FGR.4 ZK356 is BAe`s demonstrator and unlike the RAF`s display aircraft is decked out with a simulated full weapons load. 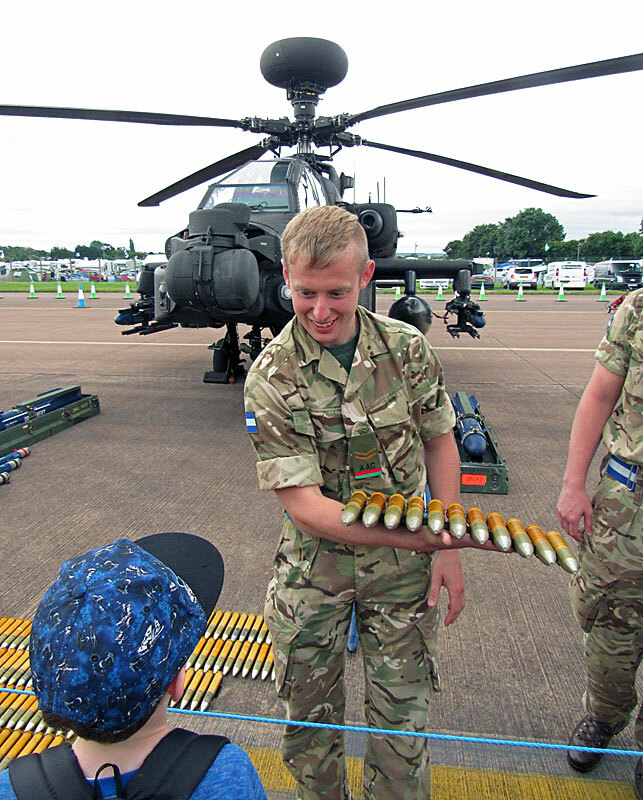 The` driver`, BAe Systems test pilot Nat Makepeace, won the Steedman Display Sword for his outstanding routine which was voted best flying demonstration by a UK participant. The sword is awarded each year in memory of the late Air Chief Marshall Sir Alasdair Steedman who was the Chairman of the RIAT between 1981 and 1988. 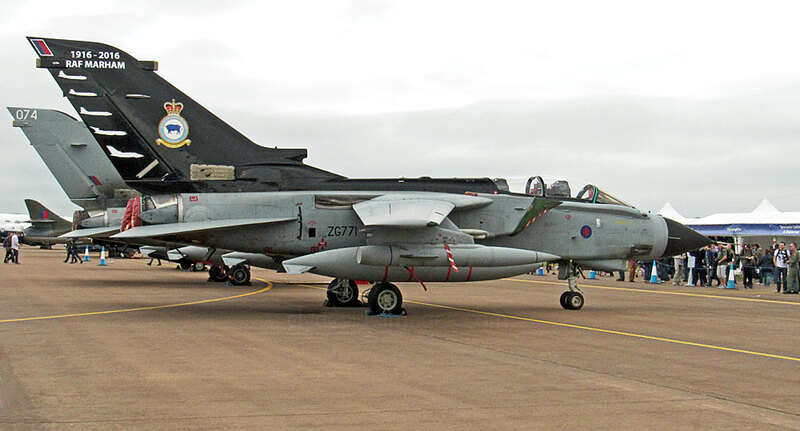 ​Panavio Tornado GR.4T ZG771 with `100 years of RAF Marham 1916-2016` tail markings. Typhoon FGR.4 ZK354 (BY) RAF 29 (R) Sqn OCU. 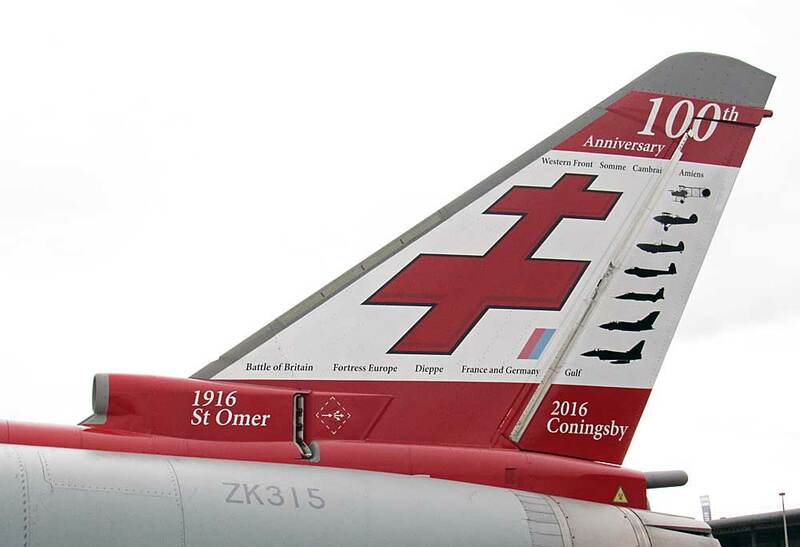 ​The tail of Typhoon FGR.4 ZK315, the 100th of the type built for RAF service, has been painted to commemorate the 100th anniversary of 41 Squadron. 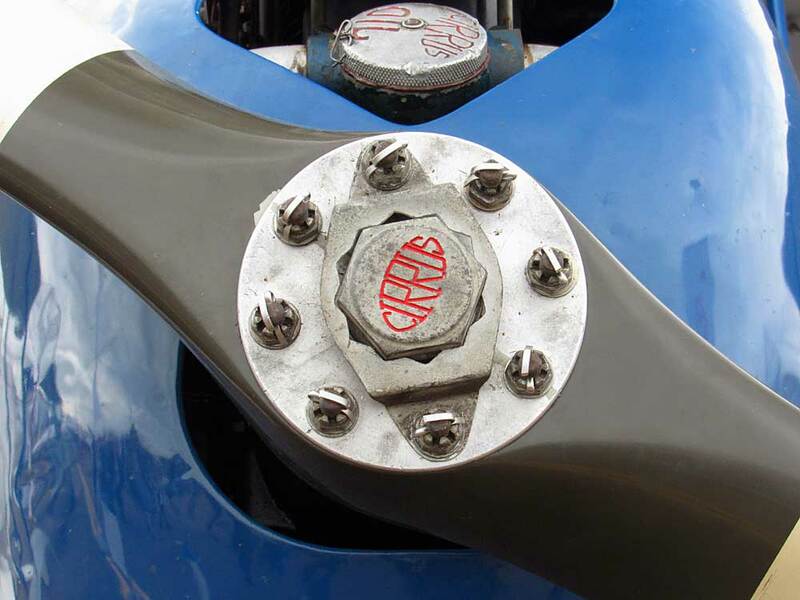 The design incorporates the reverse colours of the cross of St Omer which was adopted as Squadron crest when the unit was first formed on 14 July 1916. 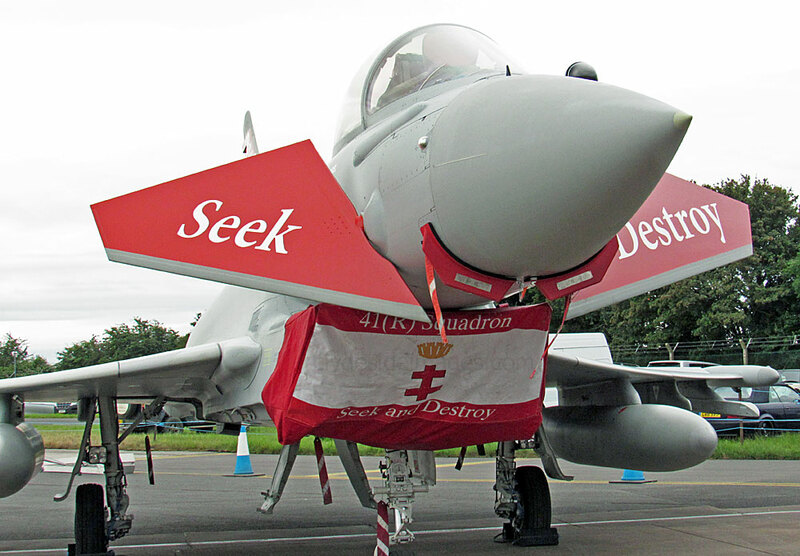 The cross is not fully upright and this is to depict the squadron in their current role as a Test and Evaluation unit. 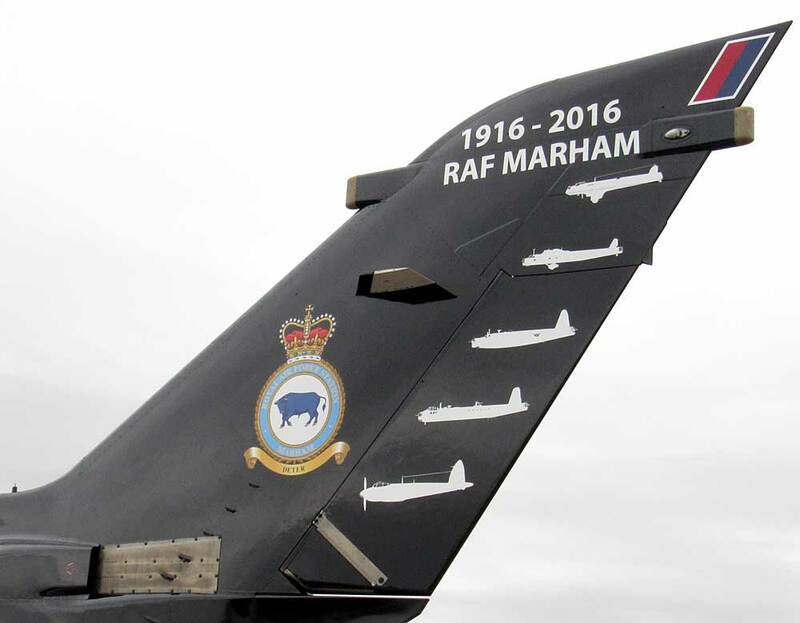 Silhouettes of just some of the aircraft types which played a significant part in 41 Sqn`s history are painted on the rudder. From top to bottom: the Airco D.H.2 (the first aircraft flown by 41 Sqn over the Western Front and Somme battlefields at the early stages of the First World War; the Hawker Fury (one of the main aircraft used between wars and the last Bi-plane used by 41 Squadron before the outbreak of WW2; the Spitfire, an easy choice as the unit was one of the main squadrons involved in the Battle of Britain. 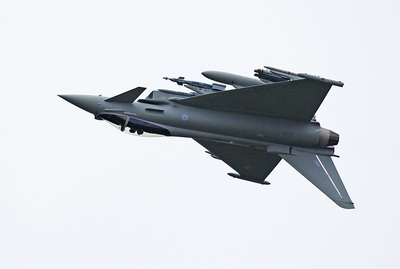 Next are the Gloster Meteor, Jaguar and finally the Tornado and Typhoon, both of which are on the current strength. Battle Honours are also listed. 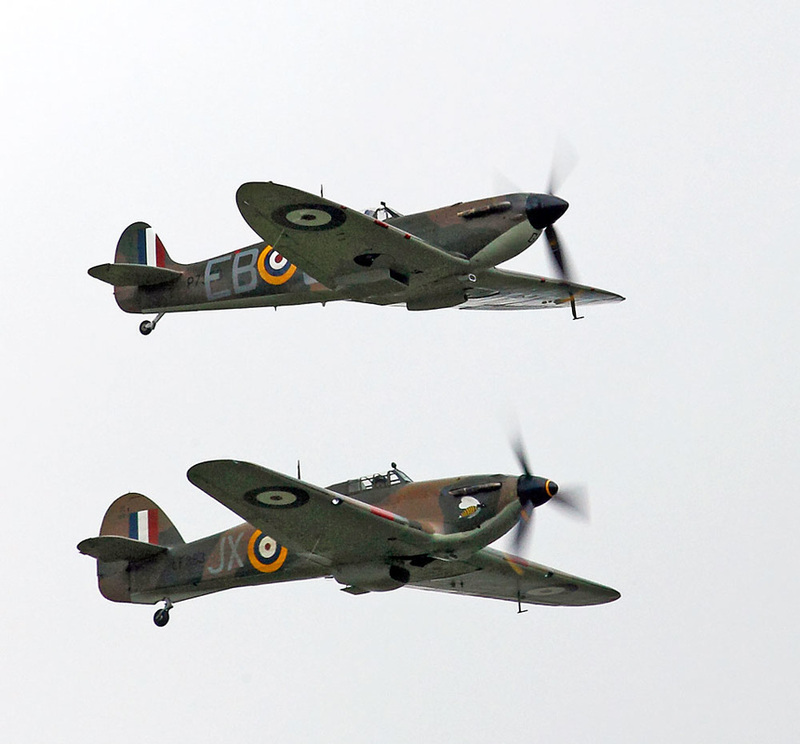 The Battle of Britain Memorial Flight`s contribution was Hurricane IIC LS363 (JX-B) and Spitfire IIA P7350 (EB-G) - no sign of the BBMF Lancaster though. 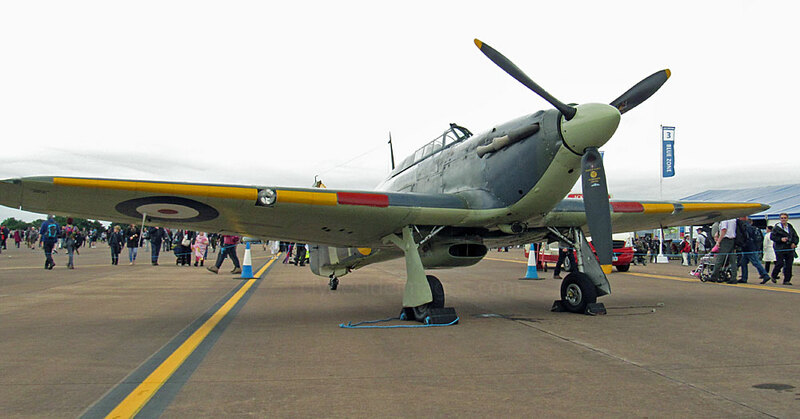 The Shuttleworth Collection`s Sea Hurricane 1B Z7015 (7-L) (G-BKTH) was In the static line-up. Following the success of the Hurricane in RAF service during the Battle of Britain, the Royal Navy opted to introduce them on convoy protection duties and modified the type accordingly. The early models were carried by Catapult Armed Merchantmen. or CAM ships. Naval Auxiliary Vessels were also utilised with the pilots and aircrews coming from either the RAF or the Royal Navy`s Fleet Air Arm. 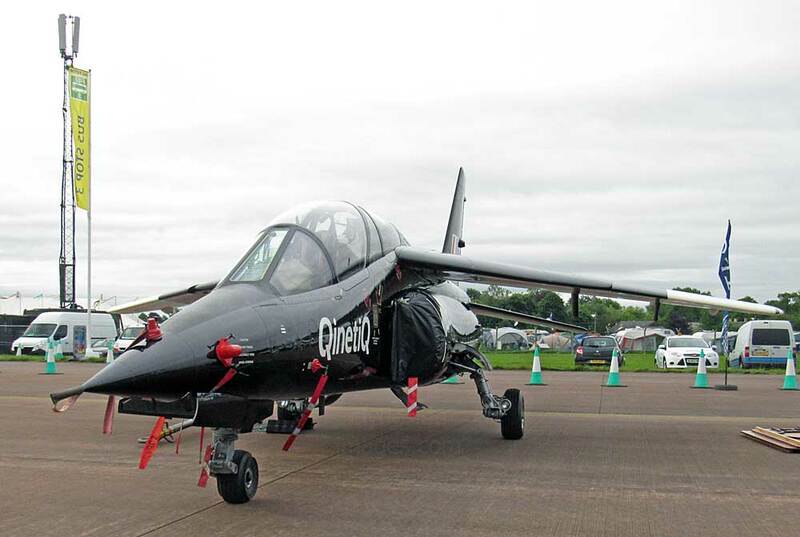 Following mission launch, the catapult aircraft would try and reach a friendly airfield, or if none were in range, bail out or ditch close to the parent vessel and hope to be rescued. 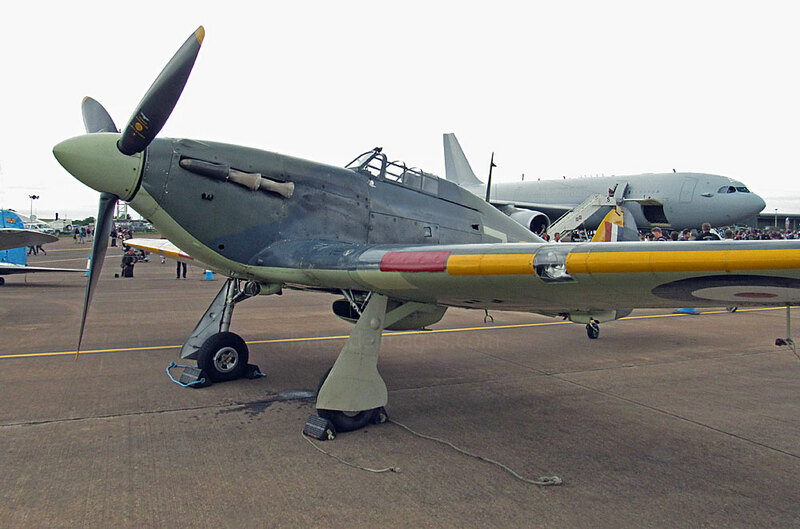 By late 1941, Hurricane 1Bs such as this one, were flown from Merchant Aircraft Carriers having been fitted with an arrester hook to aid deck-recovery. 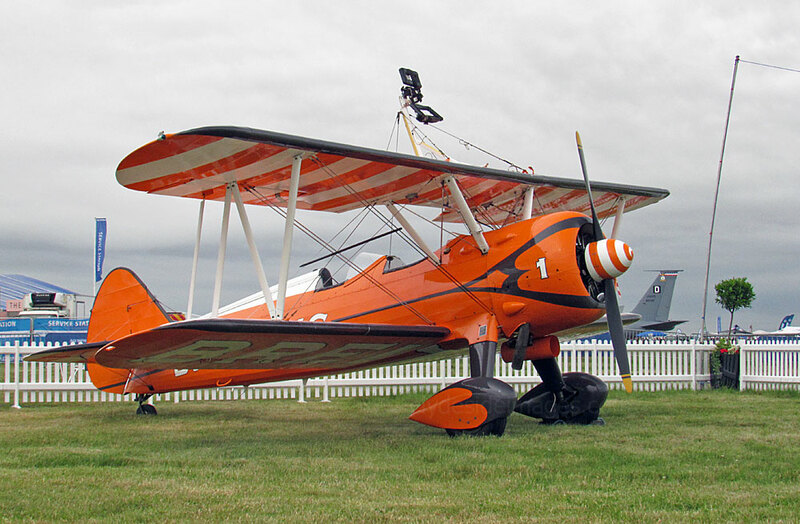 The Shuttleworth`s aircraft was built in Canada as a regular MK.1 but was one of 300 selected for conversion. 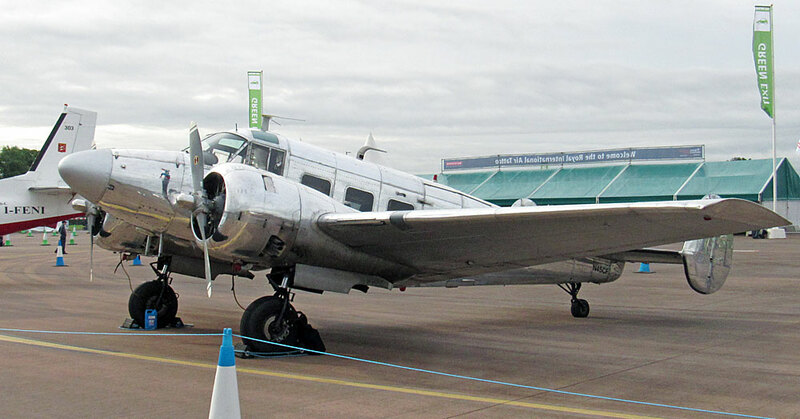 It is not known whether Z7015 saw any action and by 1943 it was being used as an instructional airframe. 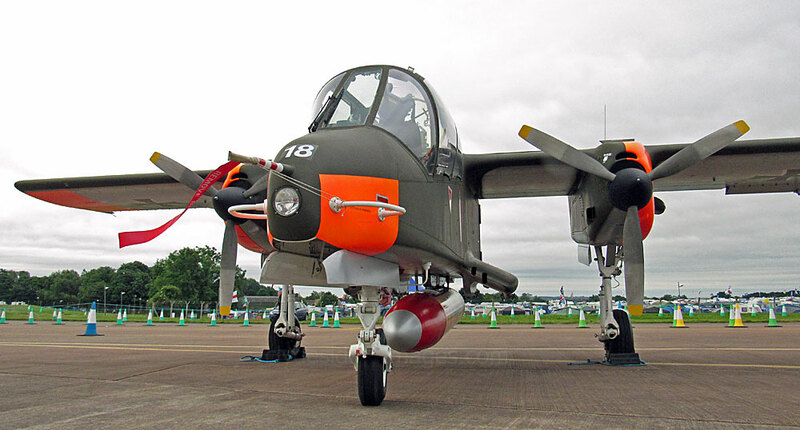 Later, it had a non-flying role in the 1967 movie `Battle of Britain`. 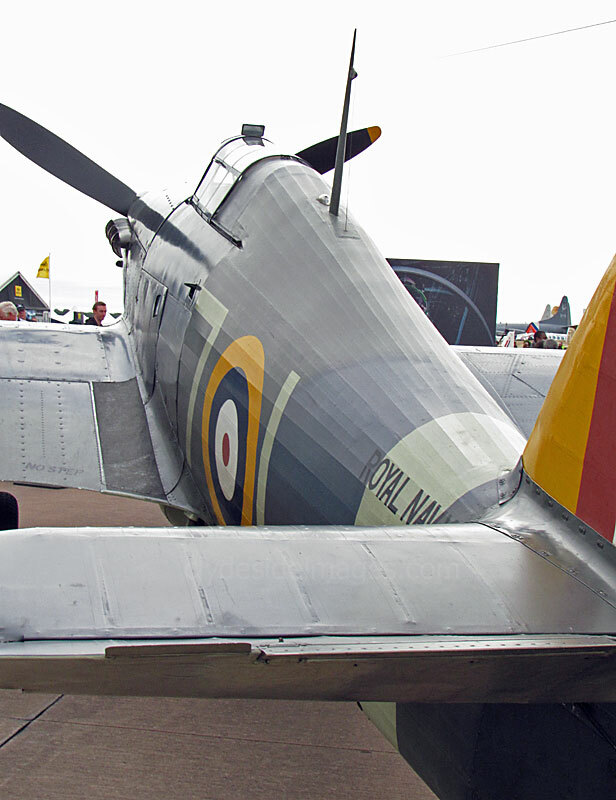 Currently displayed in the colours of 880 Royal Naval Air Squadron (RNAS) based on HMS Indomitable during 1942 she is, as far as I`m aware, the only airworthy Sea Hurricane in the world. 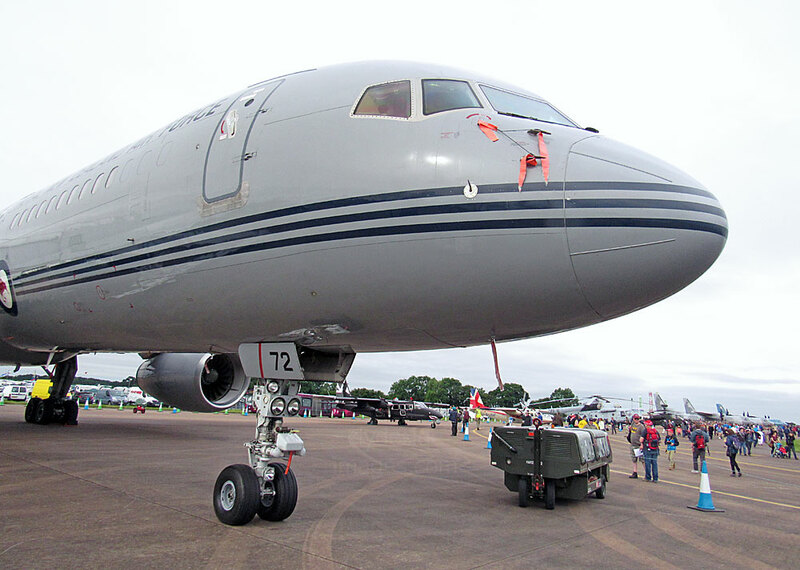 ​Airbus Voyager KC.3 ZZ337 RAF 10/101 Sqn. 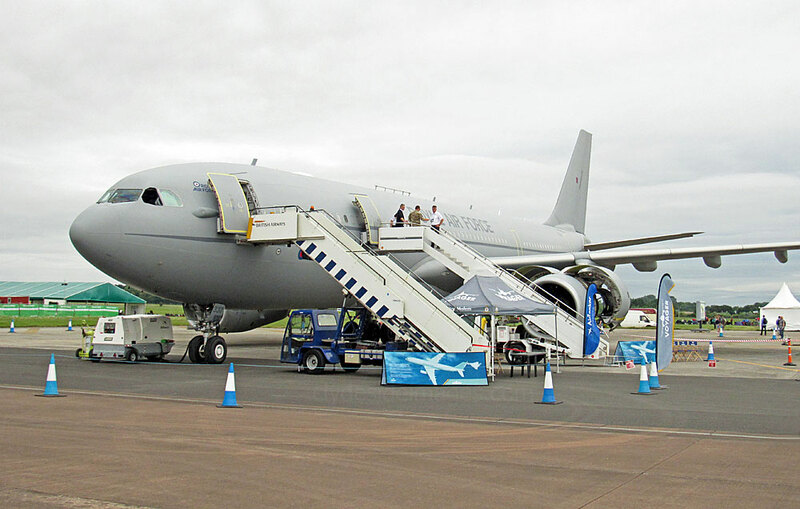 Based on the A330-200 passenger airliner, the Voyager is used along with with the Boeing C-17 Globemaster II fleet to provide the RAF with Strategic Air Transport and Aeromedical capability. 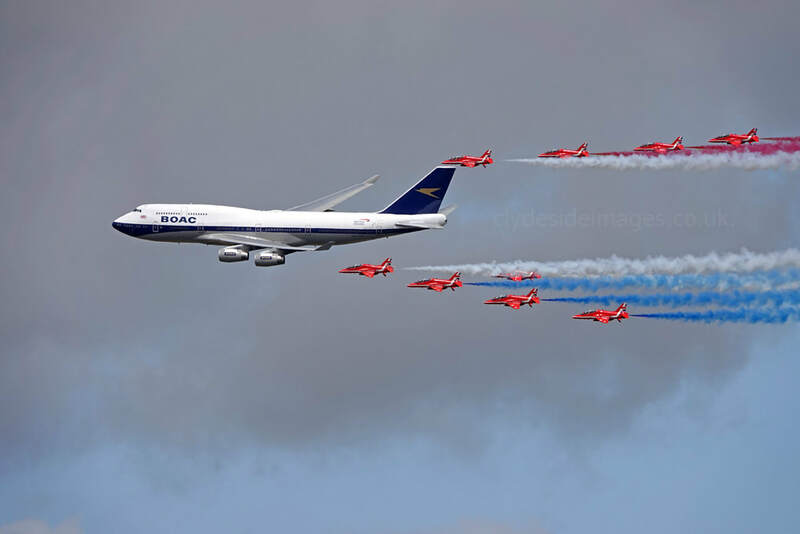 The Voyager is also an extremely effective air-to-air tanker that allows a variety of RAF aircraft to operate for extended periods. 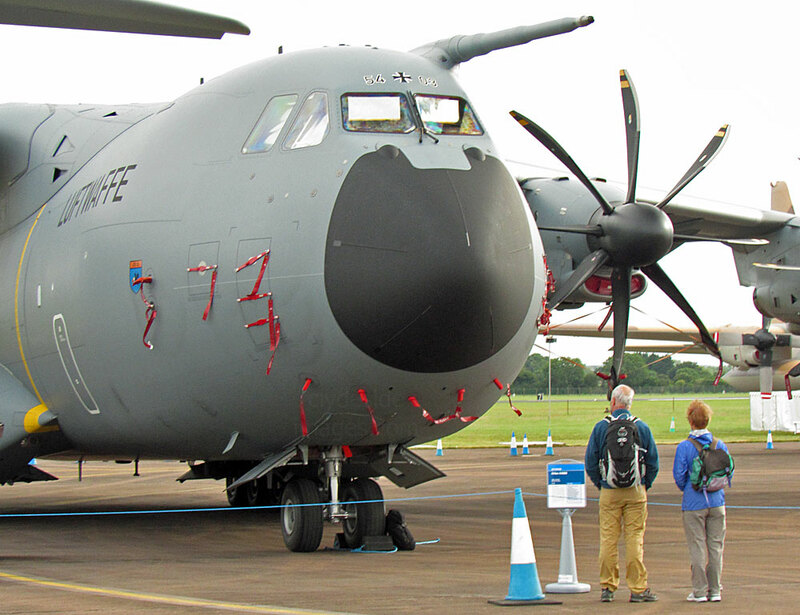 Above: Airbus A400M Atlas C.1 ZM402 of 70 Sqn BTW. 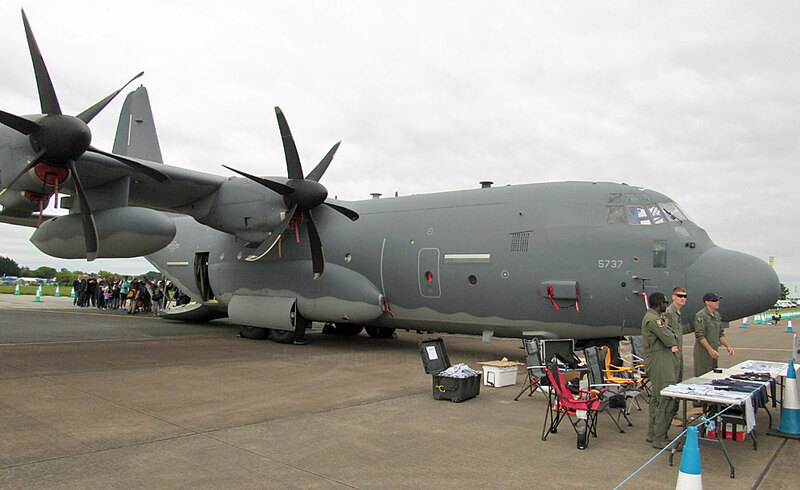 The RAF received its first A400M Atlas on 17 November 2014. 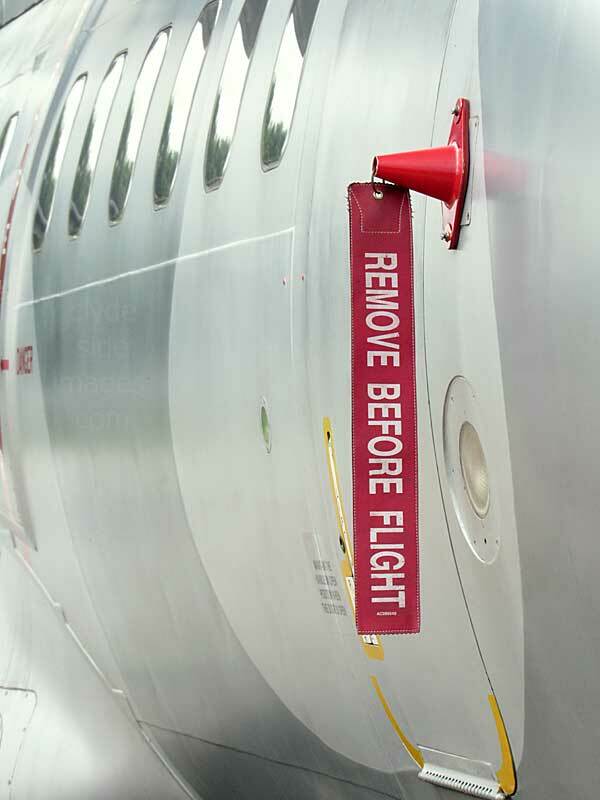 The total fleet will eventually number 22 aircraft with the staged delivery expected to reach completion by 2019. 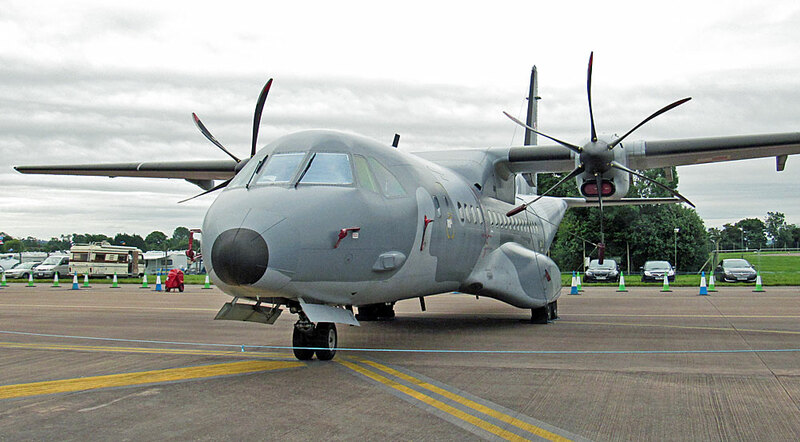 Although the RAF will employ the A400M's strategic reach and impressive payload capacity by initially operating it in the strategic air transport role, Atlas is primarily a tactical air-lifter and will eventually replace the Lockheed Martin C-130J Hercules. 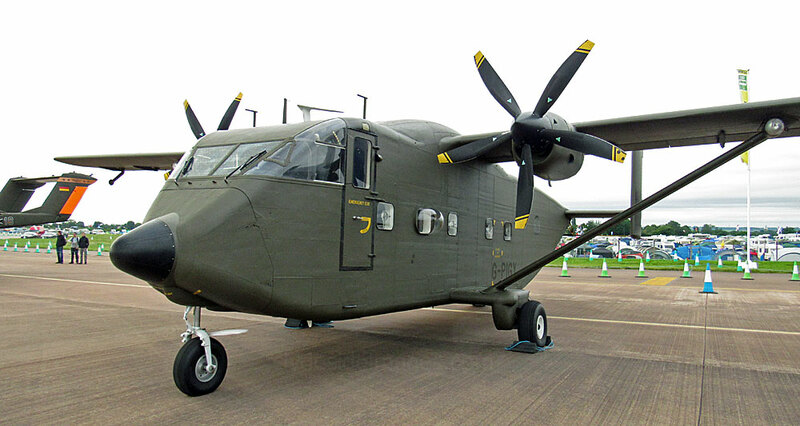 ​Lockheed Hercules C-5 ZH883 RAF 47 Sqn BTW. 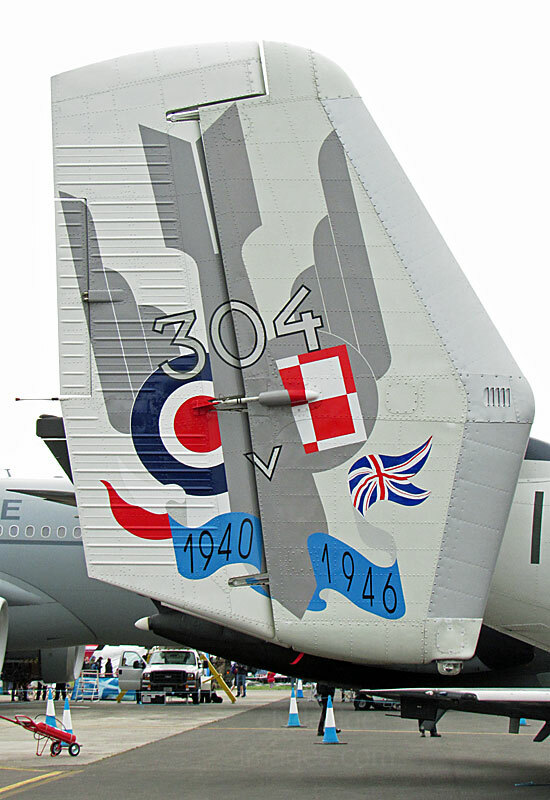 The tail markings celebrate Marshall Aerospace and Defence Group`s 50 years of supporting the Royal Air Force’s Hercules C-130s. 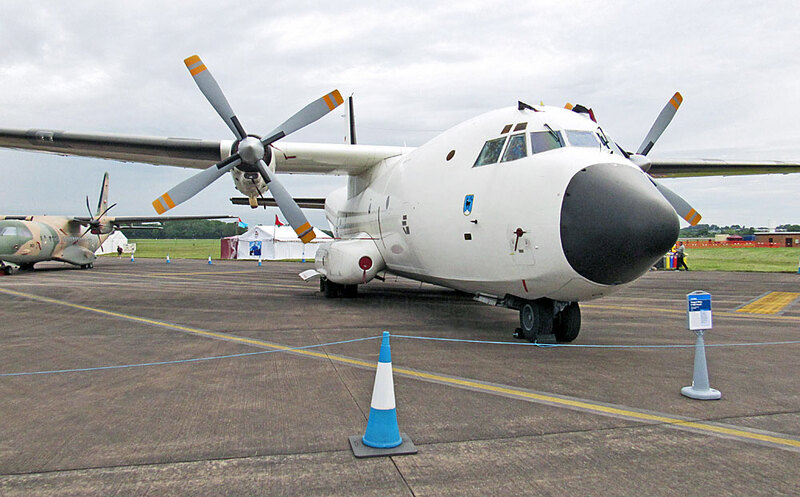 The RAF`s current fleet of 24 C-130Js is maintained under the innovative Hercules Integrated Operational Support (HIOS) programme, which focuses on meeting the RAF’s immediate and long-term operational capabilities through maintenance and upgrades. 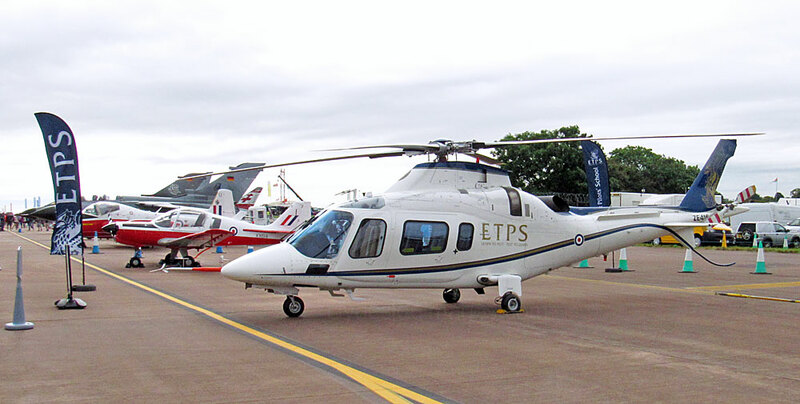 As a result, the C-130J out-of-service date has been extended to 2035.
agustawestland AW109E Power Elite ZE416 of the Empire Test Pilots` School. 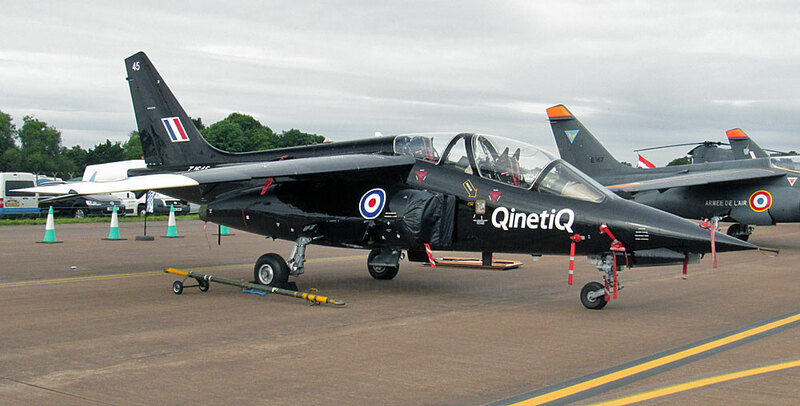 ​Dassault-Dornier Alpha Jet A ZJ645 QinetiQ / Empire Test Pilots School). 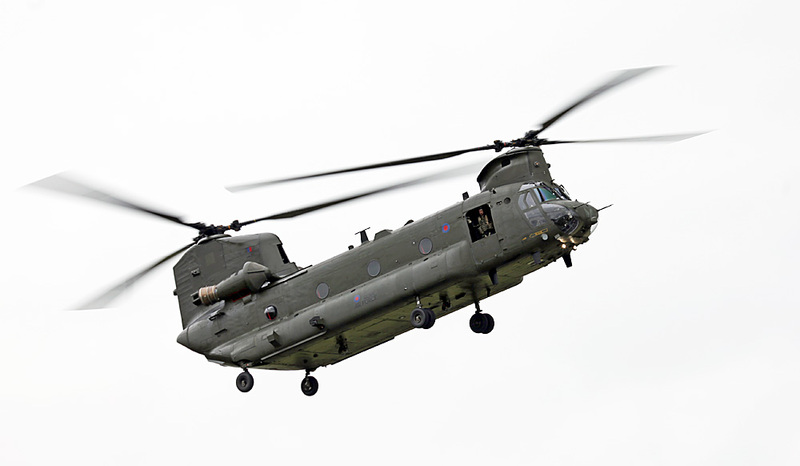 Boeing Vertol CH-47 Chinook HC.4 ZA714 RAF. 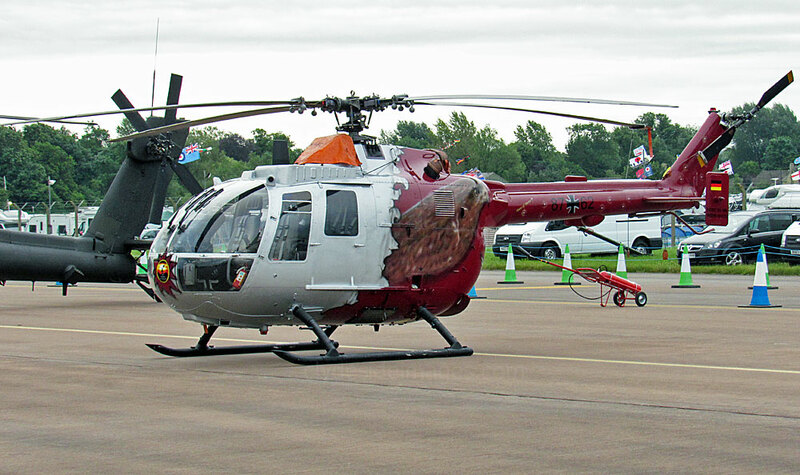 Eurocopter Squirrel HT.1 ZJ268 (68) of the Defence Helicopter School, RAF Shawbury. Royal Navy Beech B350 Avenger T.1 ZZ502 750 NAS, RNAS. 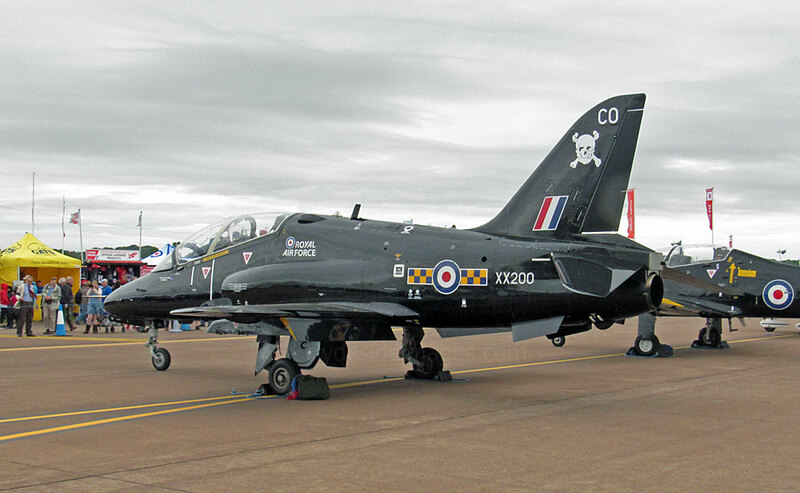 BAe Hawk T.1 XX200 (CO) RAF - 100 Sqn. 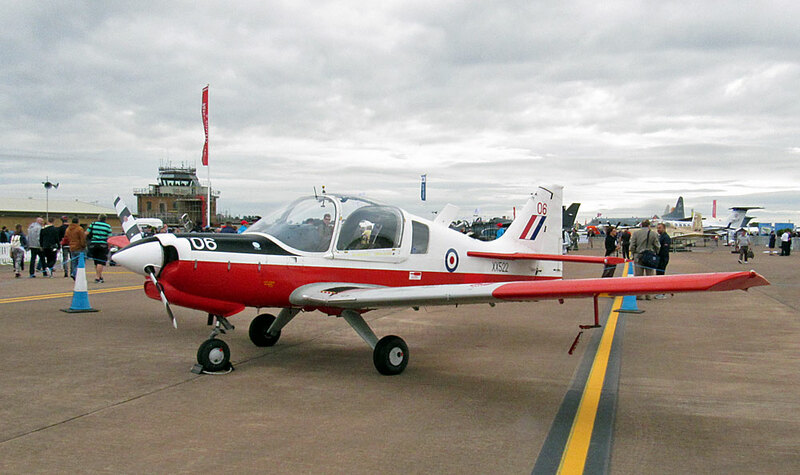 This aircraft, bearing the military serial XW324 (U) was built at Warton, Lancashire, as the 38th Jet Provost T.5 for the RAF. 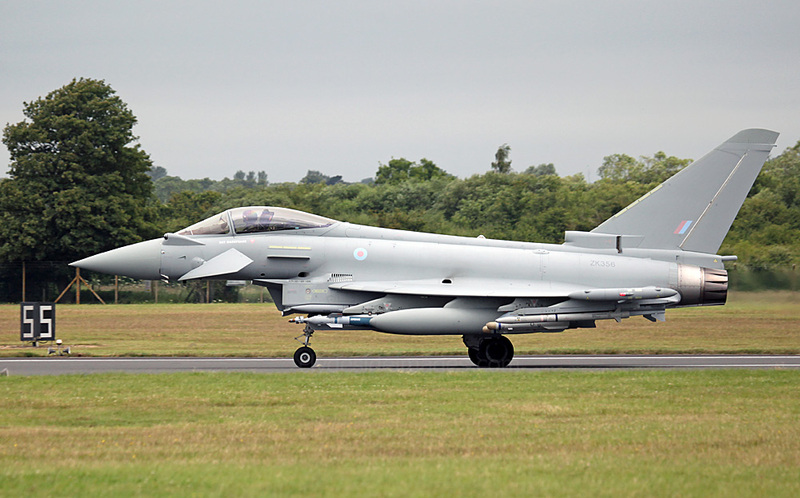 It became operational in 1970 and was initially with No.3FTS at RAF Leeming, North Yorkshire. 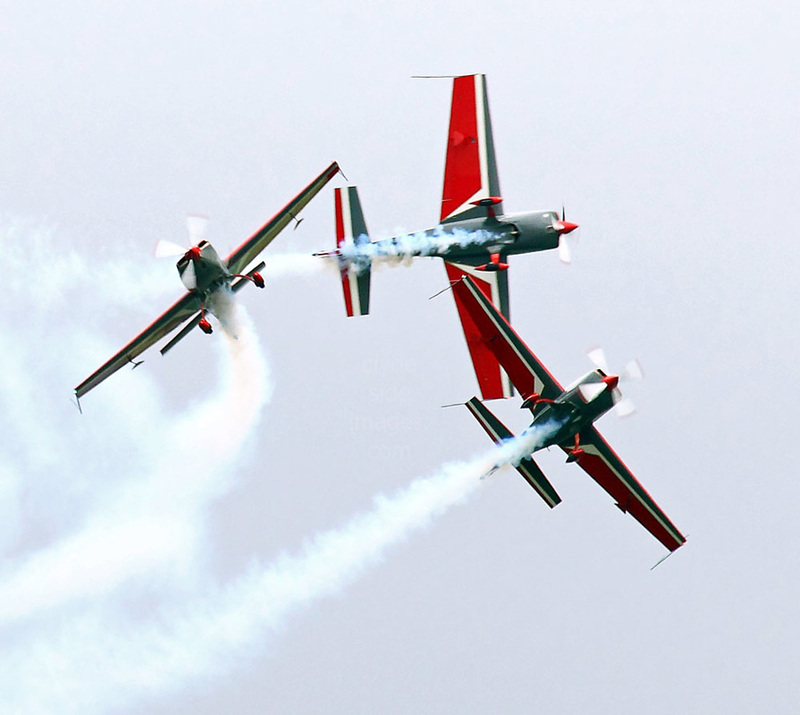 In addition to being used for basic pilot training, it also formed one half of the Flying School's aerobatics team, the 'Gemini Pair'. It was later transferred onto the strength of 6FTS at RAF Finningley where it was utilised for navigational training. 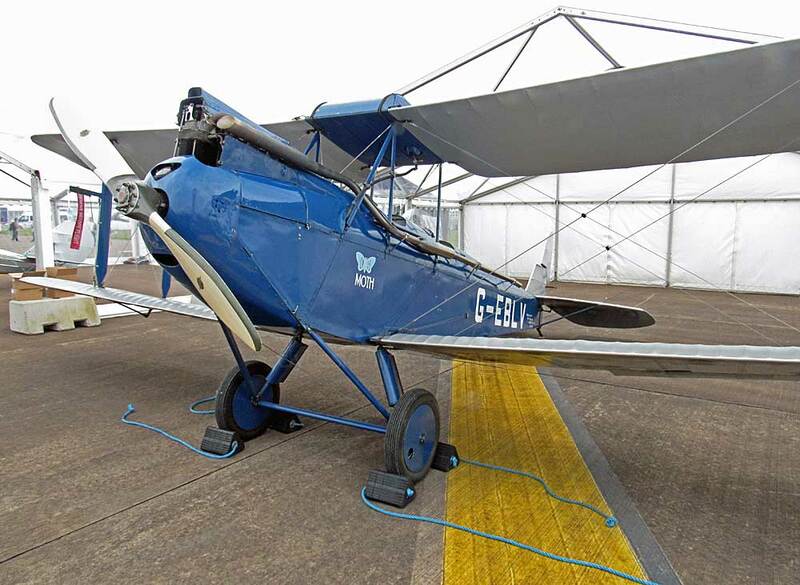 Following retirement at the end of its RAF career, XW324 was placed in storage and has undergone several changes of ownership since. 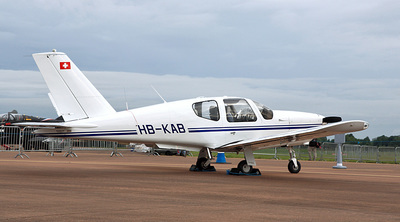 The aircraft has been allocated the civilian identity G-BWSG. DHC.1 Chipmunk T.10 WG308 (8) was built in 1951 and now bears the civilian registration G-BYHL. 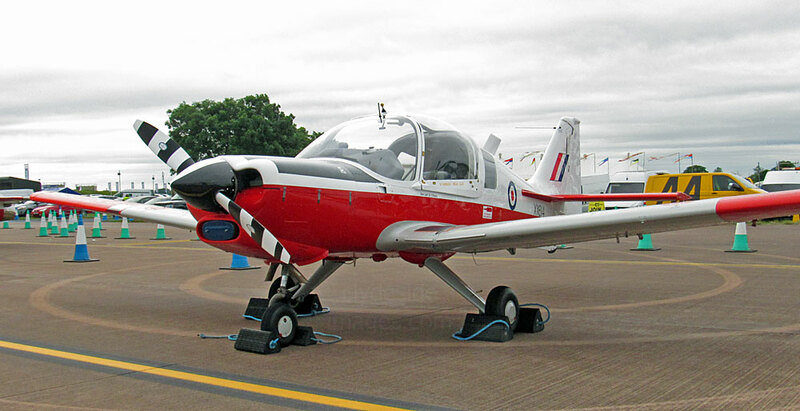 Next are Scottish Aviation Bulldog T.1s XX522 (06) and XX614 (1) which also have the civilian registrations G-DAWG and ​G-GGRR respectively. 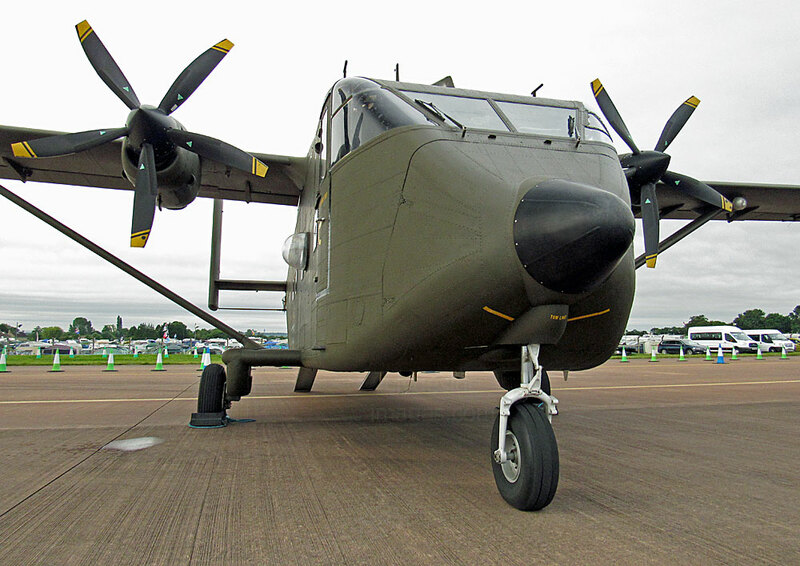 The majority of the 320 Bulldogs produced were built by Scottish Aviation Ltd at Prestwick. 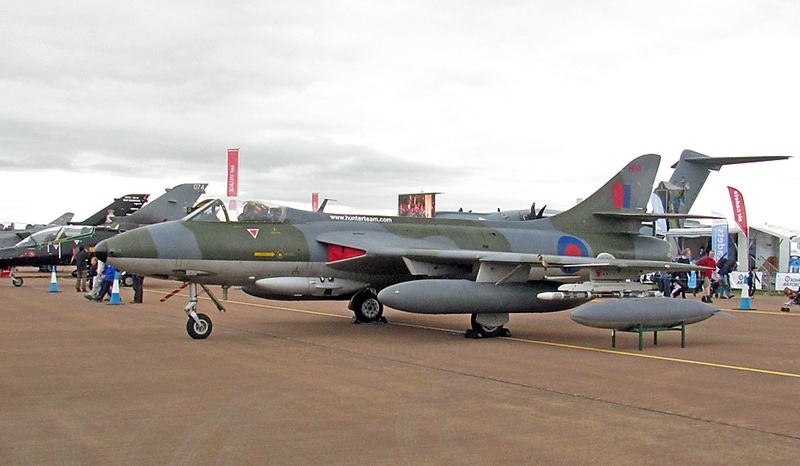 Hawker Hunter F.58 ZZ191 is an ex-Swiss Air Force example which bore serial number J-4058. 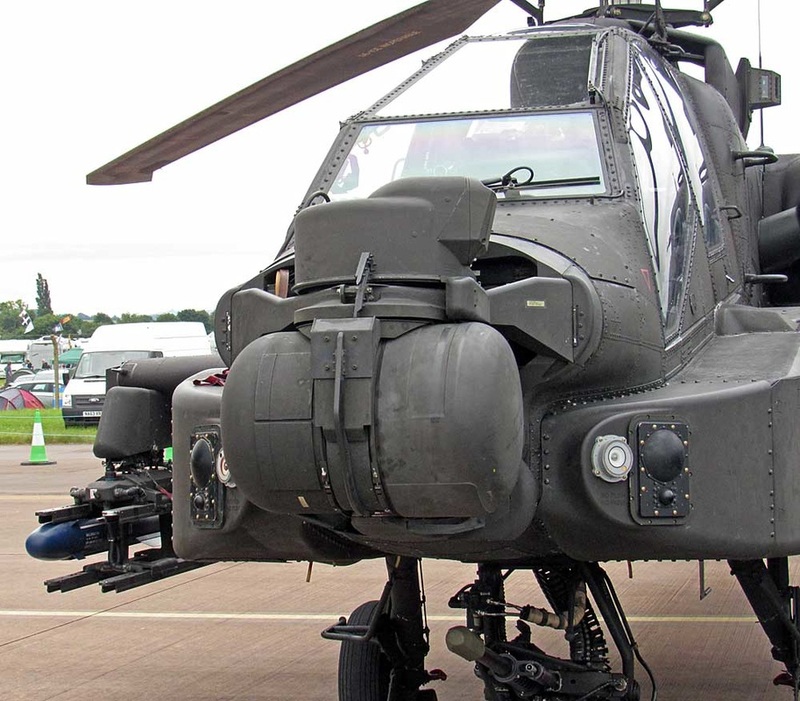 Army Air Corps Boeing WAH-64D Apache AH.1 ZJ225 of 654 Sqn/4 Regiment, based at Wattisham, was on static display and generated quite a bit of interest. 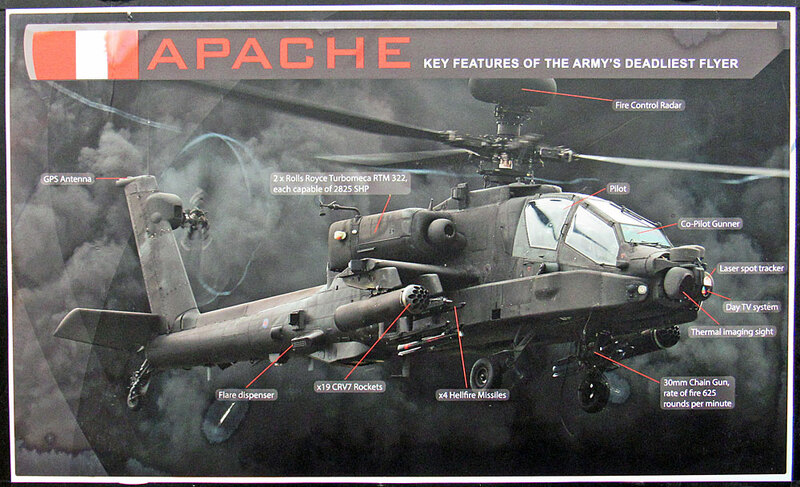 ​Designed to hunt and destroy tanks, the Apache attack helicopter has significantly improved the Army's operational capability. 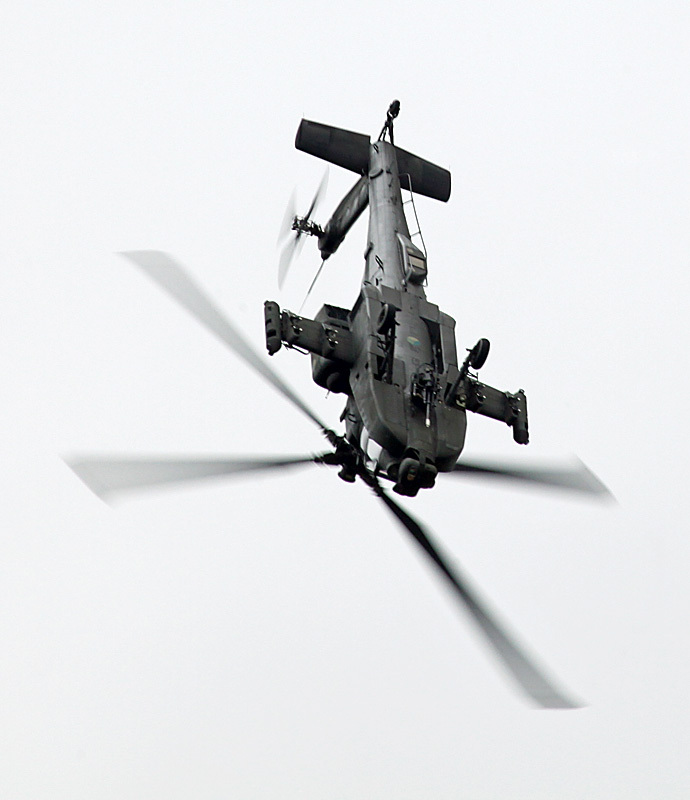 It can fly in all weathers, day or night and detect, classify and prioritise up to 256 potential targets in a matter of seconds. 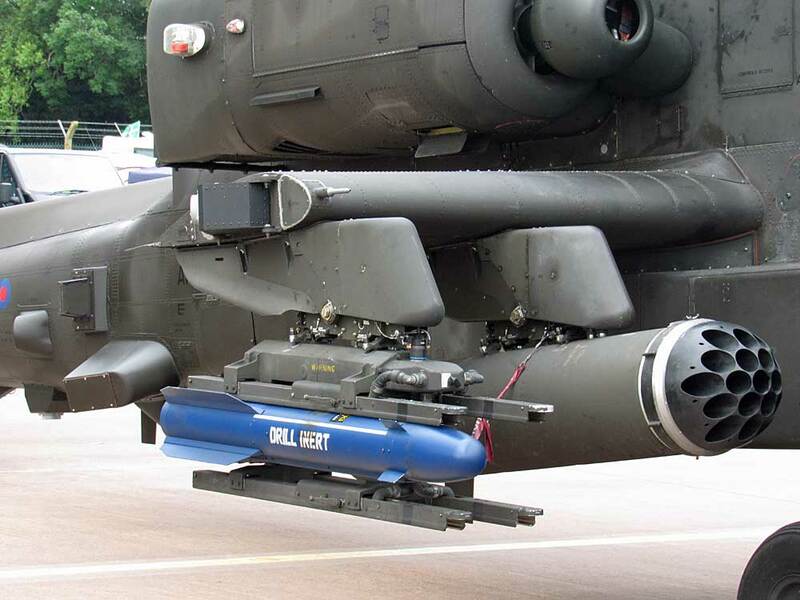 It carries a mix of weapons including rockets, Hellfire missiles and a 30mm chain gun, as well as a state of the art fully integrated defensive aid suite. 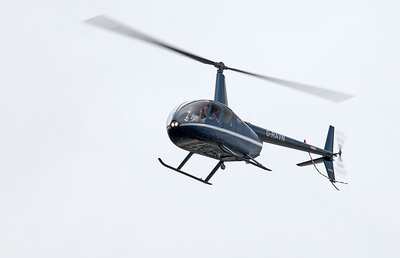 In addition to the distinctive Longbow radar located above the rotor blades, this aircraft is equipped with a day TV system, thermal imaging sight and direct view optics. 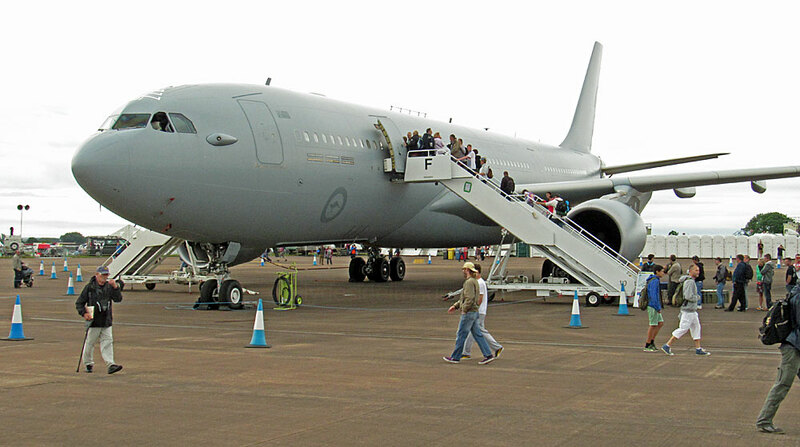 The KC-30A Multi Role Tanker Transport (MRTT) is designed and manufactured by Airbus Military to provide aerial refuelling and strategic tanker/transport services for the Royal Australian Air Force (RAAF). 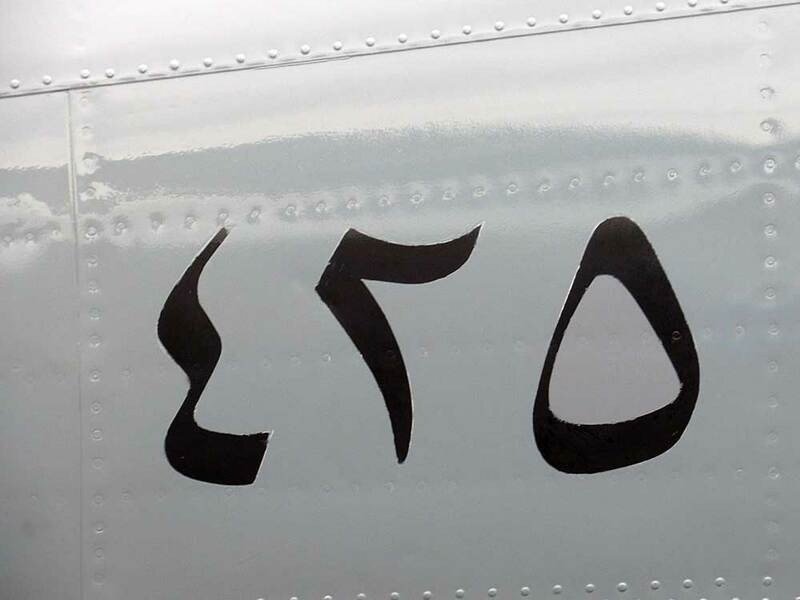 The aircraft are operated by No. 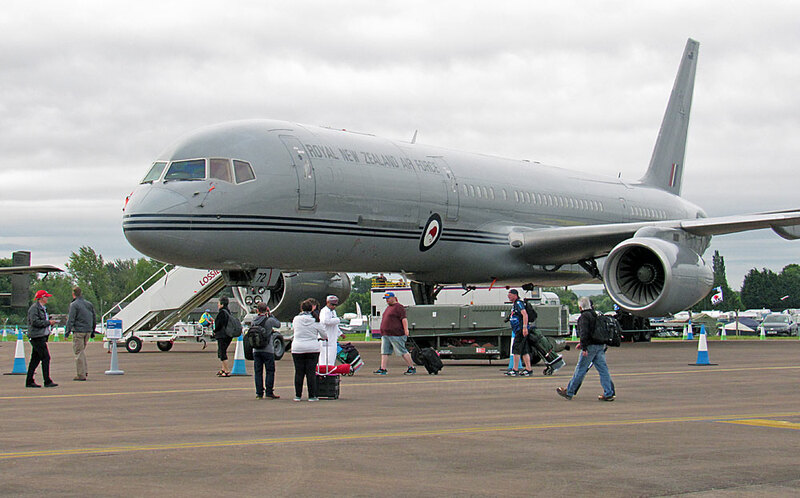 33 Squadron from RAAF Base Amberley to provide air-to-air refuelling for air combat to enhance flight time and range. 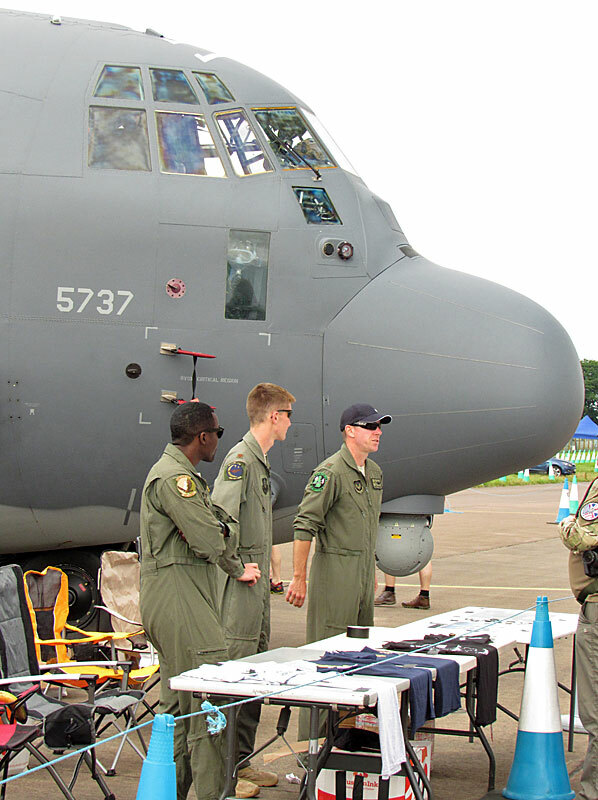 The KC-30As are being modernised to achieve final operational capability and to refuel E-7A Wedgetail Airborne early warning and control aircraft, C-17A Globemaster and other KC-30As. 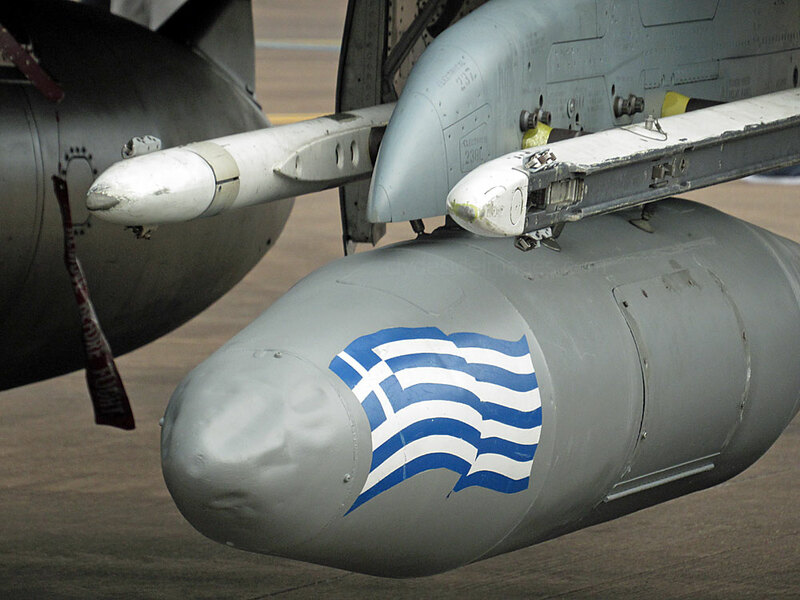 The tankers will also be able to refuel the RAAF's P-8A Poseidon surveillance aircraft and the F-35A Joint Strike Fighter. 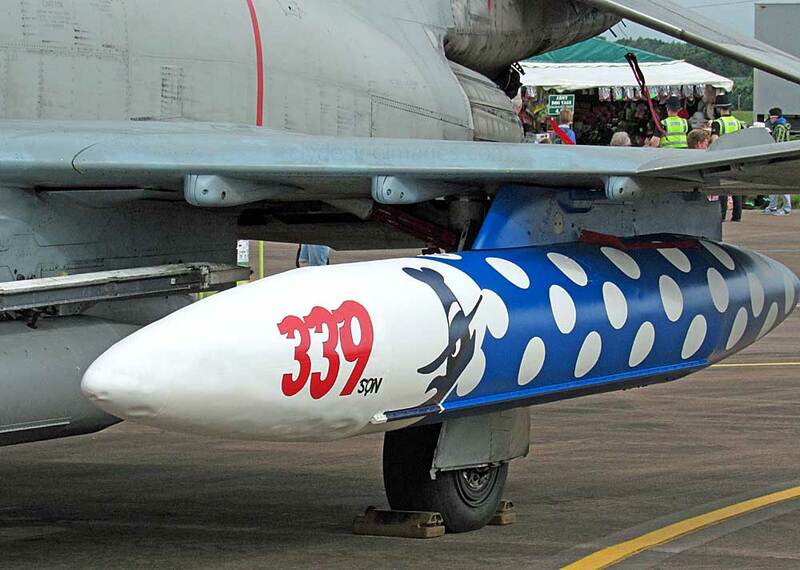 The aircraft seen here bears the serial number A39-001. 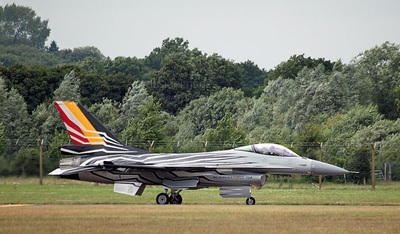 The air arm of the Belgian Armed Forces is known as the Belgian Air Component, but still commonly referred to as the Belgian Air Force. 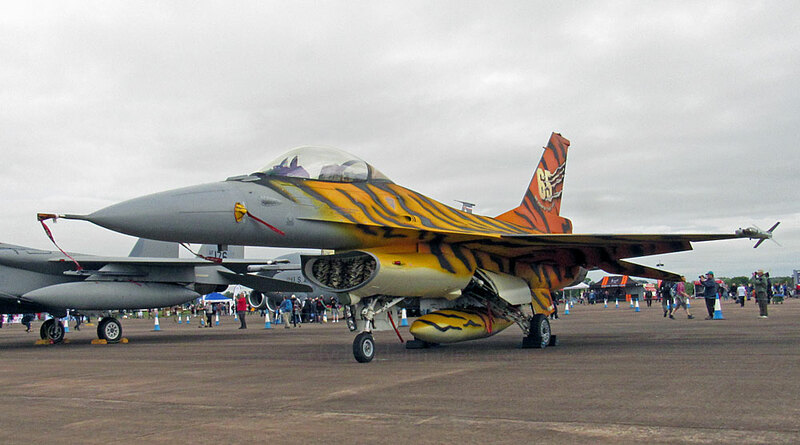 It sent a couple of F-16s to Fairford this year, both with distinctive paintwork. 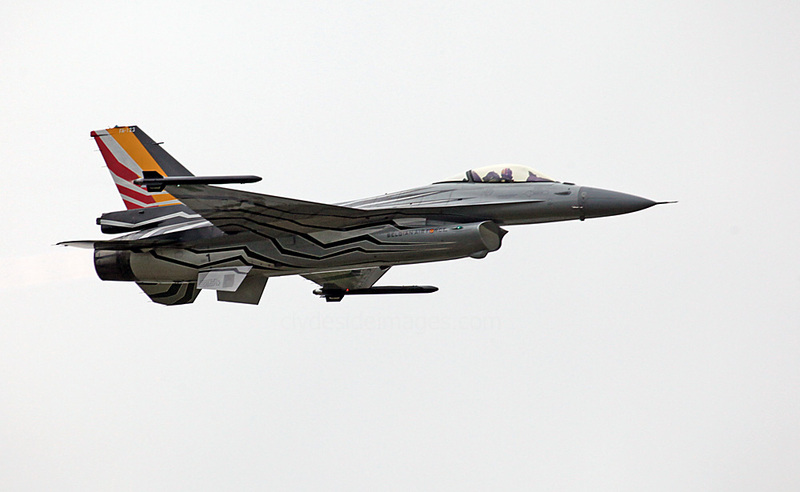 Lockheed Martin F-16AM Fighting Falcon FA-123. 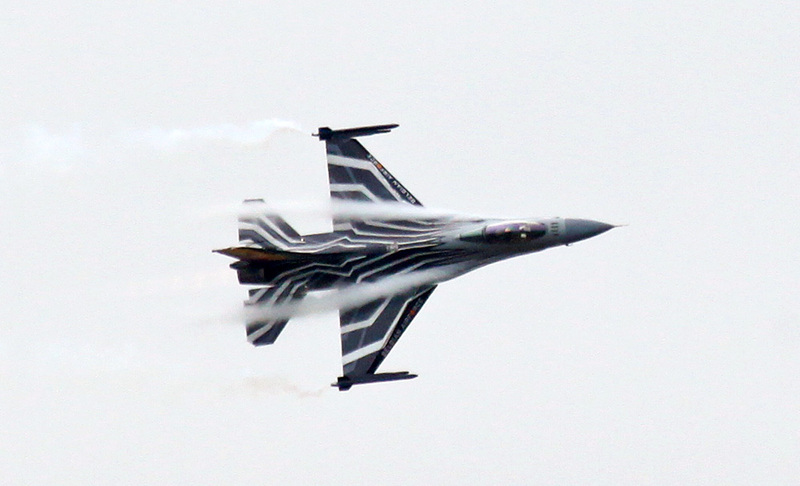 The Belgian Air Force`s 2016 solo display aircraft sports a `Blizzard` colour scheme and is provided by 31 and 349 Squadrons from the 9th Tactical Wing based at Kleine Brogel. 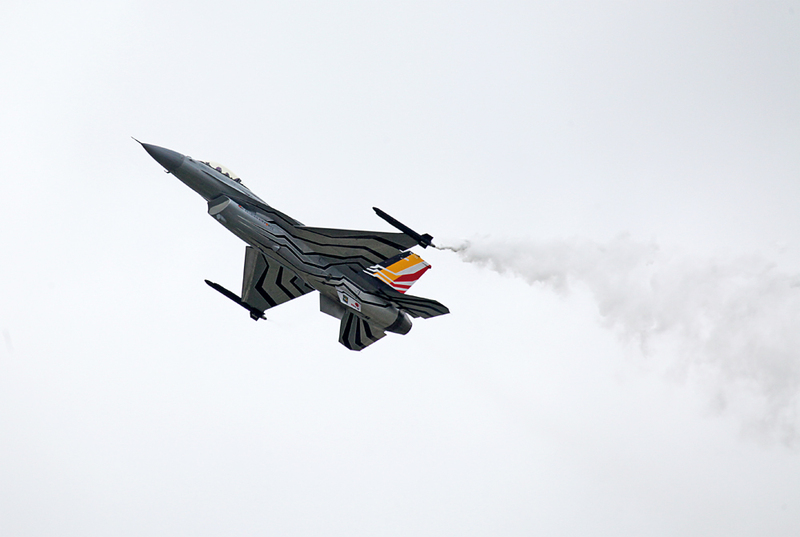 It was flown by Tom `Gizmo` De Moortel who has over 4,000 fliying hours, over 1,500 of which have been on the F-16M. F-16AM Fighting Falcon FA-77 of 31 Sqn. 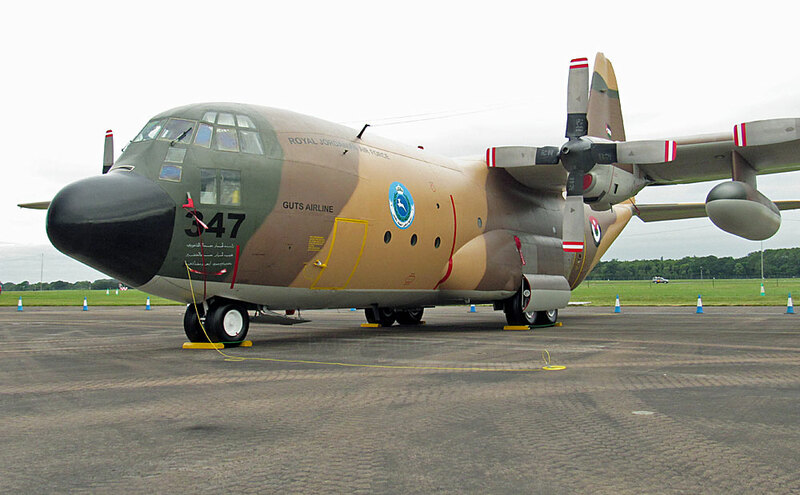 ​C-130H Hercules CH-08 of 20 Sqn. This is a Lockheed CP-140 Aurora, serial number 140105, a maritime patrol aircraft operated by 14 Wing of the Royal Canadian Air Force. 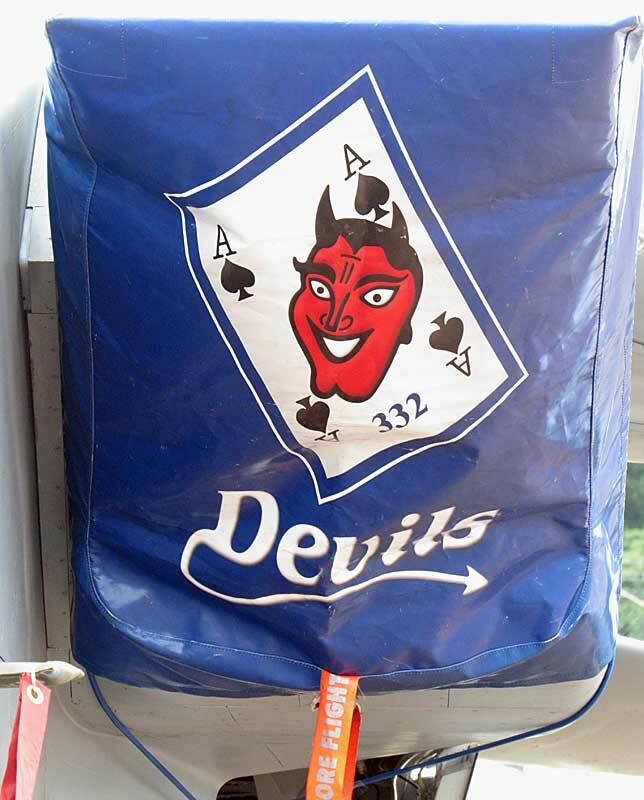 The design is based on the Lockheed P-3 Orion airframe, but mounts the electronics suite of the S-3 Viking. The Aurora was acquired in the early 1980s to replace the ageing CP-107 Argus and to further support Canada's anti-submarine warfare mission obligations under NATO for the northwestern Atlantic sector. ​Croatia became the 56th nation to participate in the Air Tattoo since it was first staged in 1971. 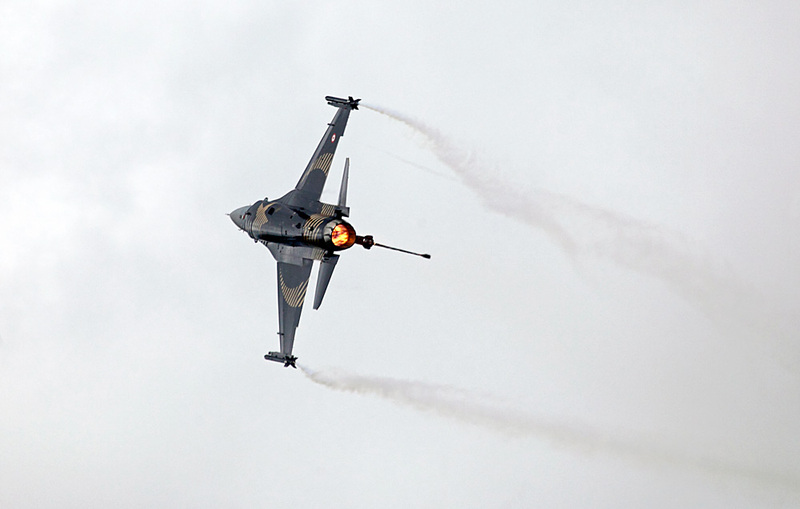 The Croatian Air Force display team Krila Oluje (Wings of Storm) were presented with the King Hussein Memorial Sword for the Best Overall Flying Demonstration. This award is given in memory of the late HM King Hussein of Jordan who was patron of the Air Tattoo from 1983-1989. 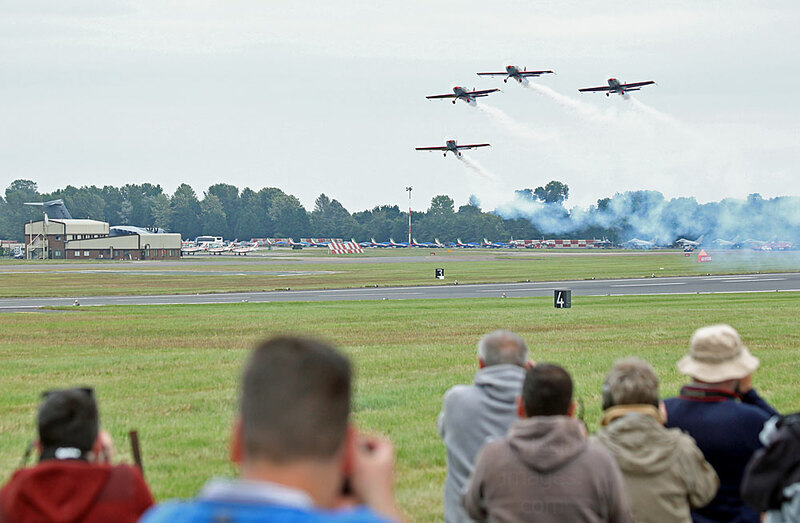 It was the first time that the display team, in their six Swiss made Pilatus PC-9M turboprop trainers, performed not only at Fairford, but at a UK airshow. 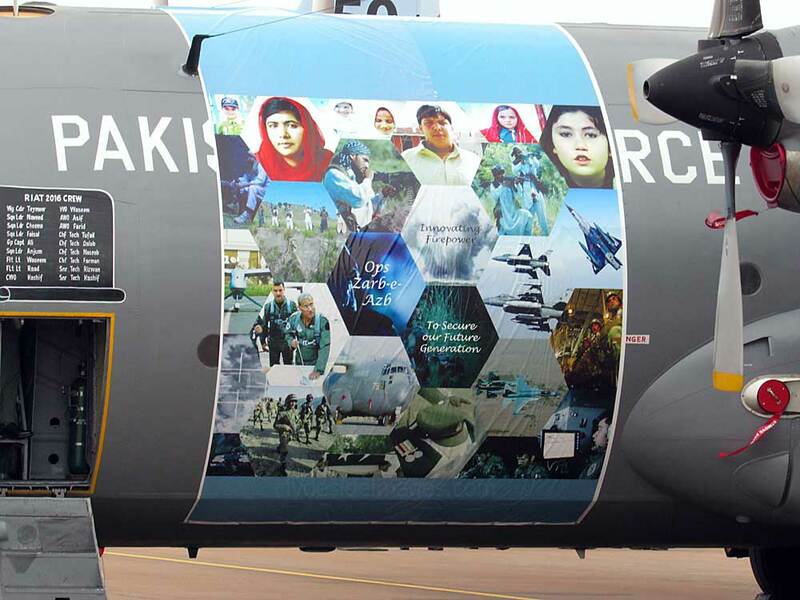 Providing support was Mil MI-171Sh helicopter serial number 223, pictured below. 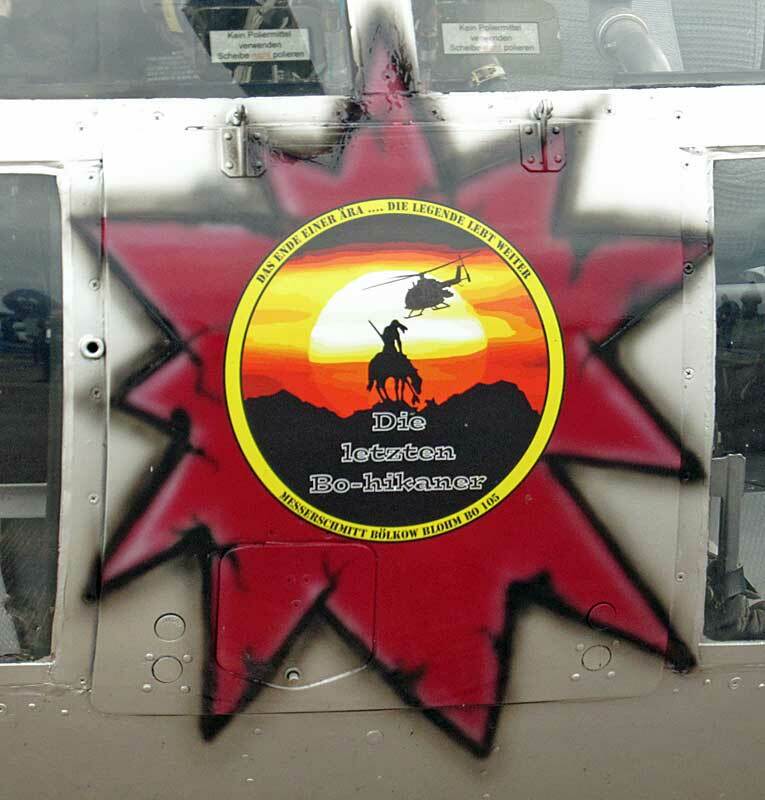 This particular helicopter bears KFOR markings. 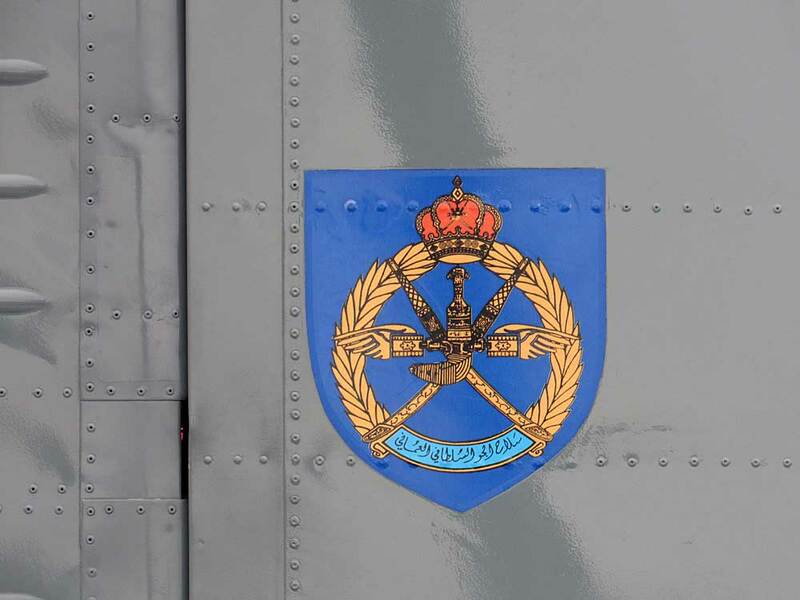 The Kosovo Force (KFOR) is a NATO-led international peacekeeping force which was responsible for establishing a secure environment in Kosovo during the Yugoslav Wars. KFOR entered Kosovo on 12 June 1999, two days after the adoption of UN Security Council Resolution 1244. 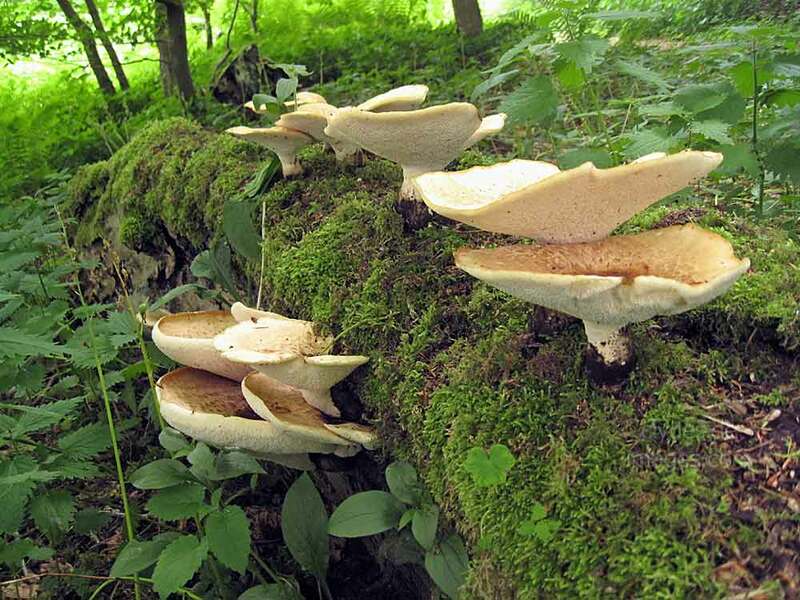 At that time, Kosovo was facing a grave humanitarian crisis, with military forces from the Federal Republic of Yugoslavia (FRY) and the Kosovo Liberation Army (KLA) in daily engagement. According to NATO, Serb forces had committed ethnic cleansing of Kosovo Albanians and the death toll had reached unparalleled levels. In addition, nearly one million people had fled Kosovo as refugees. Over the years, KFOR has gradually transferred responsibilities to the Kosovo Police and other local authorities. 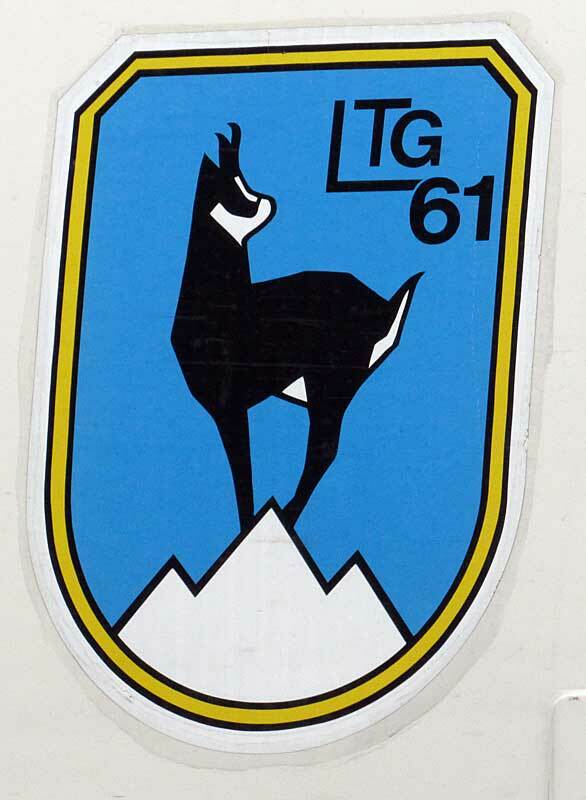 At its height, KFOR troops numbered 50,000 and came from 39 different NATO and non-NATO nations. 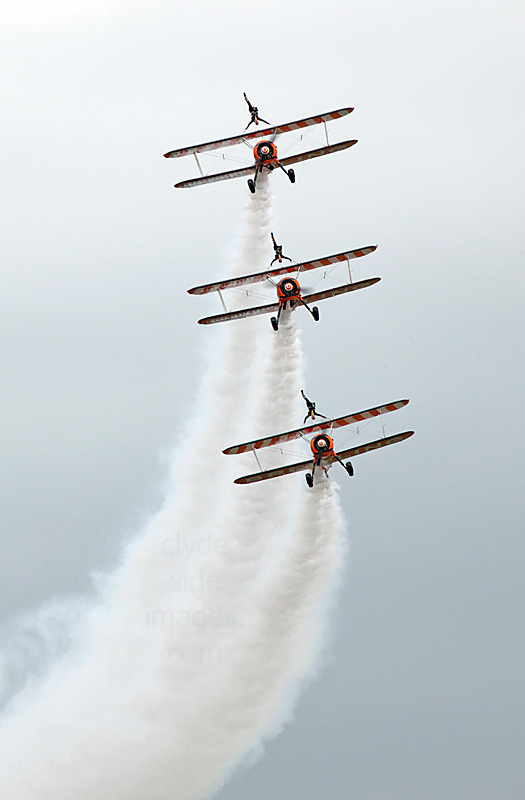 The RAMEX Delta team`s display was one of the last to take place on Saturday so I unfortunately didn`t see them in action. 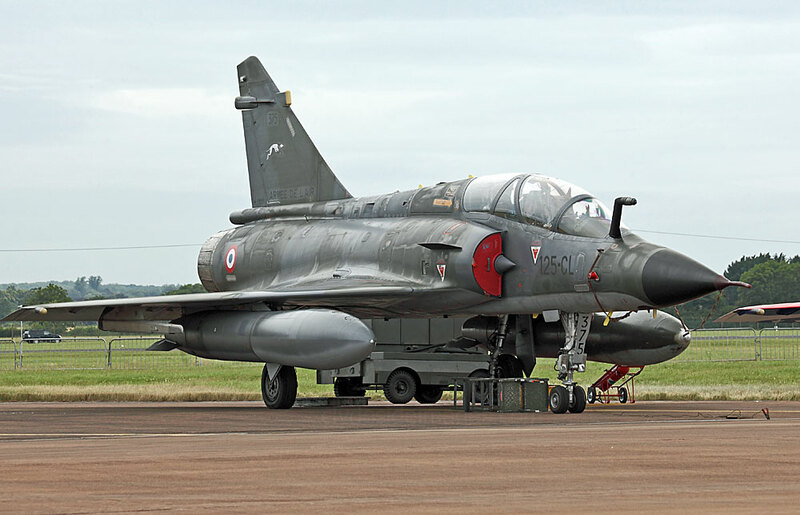 This was their final public performance and their superbly coordinated and choreographed tactical demonstration in their Mirage 2000N nuclear strike jets won the RAFCTE Trophy for the best flying display by an overseas participant. 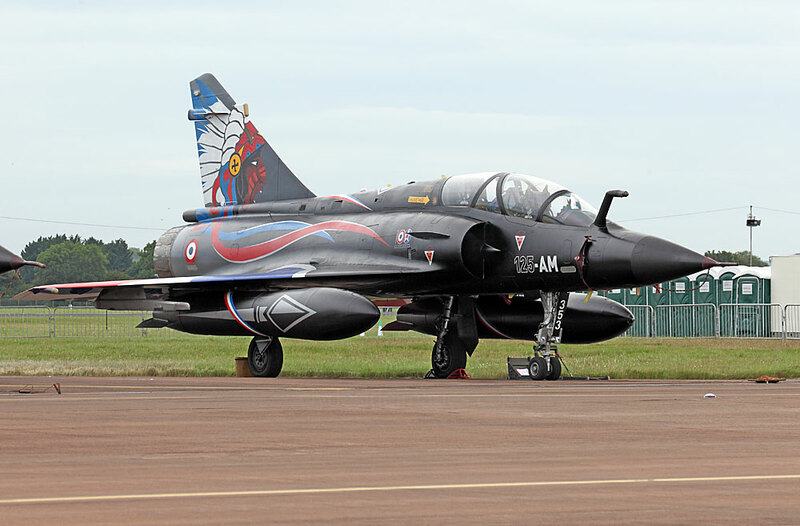 One of the team`s Mirage 2000Ns also won top prize for the best livery, as voted for by the Friends of the RIAT. 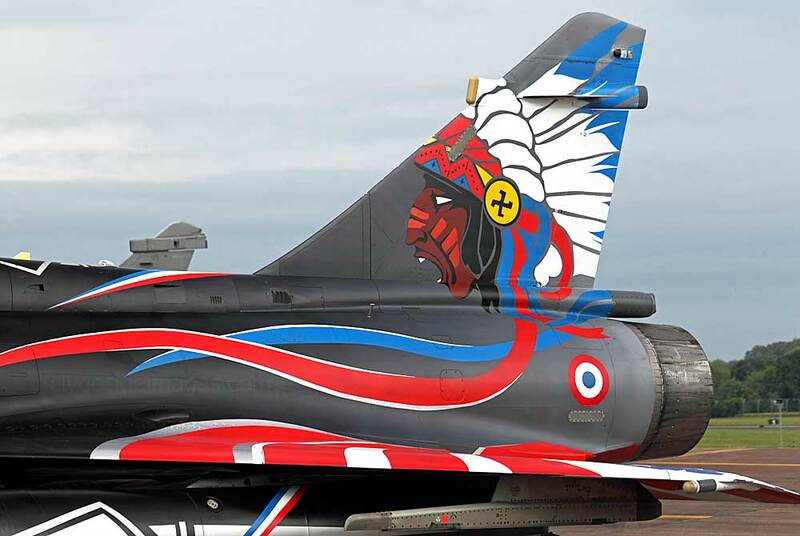 The striking design commemorates the 100th anniversary of the `La Fayette` Squadron (French: ​Escadrille de Lafayette) ​which included mainly American volunteer pilots who fought for the French during the Great War. 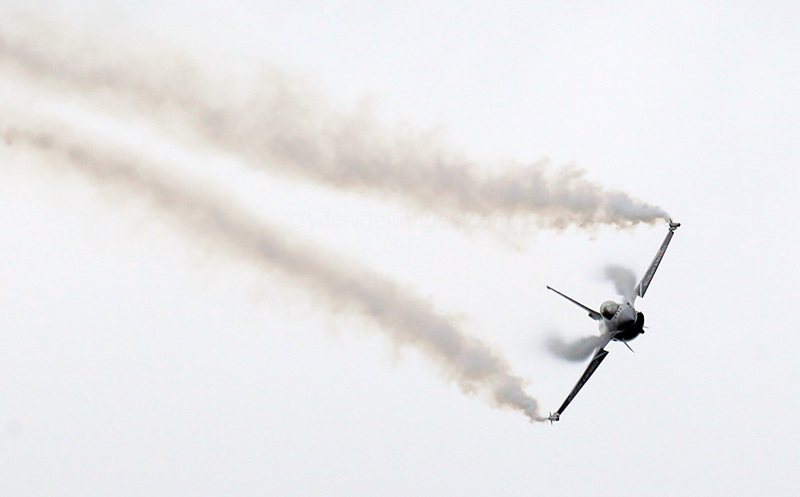 Taking home the Paul Bowen Trophy for this year`s Best Jet Demonstration was Capitaine Jean-Guillaume Martinez who performed in his Rafale C 142/4-GU. 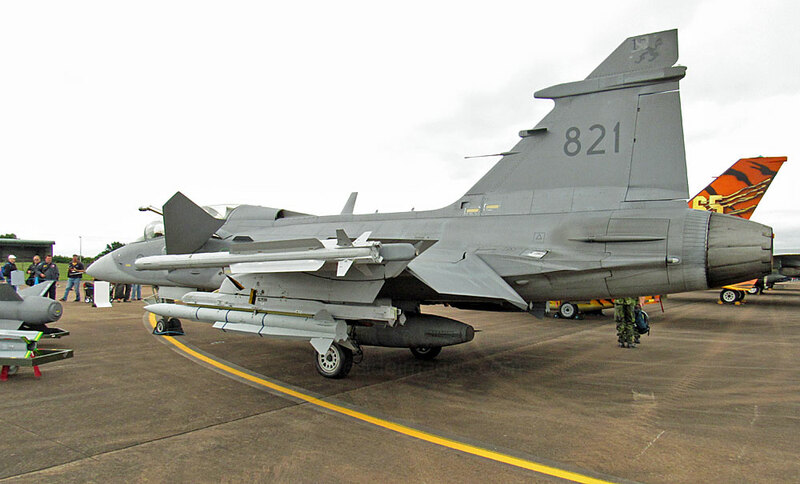 Alpha Jets E167/705-MN and E35/705-MA. 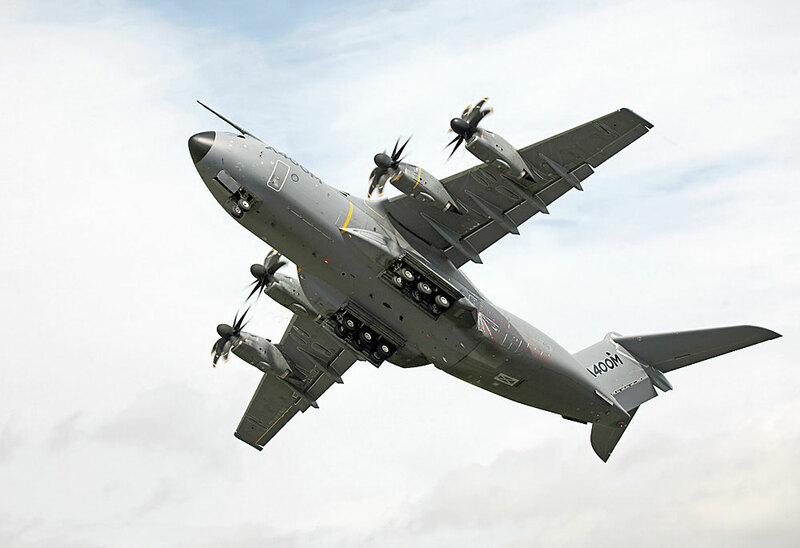 The Airbus A400M EC-406 (F-WWMZ) is the Airbus Industry development aircraft and is used to conduct a variety of tests including engine endurance, route proving and System upgrades. I last saw this one being put through its paces here in 2014, and once again it was impressive to see just how manoeuvrable this huge beast is. 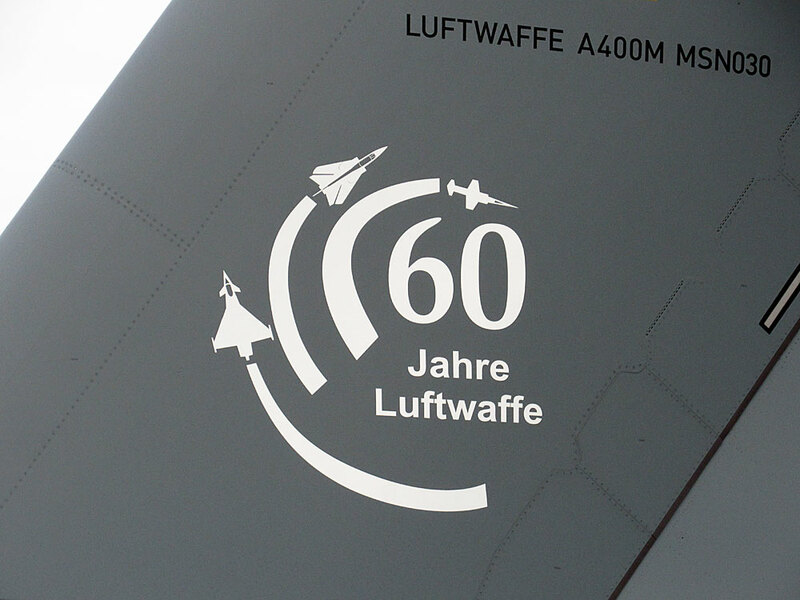 Luftwaffe Eurofighter EF-2000 30+68 of TLg-74. 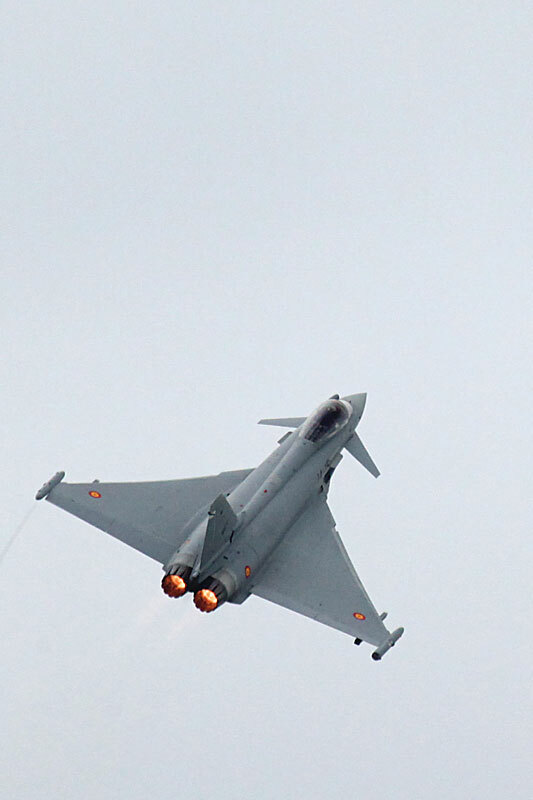 Eurofighter EF-2000 30+05 and Eurofighter EF-2000T 30+59. 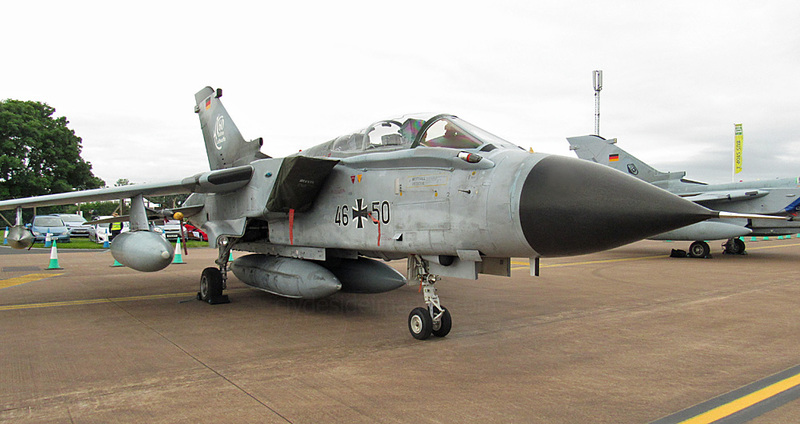 German Air Force ​Tornado IDS 43+38 of TLg 33. Tornado ECR 46+50 of TLg 51. 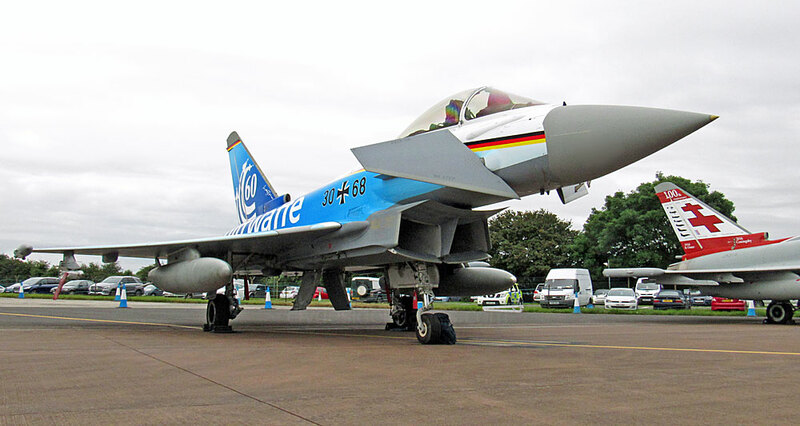 Luftwaffe Eurofighter EF-2000 30+29 of TLg 74. 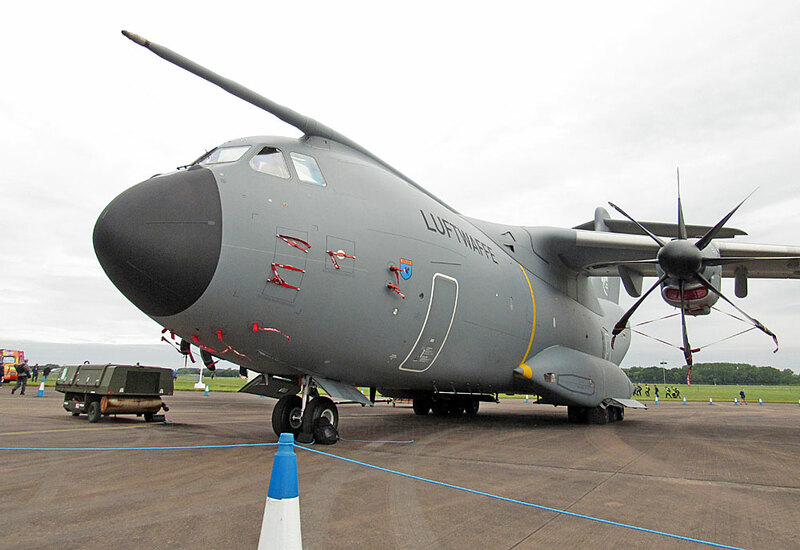 Luftwaffe Airbus A-400M 54+03 of LTG-62. 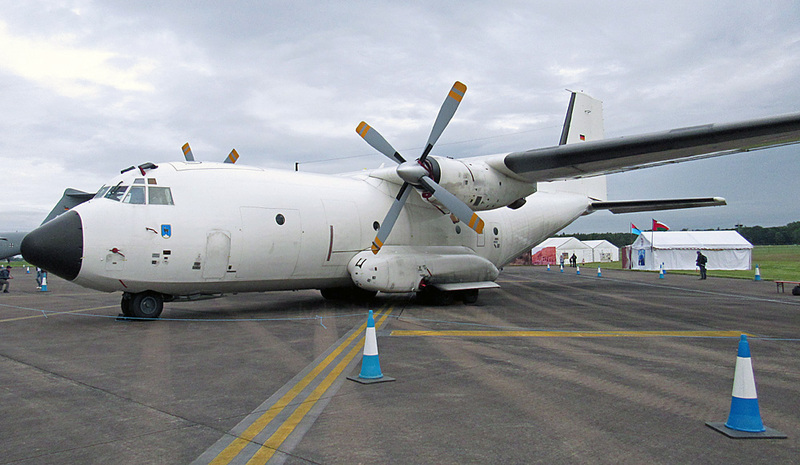 ​German Air Force Transall C-160D serial number 50+48 of LTG 61. ​Bolkow Bo-105P 87+62 German Army. 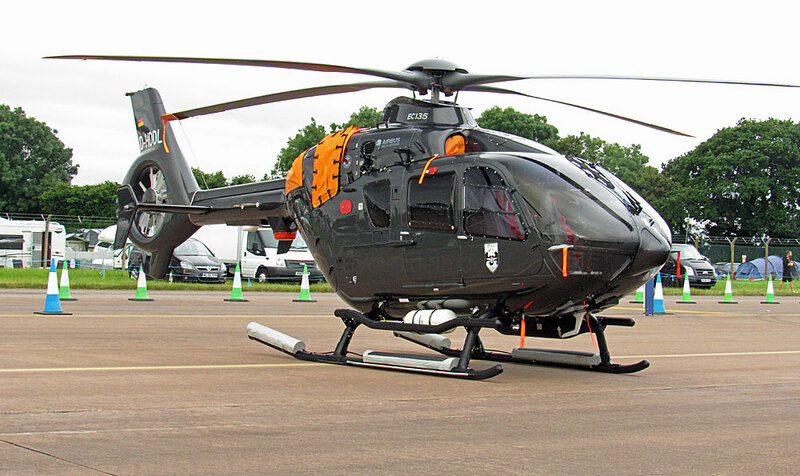 This Eurocopter EC-135P2+, which bears the civilian registration D-HDDL, is in use with MFG-5 of the German Navy. 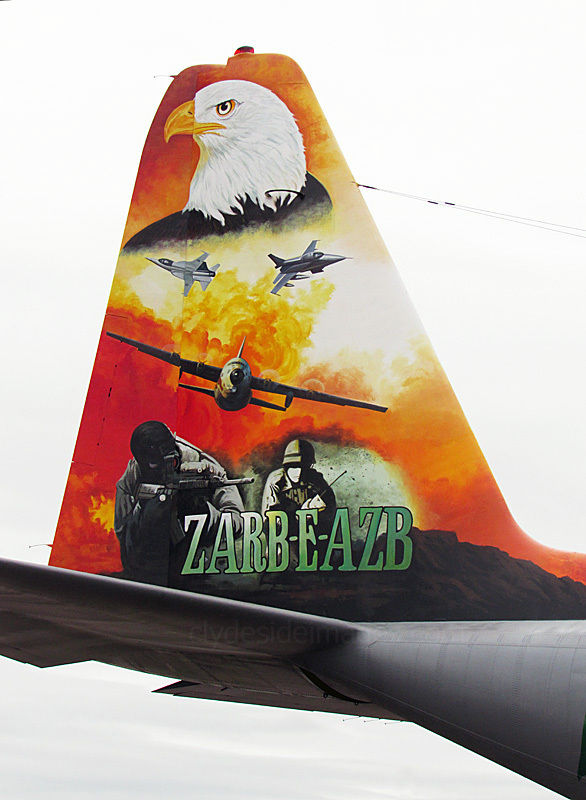 Lockheed P-3C Orion 60+03 German Navy – MFG 3. 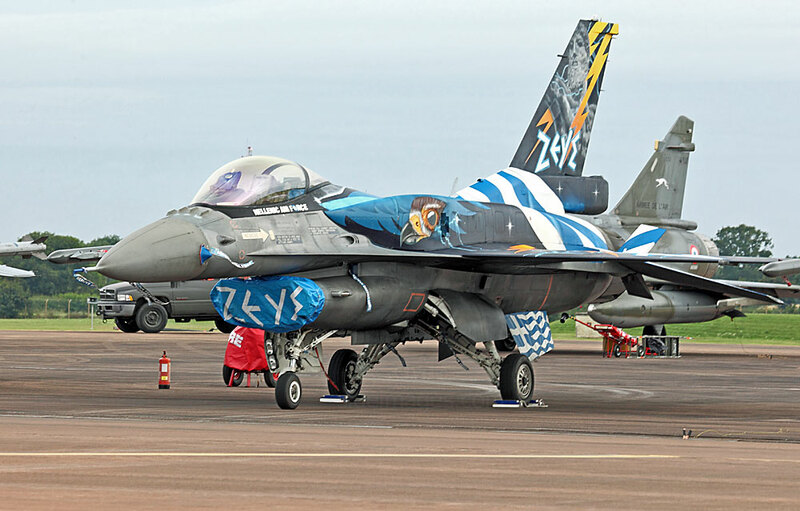 The `Team Zeus` F-16C Fighting Falcon of 340 Squadron is based at Chania, Crete. It won the Best Livery Trophy when it last appeared at Fairford in 2015 and had been due to perform a solo display on the Saturday but had to withdraw due to a technical problem. A standard, stand-by aircraft took its place. 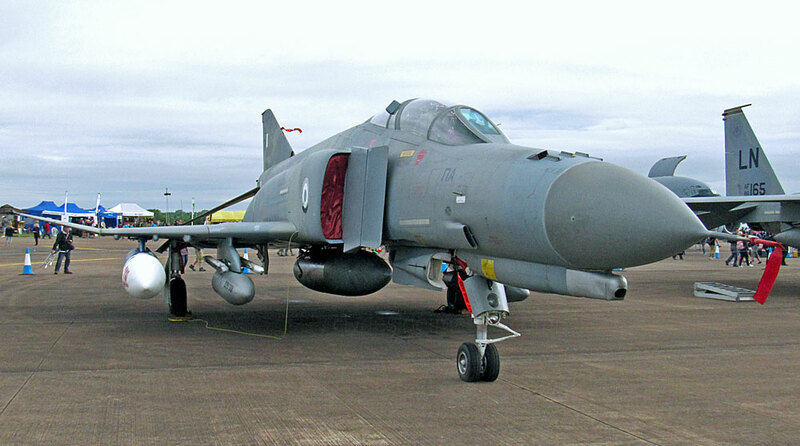 ​Quite a rare sight these days, especially in Europe: Hellenic Air Force F-4 Phantom IIs 01504 and 71755 of 339 Mira. 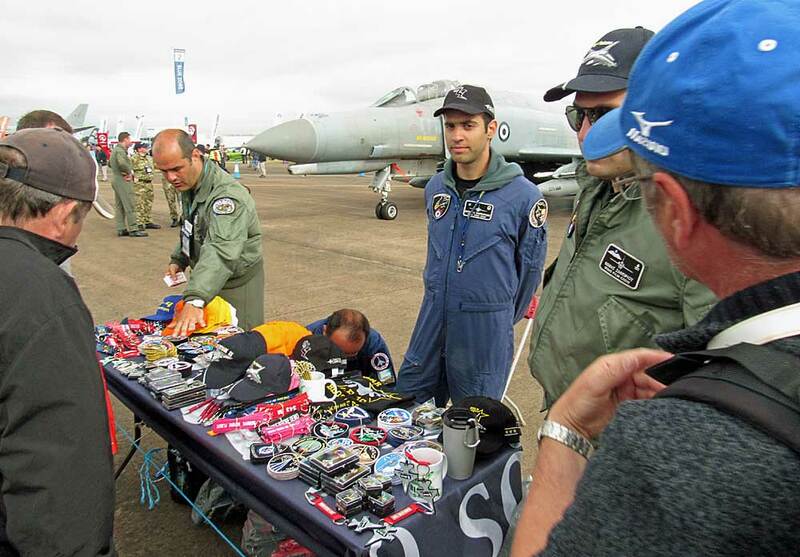 The Greek pilots` souvenir stand was doing a roaring trade, far better than some of the food outlets! 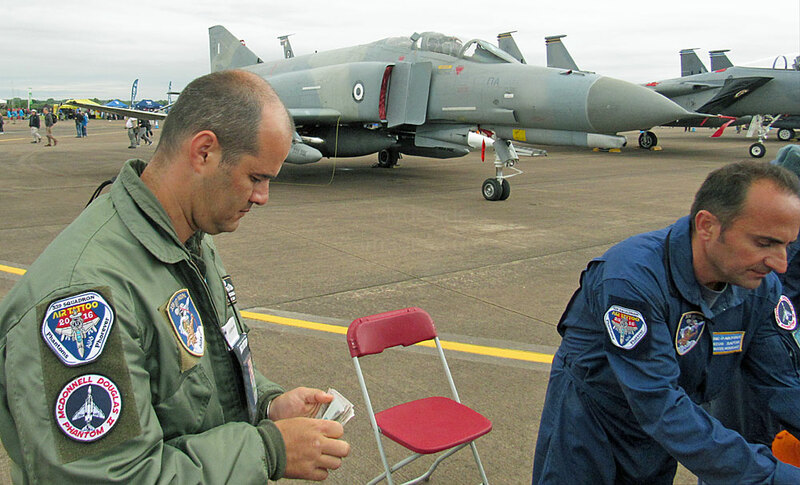 "What are the chances of a flight in the back seat of your Phantom?" 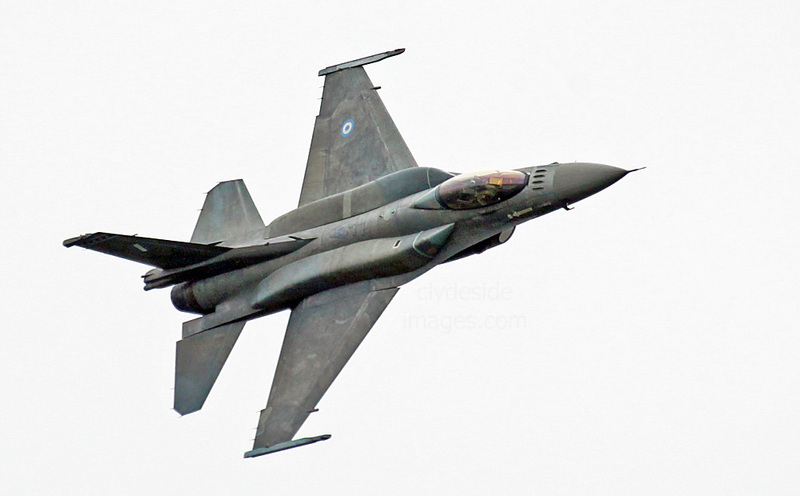 F-16C Fighting Fighting Falcon 504 Hellenic Air Force - 343 Mira/15 Wing. 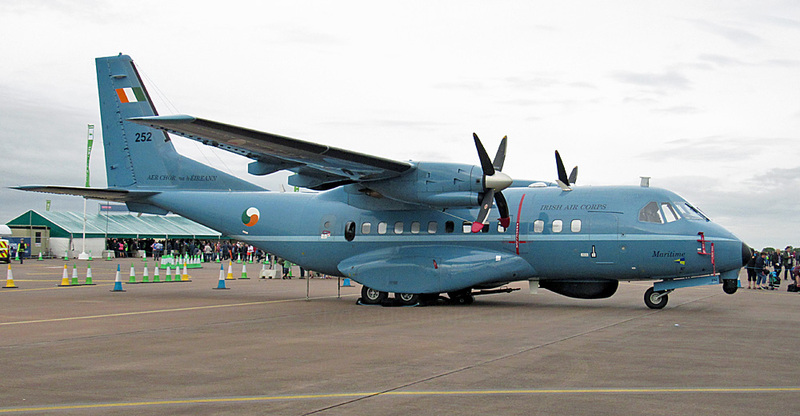 ​The Irish Air Corps was represented by CASA CN235-100 MPA, serial number 252. 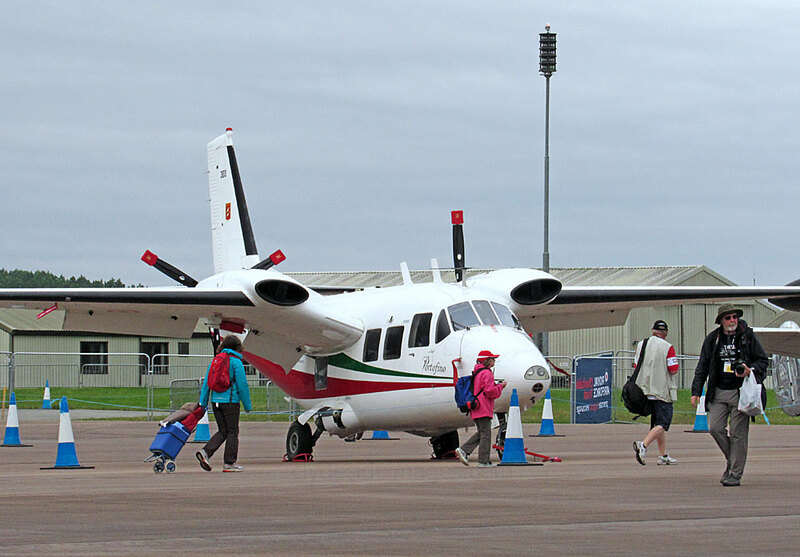 I`ve seen this aircraft at Glasgow Airport several times. 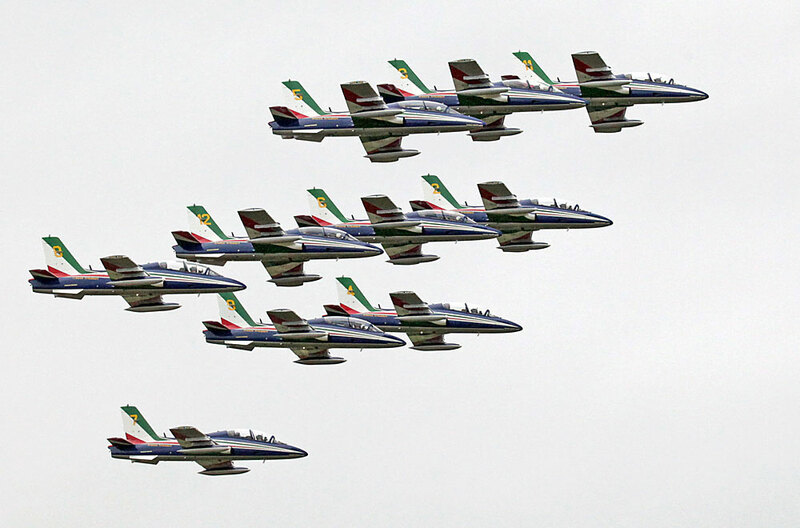 ​The Italian Air Force`s international aerobatic display team, the Frecce Tricolori in their Aermacchi AT-339As, put on a superb display as usual, despite being restricted by the relatively low cloud base. As always, the team`s commentator is very enthusiastic and very excitable! Eurofighter TF-2000A MM55095/4-23, 4 Stormo. Boeing KC-767J serial number 07-3604. Japan followed Italy to become the second customer for this air-to-air refuelling tanker variant of the Boeing 767 commercial airliner. 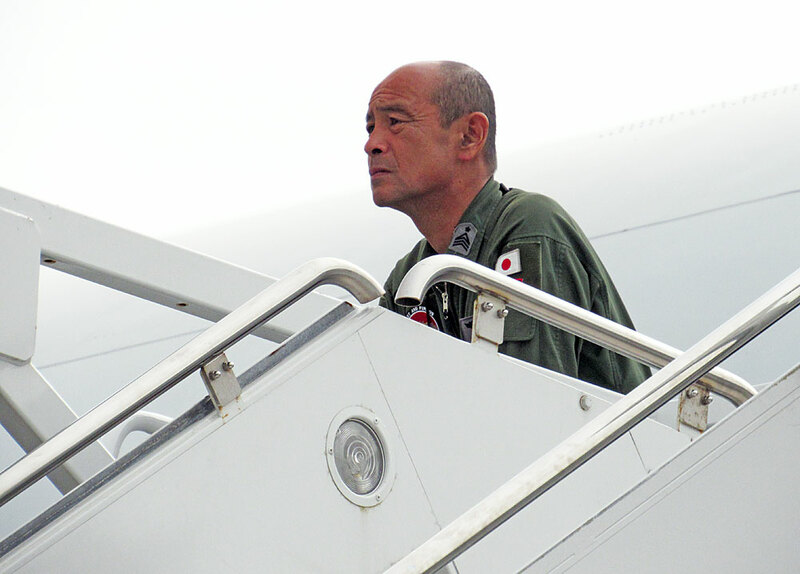 Japan received its first KC-767 in February 2008 and now four are operational with 404 Hikotai (Squadron) at Komaki. 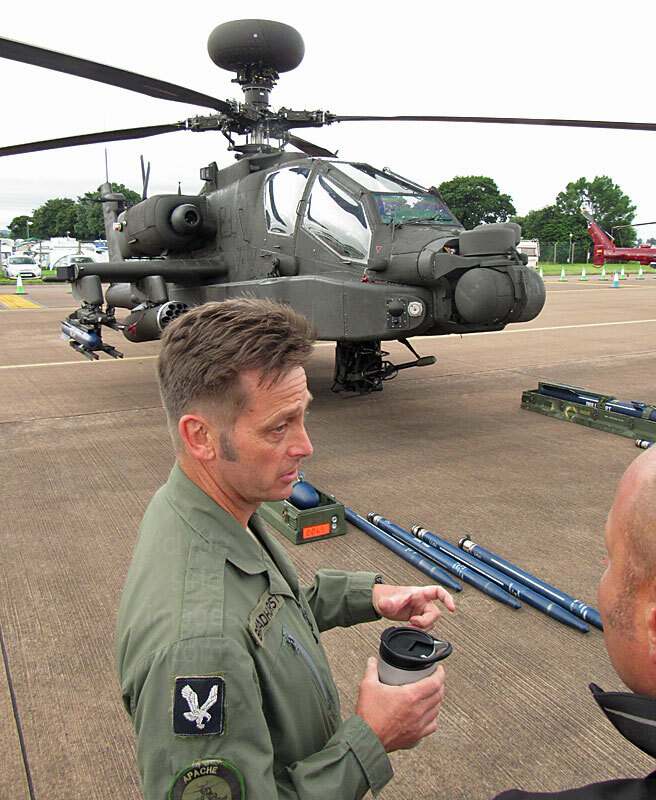 One of the others, serial number 603, was on static display at 2014`s Air Tattoo. 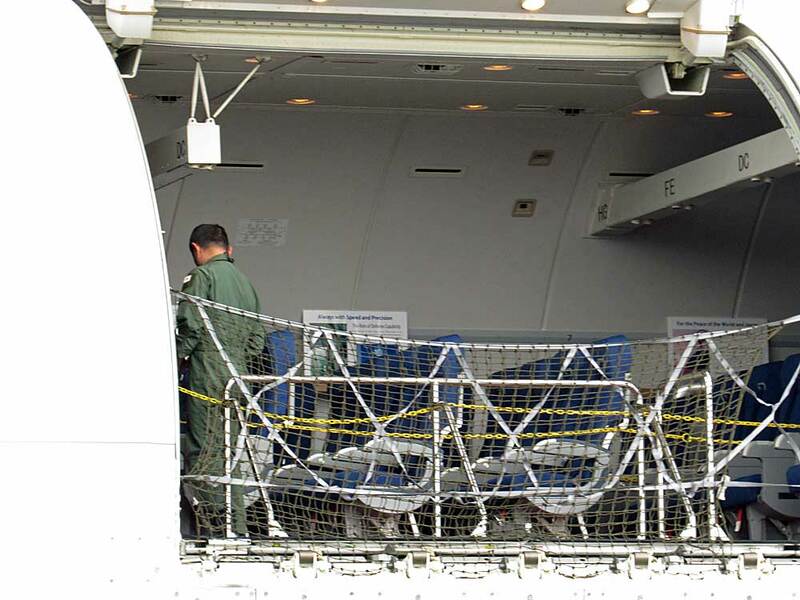 In addition to providing refuelling support to the JASDF's front-line aircraft, the KC-767J can also carry out passenger and cargo transport missions. 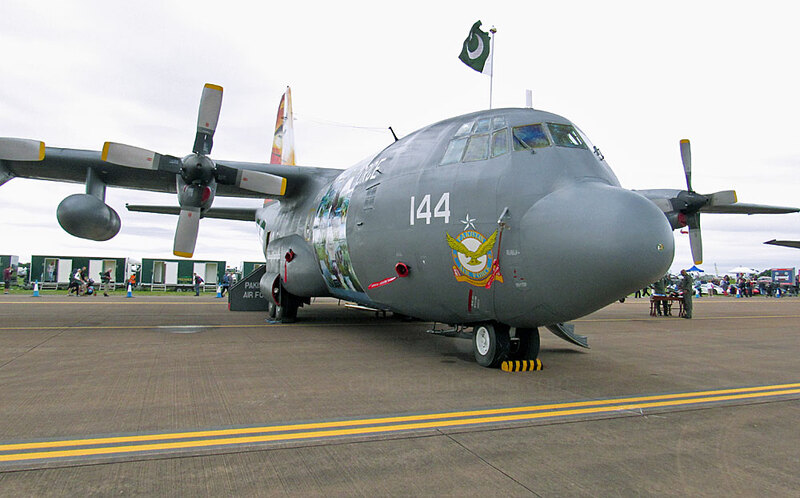 Hercules C-130H 347 Royal Jordanian AF – 3 Sqn. 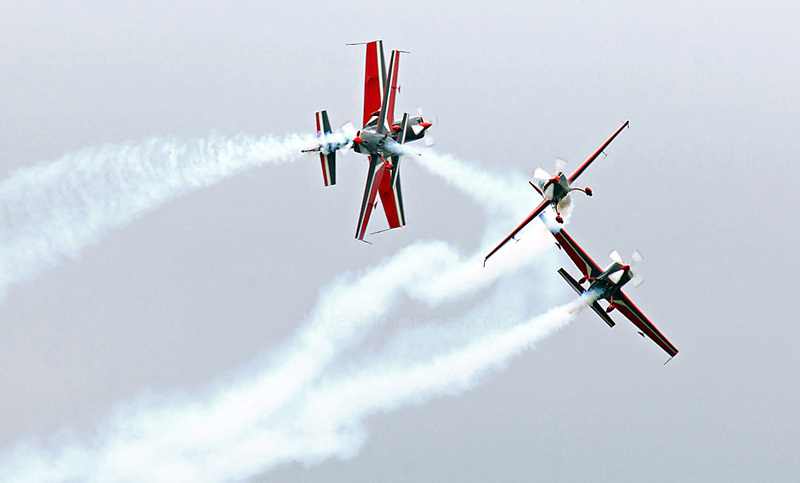 The Royal Jordanian Falcons were formed in 1976 at the behest of His Majesty King Hussein, an aviation enthusiast and pilot of great renown. 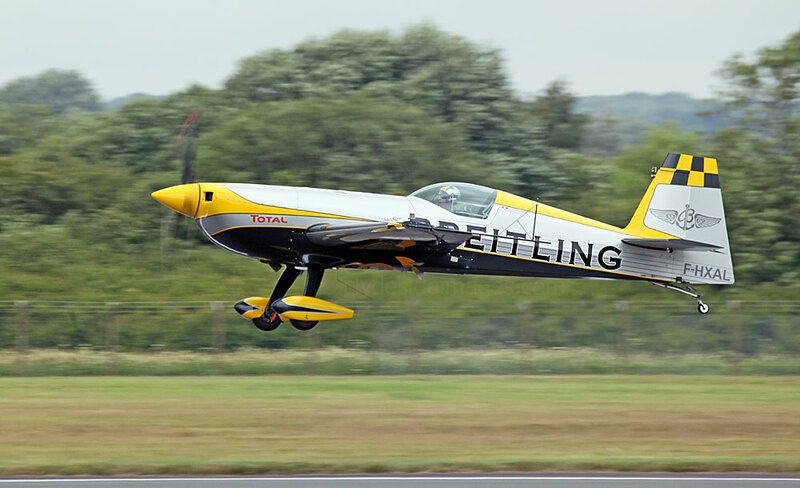 The team, all former Royal Jordanian Air Force fighter pilots, originally flew Pitts Special bi-planes but now use the German-designed Extra EA300L. 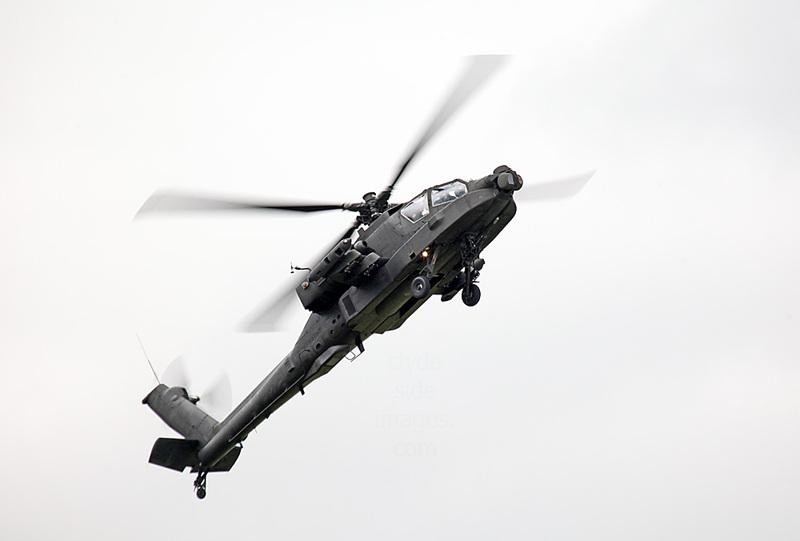 Boeing AH-64D Apache, serial number Q-18, call-sign `Hawk 01`, of 301 Sqn (The Redskins) put on an impressive display. 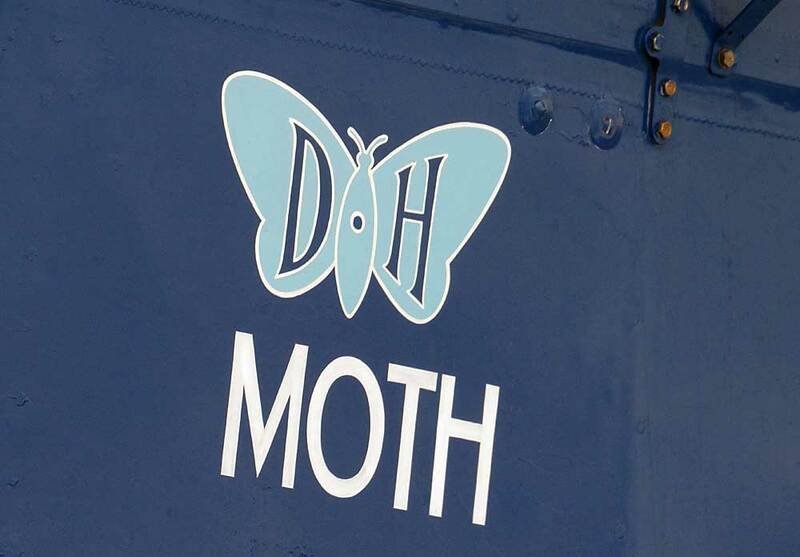 Boeing CH-47F Chinook D-890 of 298 Sqn Royal Netherlands Air Force was using the call-sign `Grizzly 73`. 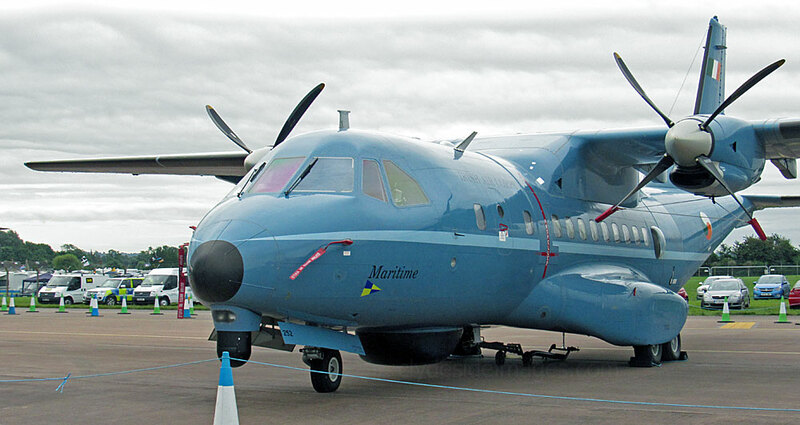 The Netherlands Coastguard (Nederlandse Kustwacht) operate a pair of Dornier Do.228-212 aircraft, one of which, PH-CGC, is pictured here, the other being PH-CGN. 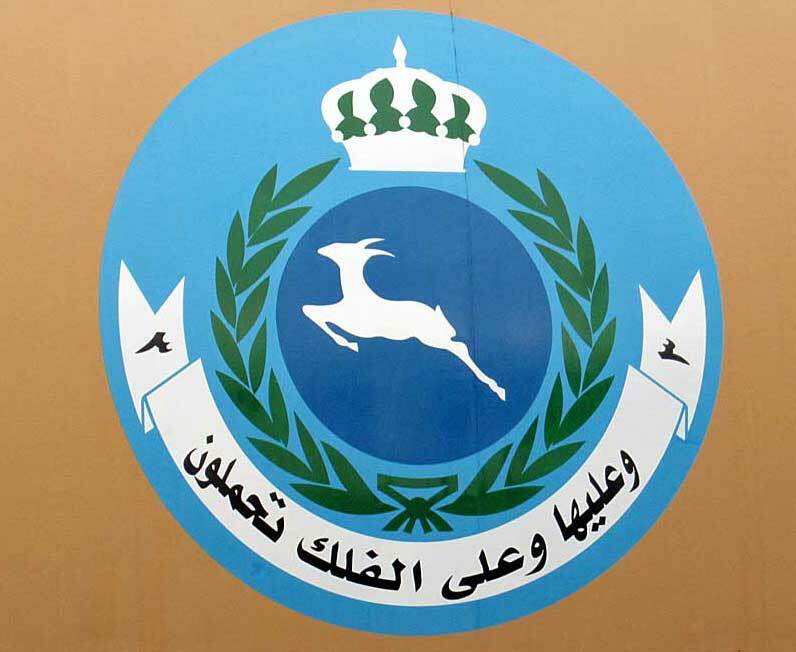 The pilots are from the Royal Netherlands Navy and Royal Netherlands Air Force while the observers are from various ministries. The standard crew is two pilots and two observers. 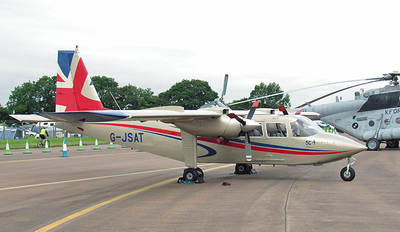 These Do.228s have navigation, communication, tracking, photo and video equipment onboard which enables them to perform a variety of tasks including Search and Rescue (SAR), tracking pollution and identifying the source, tracking movements of vessels in the North Sea and enforcing maritime law. 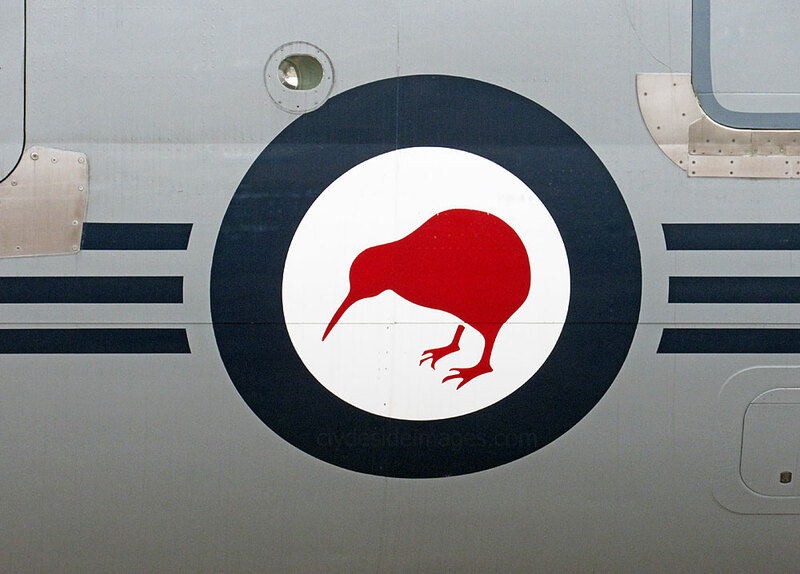 A long way from home: ​Boeing B-757-22QC NZ7572 of 40 Sqn, Royal New Zealand Air Force. Falcon FA-20ECM serial number 053 Norwegian AF - 717 Skv. 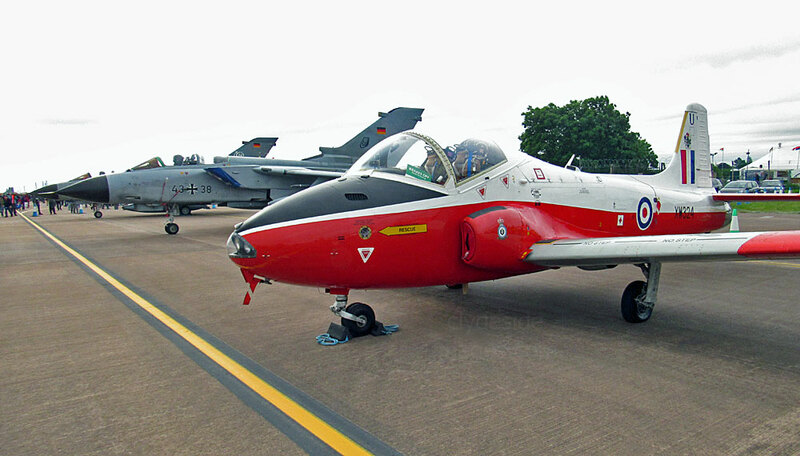 ​BAC 167 Strikemaster MK.82A G-SOAF is preserved as serial number 425 of the Sultan of Oman's AF (SOAF). 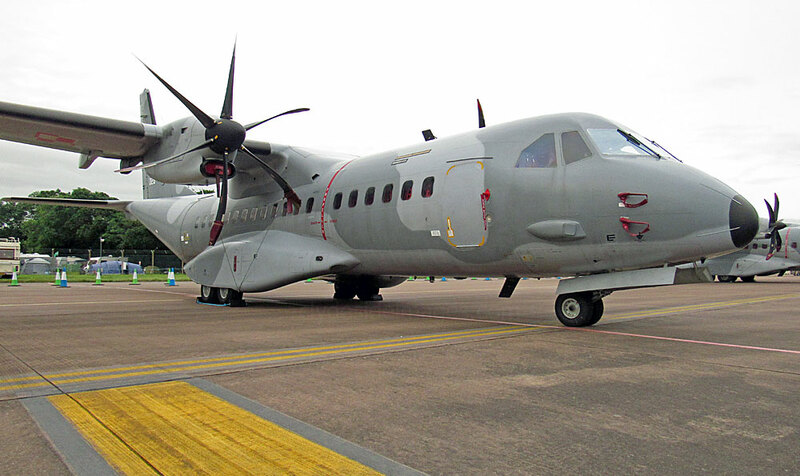 ​The Royal Air Force of Oman signed an order for three CASA C-295M Persuader maritime patrol aircraft on 19 May 2012, one of which, serial number 903, is seen here. 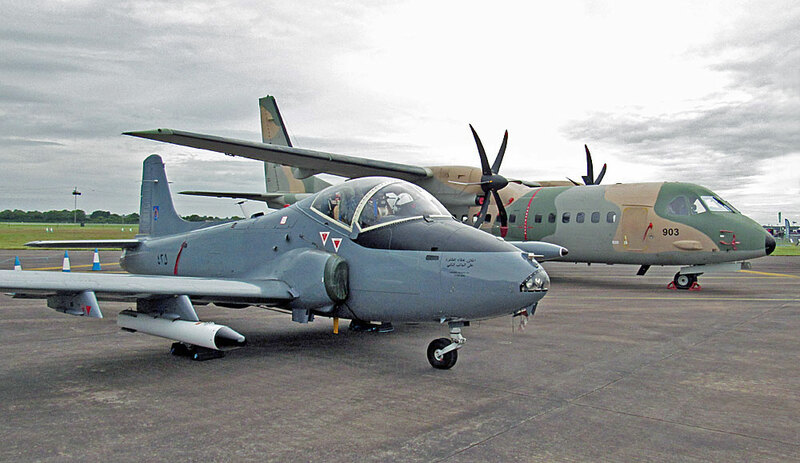 The Portuguese Air Force and Chilean Air Force also operate the type. 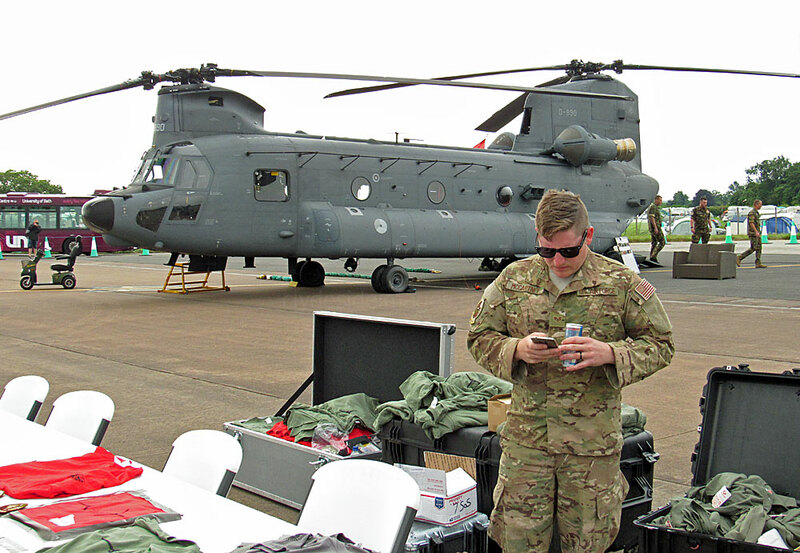 The Persuader can perform a variety of tasks, including conducting long range search and rescue missions, delivering paratroopers or special forces, and supporting humanitarian aid operations. 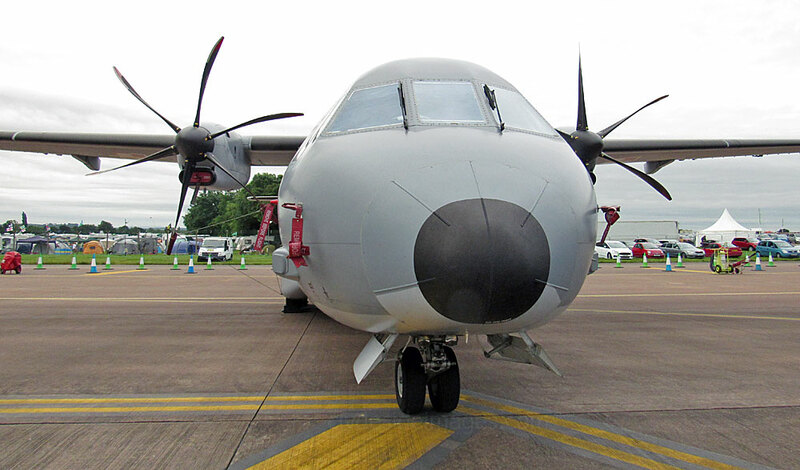 The C-295 can also be aerial refuelled for increased range. 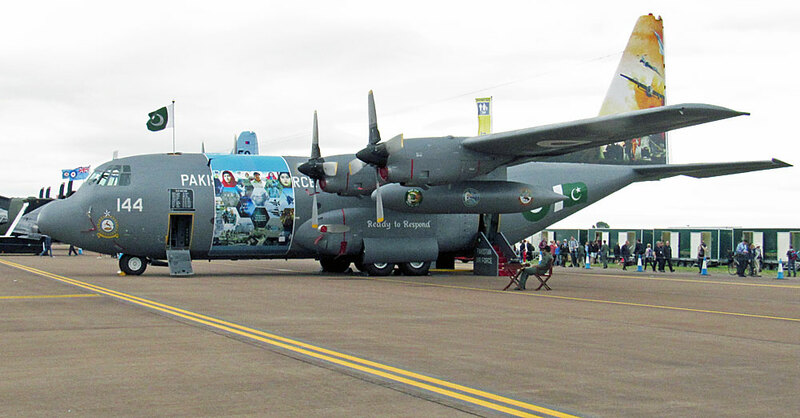 Strikingly-marked C-130E Hercules, serial number 4144, of 6 Sqn, Pakistan Air Force. 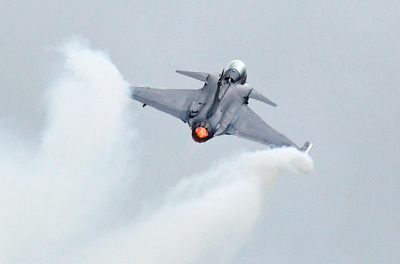 Things were looking much brighter by the time Mig-29A Fulcrum, serial number 108 of 1 ELT, took to the air, able to perform its full routine with no height restriction. 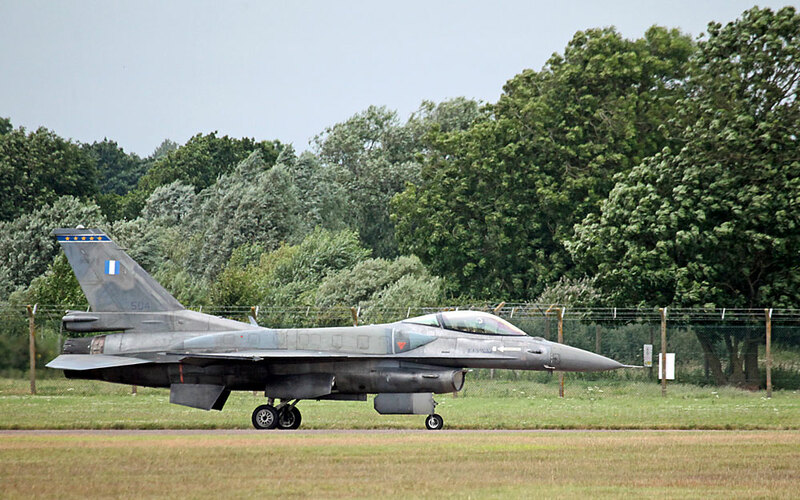 A pair of Polish Air Force F-16C Fighting Falcons were also in attendance, namely 4046 and 4056, both from 31 BLT. 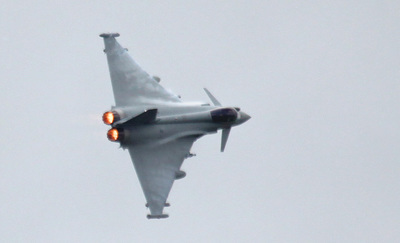 The latter aircraft performed on the Saturday. 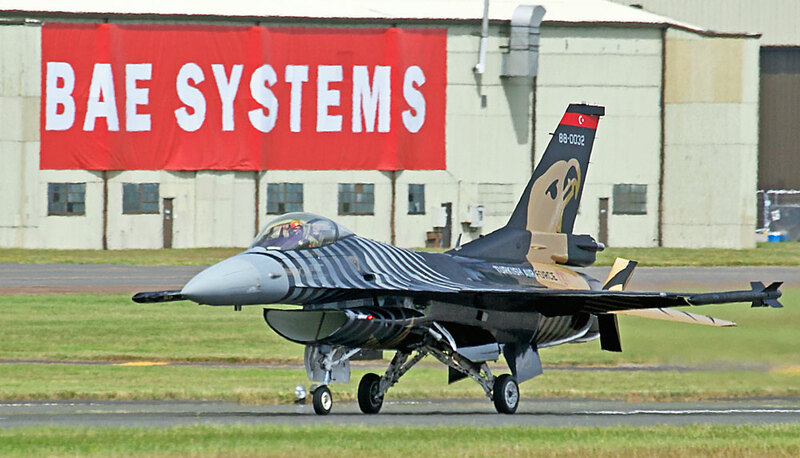 ​The Polish Air Block 52 Force F-16s, including the demo aircraft, are powered by the Pratt and Whitney F-100-229 engine. 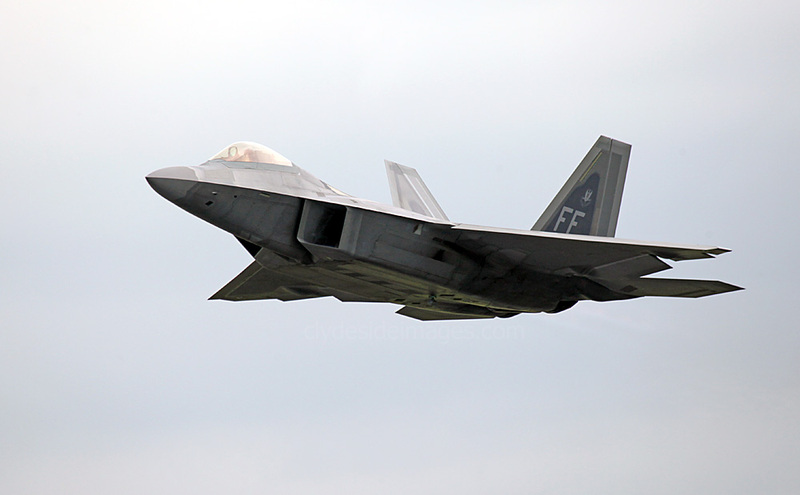 They are also equipped with state-of-the-art avionics, including the APG-68(V)9 radar which provides high-resolution ground imaging enabling day or night all-weather weapons delivery. 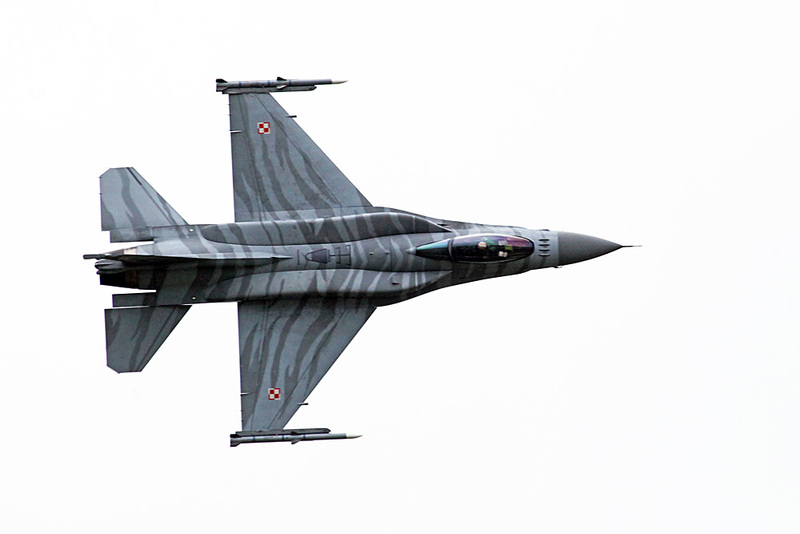 Poland ordered a total of 48 F-16C fighters from Lockheed Martin in 2002, in a deal worth around US $3.5 billion. 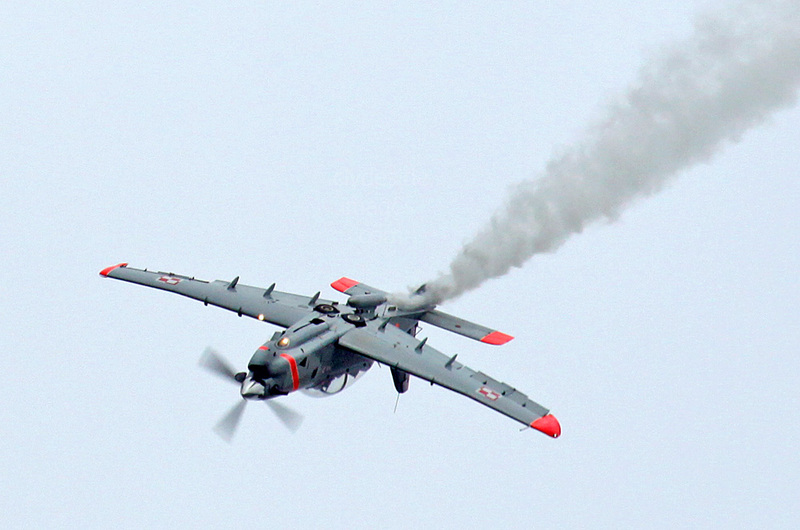 ​PZL M28 Bryza 1R, serial number 1017, 44.BLM, Polish Navy. 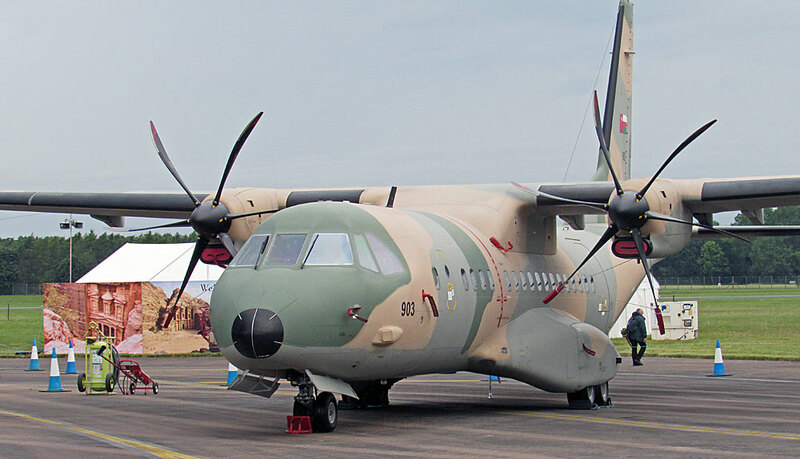 ​This Polish STOL light cargo and passenger plane is a development of license-built Antonov An-28 with the civilian version known as the Skytruck while the maritime patrol and reconnaissance variant seen here is named Bryza ("sea breeze"). 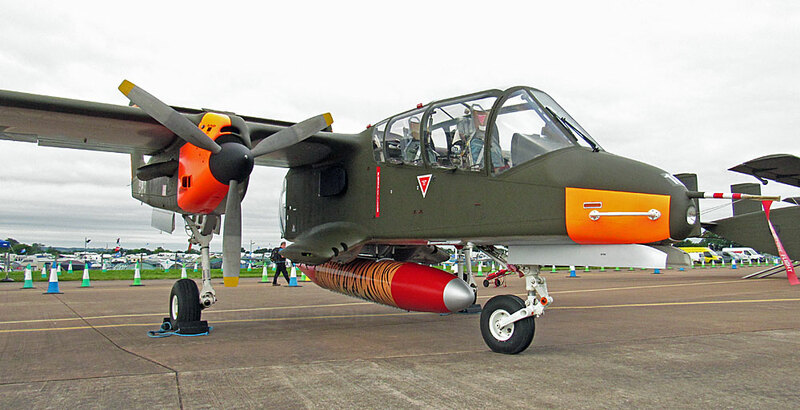 Other operators of the M28 include the Indonesian National police, Royal Jordanian Air Force, Nepalese Army Air Service, USAF, Venezuelan Army and National Guard and the Vietnam People`s Air Force. 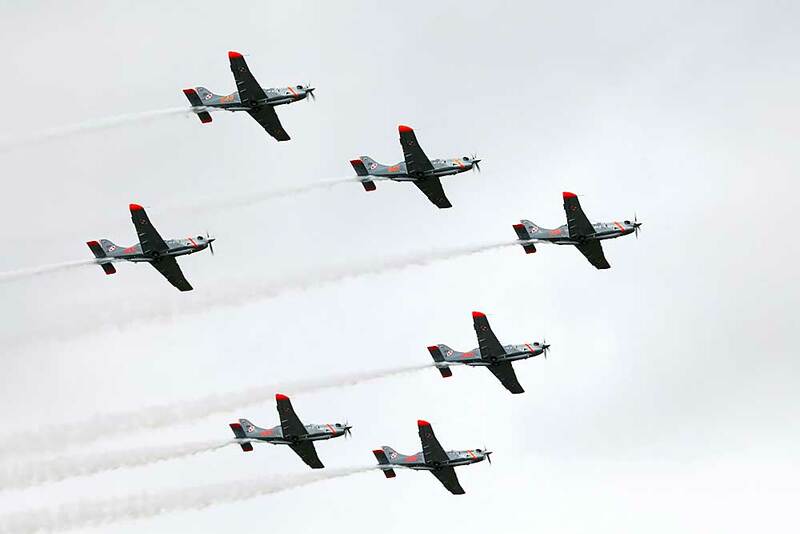 The Orlik (Eagle) Aerobatic Team takes its name from their Polish-built PZL-130TC-II Turbo Orlik trainers. 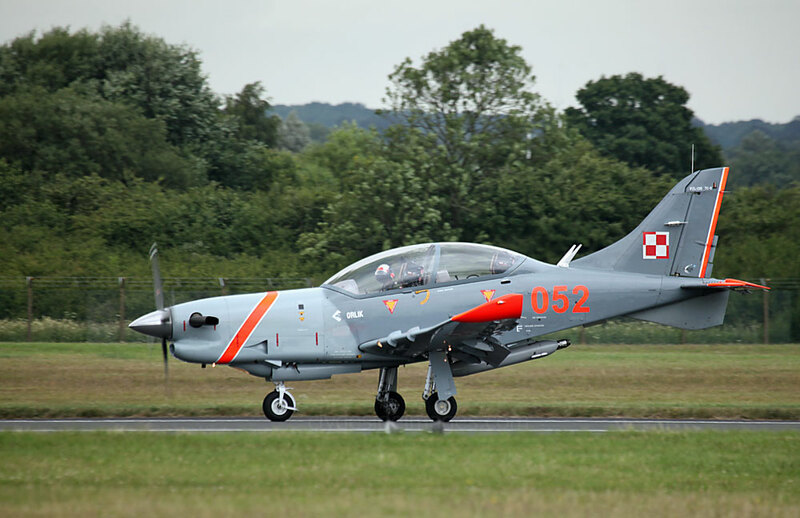 The Orlik was intended as a replacement for the Polish Air Force`s PZL-110 Kolibers with the first prototype Orlik taking to the air on 12 October 1984. 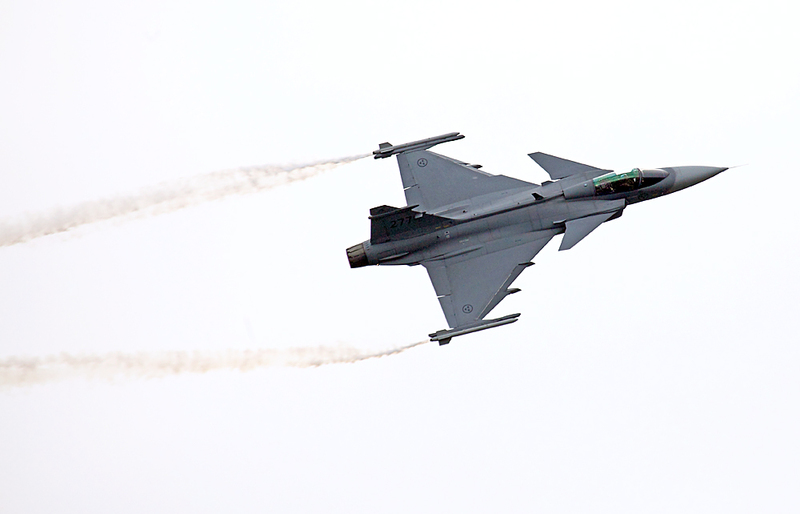 The design incorporates a low-aspect ratio wing to better simulate the handling characteristics of jet fighters. 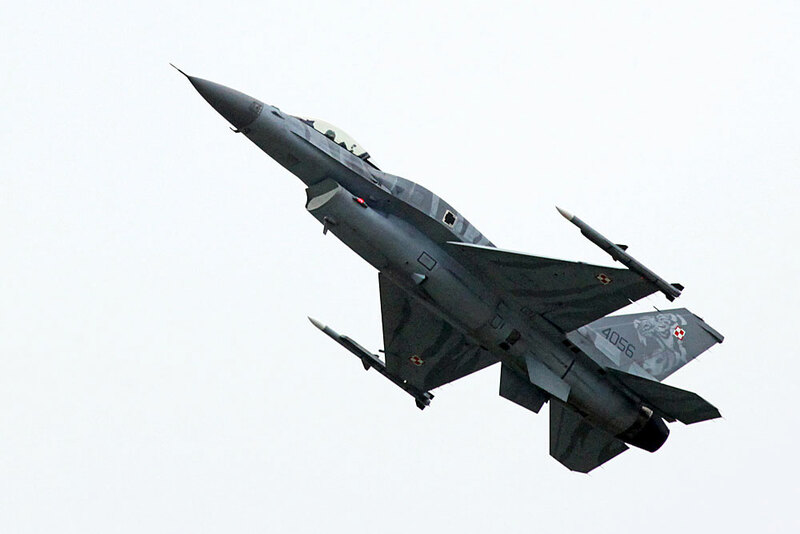 Deliveries started in 1994, with the aircraft equipping the Military Pilot Academy at Dęblin and the 60th Training Air Regiment at Radom, where the display team is now based. 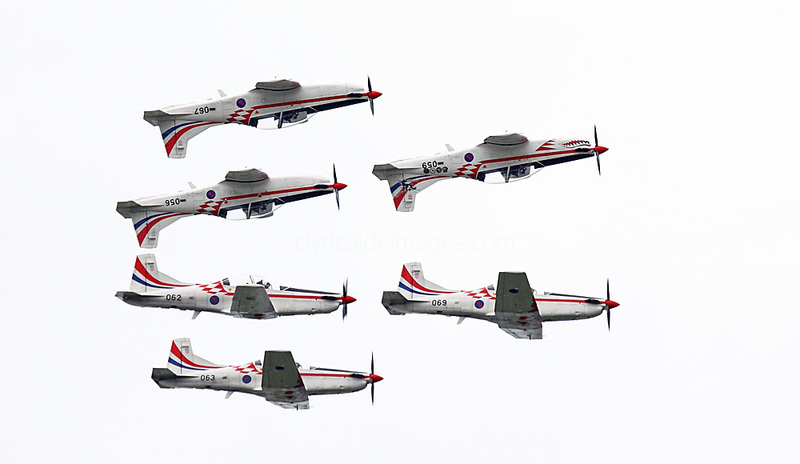 Unlike most of the other military display teams, the Orliks don`t sport a special colour scheme as they are all standard training aircraft from the wing at Radom. 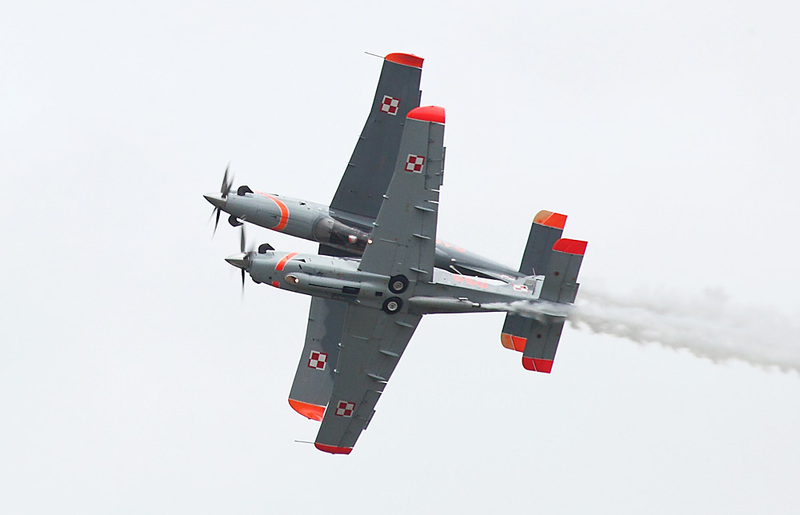 The Orlik trainer has also saw service with the Polish Navy. 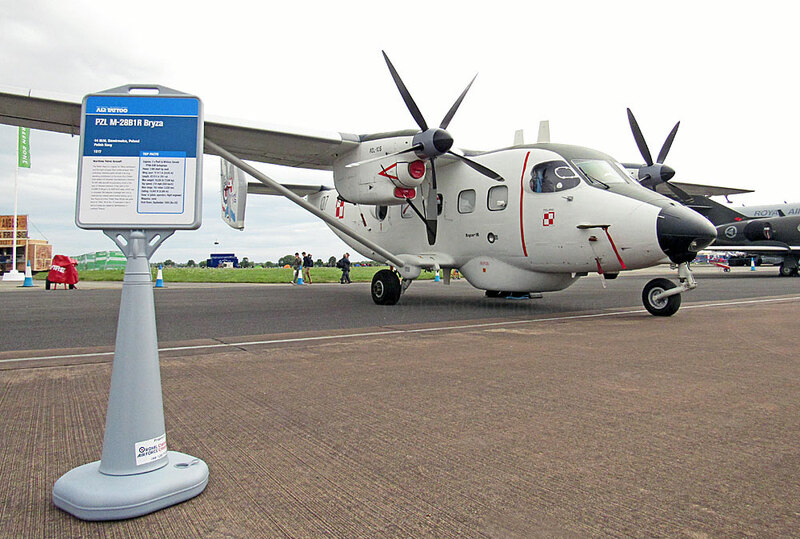 ​Airbus C-295M serial numbers 013 and 026 of 13 ELT, Polish Air Force. 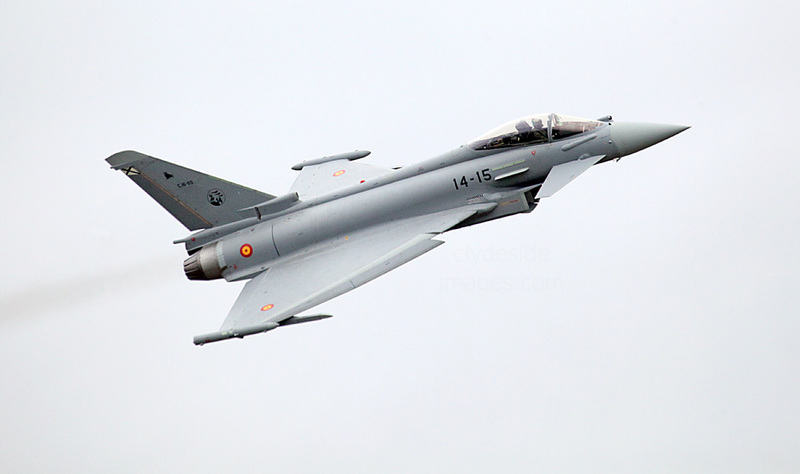 EF-2000 Eurofighter C.16-55/14-15 Spanish Air Force – Ala 14. Captain Peter Fallen of the Swedish Air Force won the Best Individual Flying Display trophy for skill shown while putting Saab JAS-39C 39277 (277) Gripen of F7 Wing through its paces. 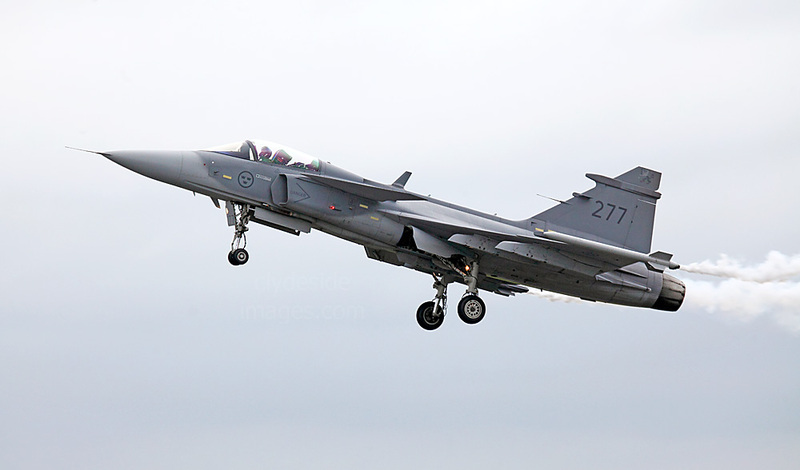 Below, and on the right above is Saab JAS-39D Gripen 39821/821 Swedish AF - F-7 Wing. 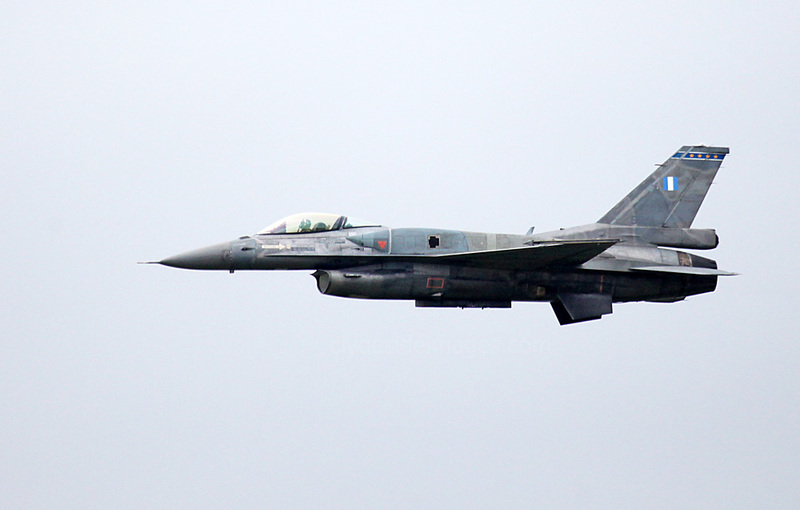 Solo Turk F-16C Fighting Falcon 88-0032. The F-22A and F-35A had been scheduled to display in formation with a North American P-51D of the US Air Force Heritage Flight but the Mustang was unable to reach the airfield due to adverse weather. 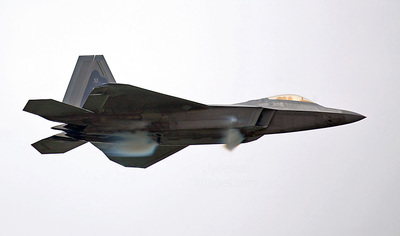 F-35A Lightning II 12-5058 (LF) USAF, 61st FS/56th Fighter Wing, on static display, is pictured below. 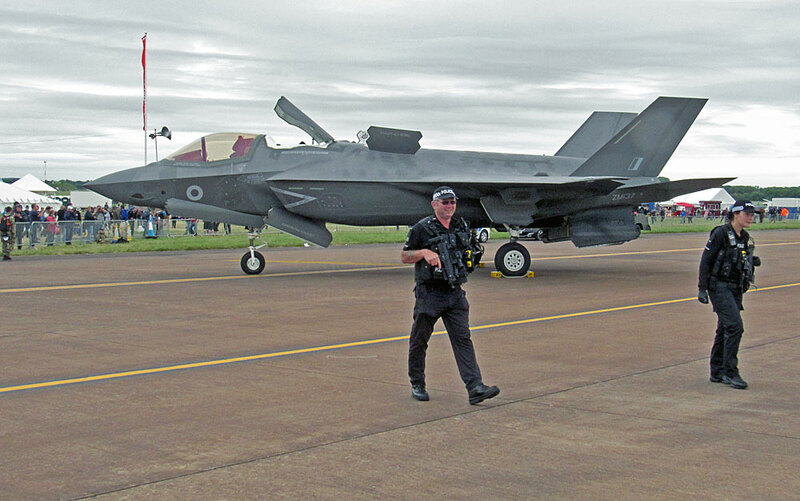 A special presentation for an outstanding contribution to the event was awarded by the Air Tattoo Chief Executive Andy Armstrong to all those involved in the first deployment of the F-35 to the UK. 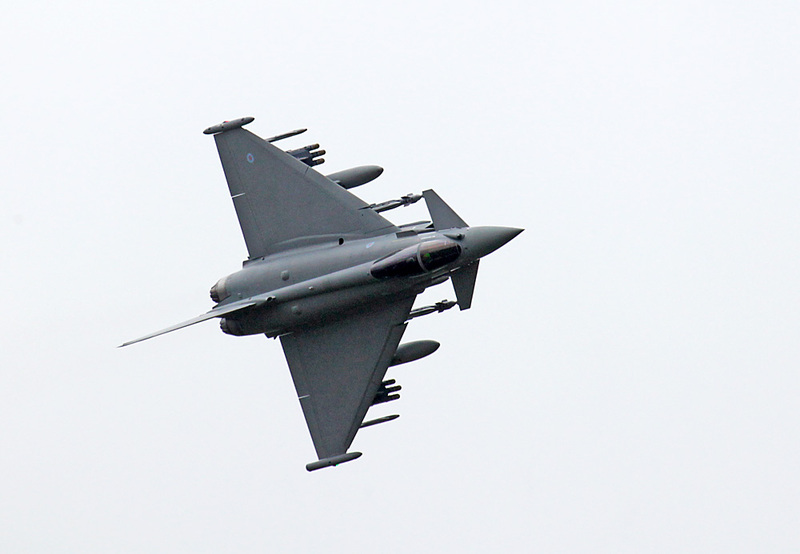 The appearance of no less than six jets took considerable organisation and planning on both sides of the Atlantic. 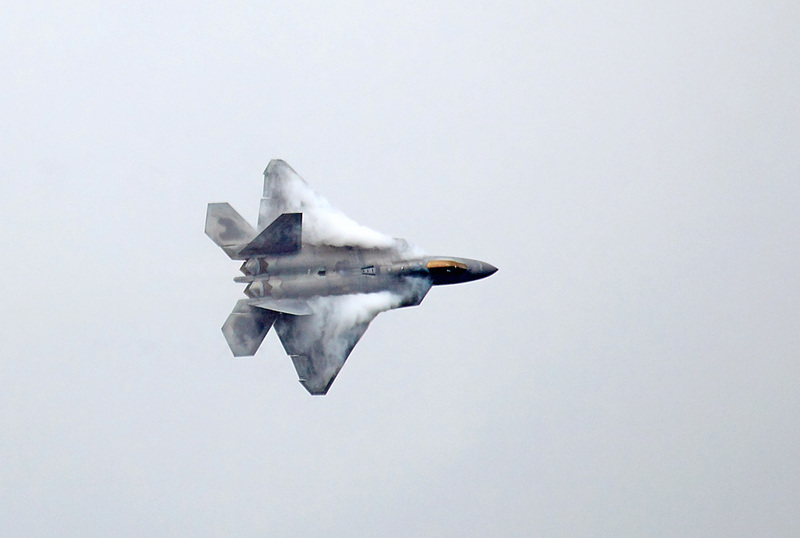 Another of the day`s undoubted highlights was a spectacular display by the F-22A Raptor flown by Major Dan `Rock` Dickson from the USAF Combat Command. It had been 6 years since the state-of-the-art air-superiority fighter had taken to the air at the event and the pilot`s effort and skill were recognised with the award of the `As the Crow Flies` trophy for the best overall flying display as judged by the Friends of the International Air Tattoo (FRIAT). Another factor which helps to improve the Raptor`s stealth characteristics is that all weapons are carried in internal bays. 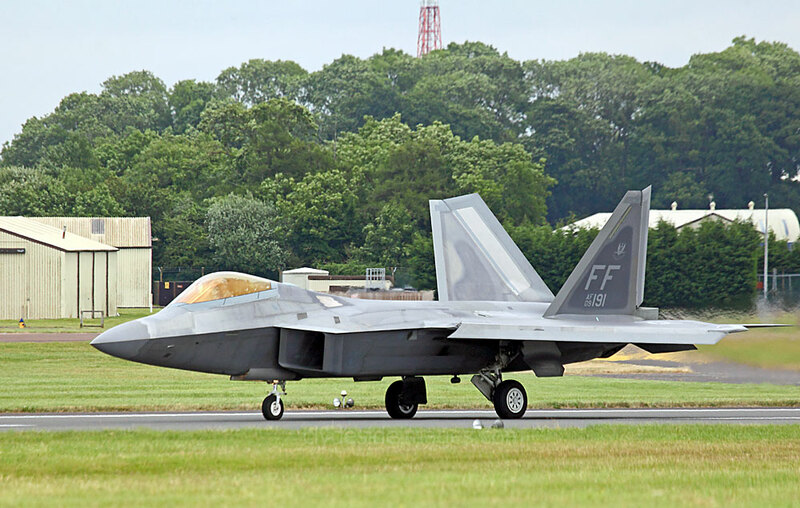 F-22A Raptor 09-4191 (FF) 1st FW, USAF. 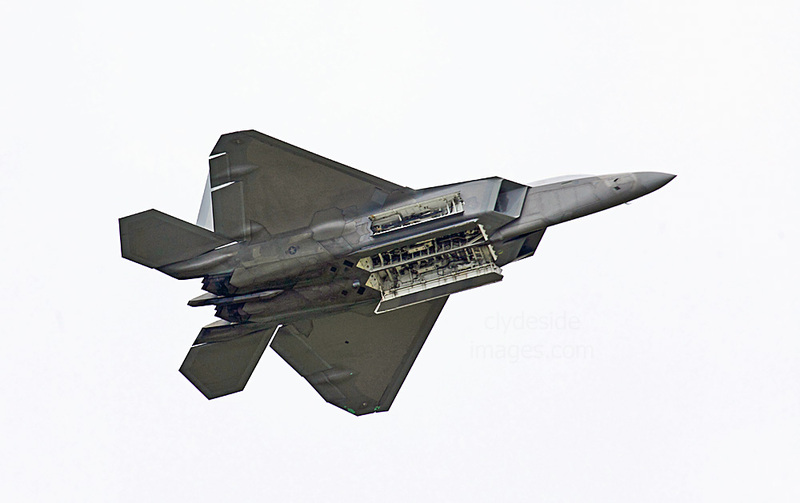 McDonnell Douglas F-15C Eagle 86-0165 (LN) 493rd FS - 48th FW, RAF Lakenheath. 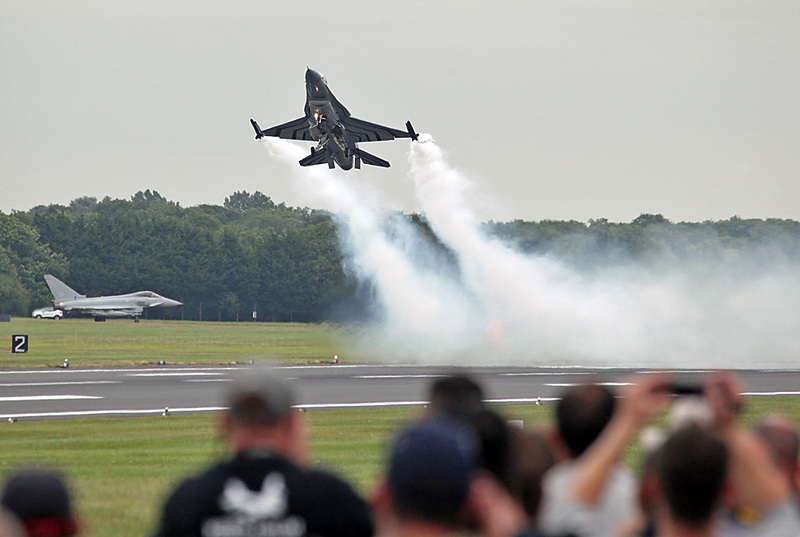 F-15E Strike Eagle 91-0605 (LN) 492nd FS - 48th FW, RAF Lakenheath. 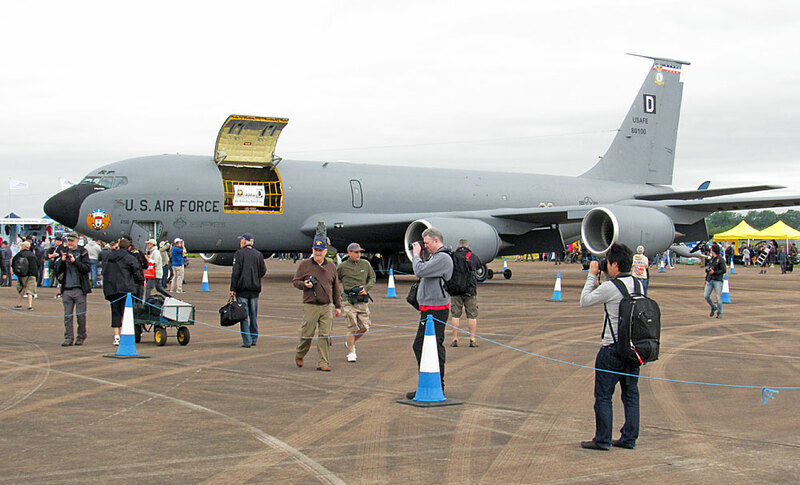 ​Boeing KC-135R Stratotanker, serial number 58-0100 (D), USAFE - 351st ARS - 100th ARW. 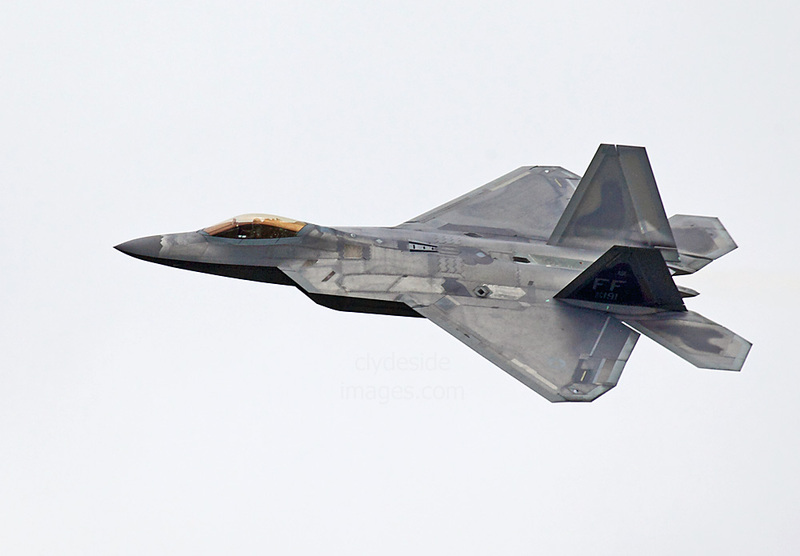 ​MC-130J Commando II, serial number 11-5737, USAFE - 67th SOS - 352nd SOW. 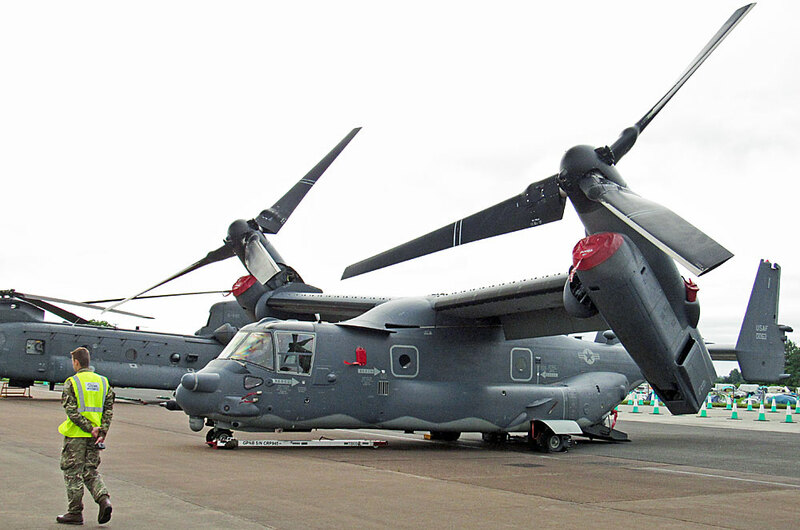 ​Boeing CV-22B Osprey 12-0063 USAFE was on static display. 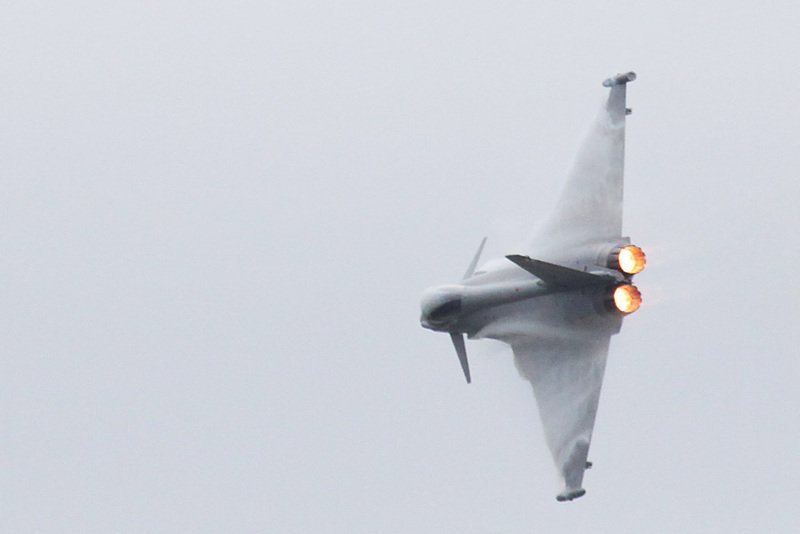 I managed to get a shot of `Knife 71` 12-0064 during its performance from the car near the end of proceedings while I was queuing to exit the airfield. 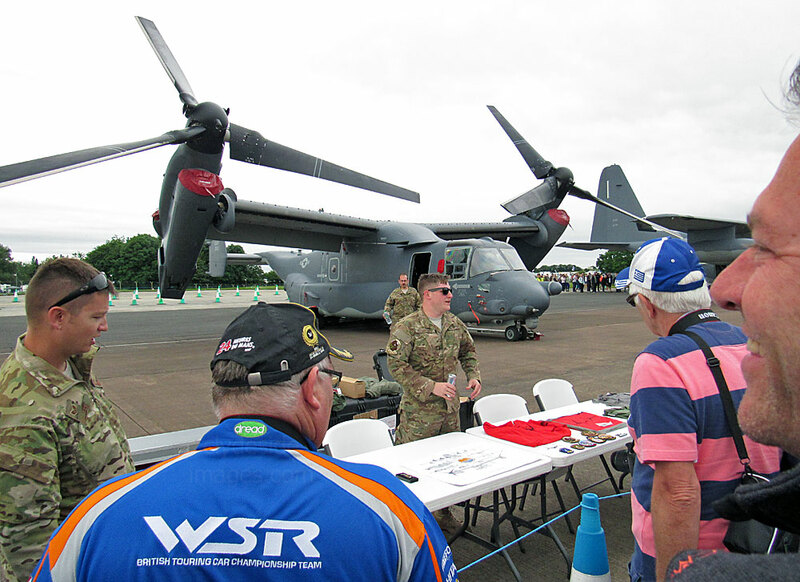 Both aircraft are from 7th Special Operations Squadron (SOS) - 352nd SOW and currently based at RAF Mildenhall in Suffolk. ​I`m not sure whether this Northrop Grumman X-47B US Navy Drone serial number 168063/NG-501 is the real thing, or just a replica. 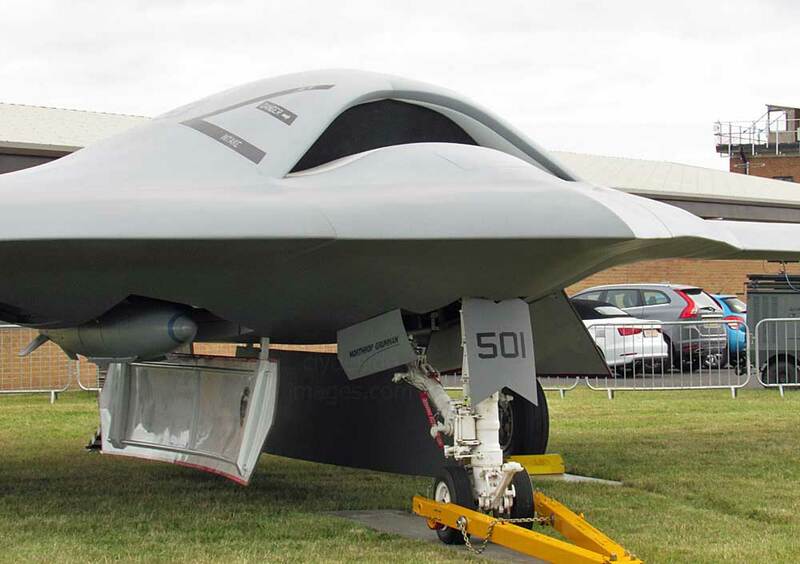 This is a demonstration unmanned combat air vehicle (UCAV) designed for aircraft carrier-based operations. The X-47B first flew in 2011, and as of last year, its two active demonstrators have succesfully undergone extensive flight land and carrier-based operational integration testing. In August 2014, the US Navy announced that it had integrated the X-47B into carrier operations alongside manned aircraft, and by May 2015 the aircraft's primary test program was declared complete. 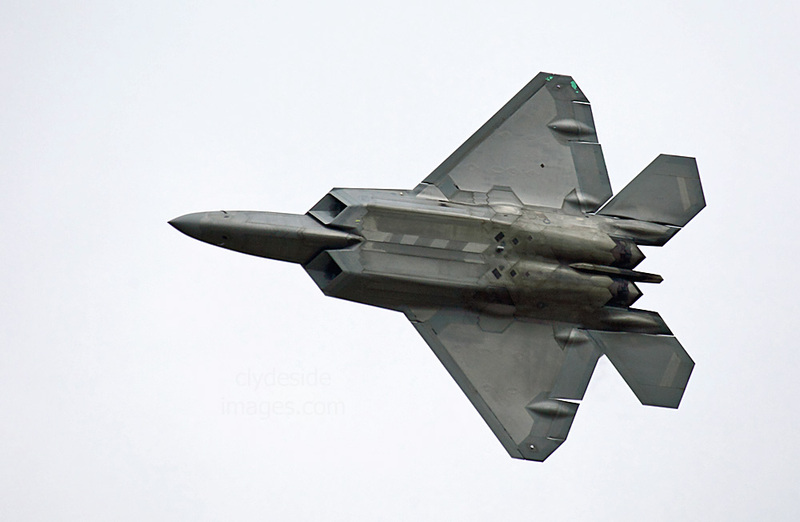 Northrop Grumman intends to develop the prototype X-47B into a battlefield-ready aircraft, the Unmanned Carrier-Launched Airborne Surveillance and Strike (UCLASS) system, which will enter service in the 2020s. The X-47B demonstrators themselves were intended to become museum exhibits after the completion of their flight testing, but the Navy later decided to maintain them in flying condition pending further development. 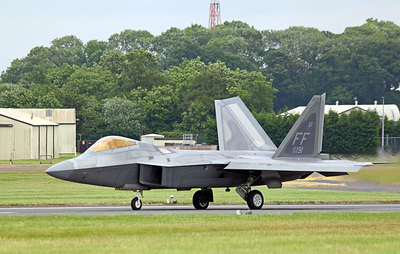 The US Navy was represented at this year`s Air Tattoo by Boeing P-8A Poseidon 168853 from VP-30 and F/A-18F Super Hornet 168930 (not photographed) from VFA-106. 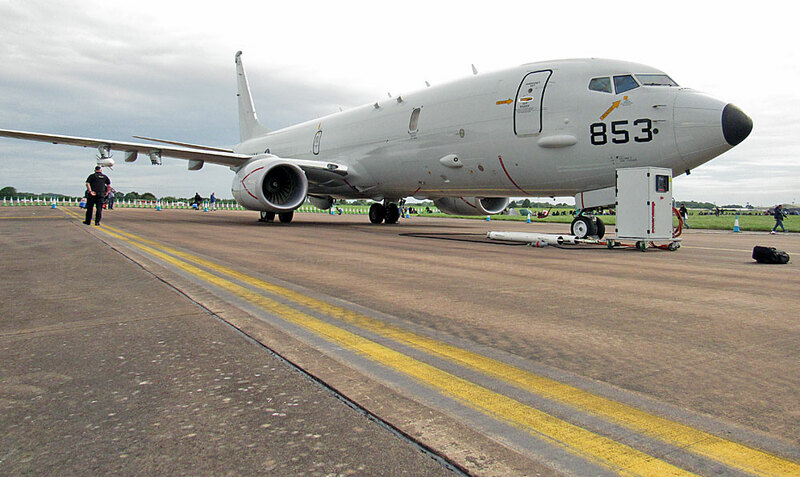 It was announced recently that Boeing intends to create a new £100 Million P-8A Poseidon facility at RAF Lossiemouth which will become the company`s European centre for training, maintenance, repair and overhaul for all its military fixed-wing and rotary aircraft. 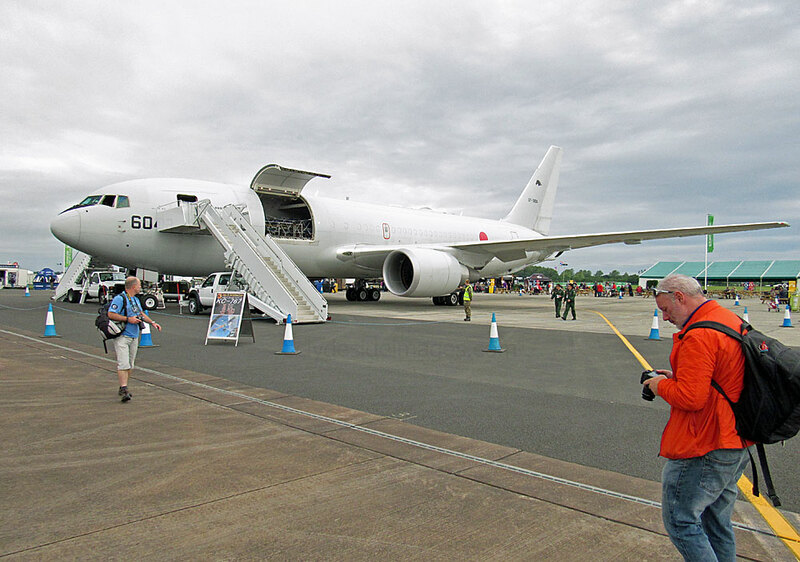 In addition to the new base, Boeing is selling nine Boeing P-8 Poseidon aircraft to the UK, which will operate from the Moray airbase alongside the RAF's squadrons of Typhoon and Tornado jets. 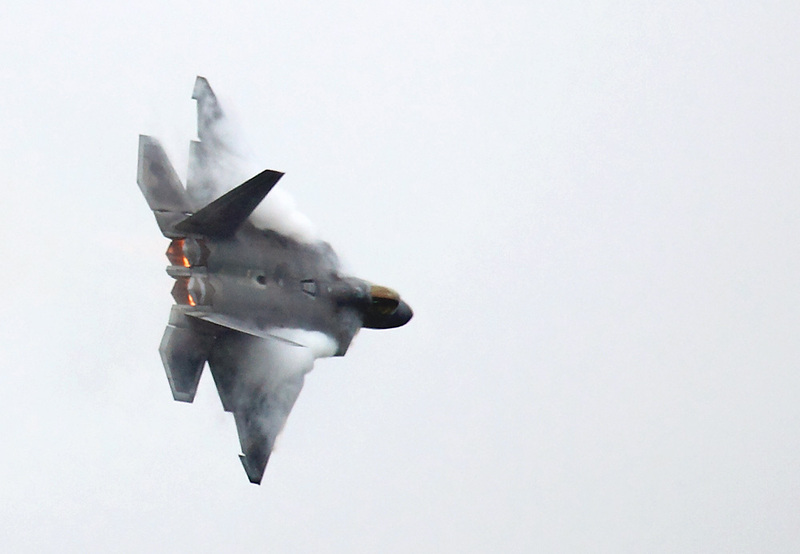 The following slide-show features shots of US Marine Corps (USMC) F-35B Lightning II 168727/VM-18 taken during its outstanding solo display on Saturday afternoon. 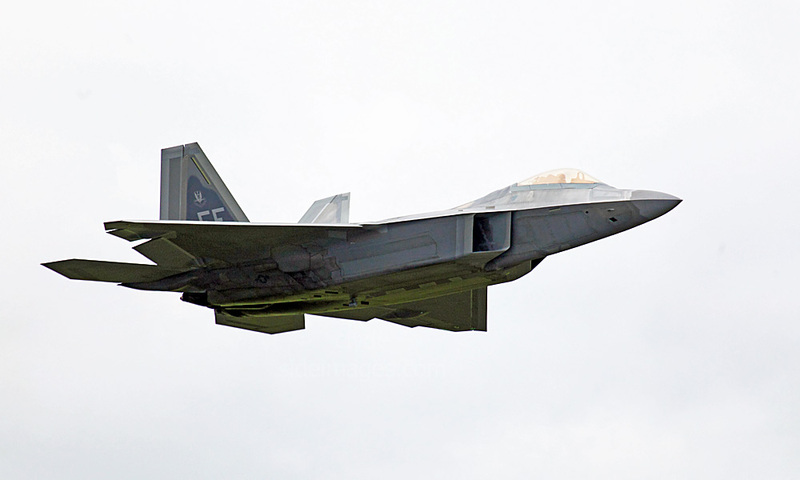 The aircraft is from VMFAT-501 based at MCAS Beaufort, South Carolina, USA. The F-35B is currently the only vertical lift combat fighter in production in the world and the only one fitted with Rolls Royce`s innovative Liftsystem. The Liftsystem`s components include a powerful Liftfan situated behind the pilot which generates about 20,000 lbs of downward thrust from unheated air. 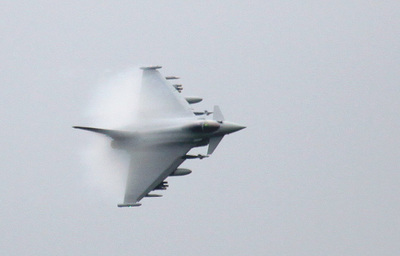 In just over one second the unit, which is connected to a Pratt & Whitney F135 engine via a shaft and gearbox, swallows enough air to empty a squash court. The unique 3-bearing swivel module at the rear of the aircraft can rotate downwards in just 2.5 seconds to provide an extra 18,000 lbs of heated thrust for additional control and stability. The next generation fighter jet has already been praised by pilots for its ease of operation and its reliable and effective Short Take-Off and Vertical Lift (STOVL) system. 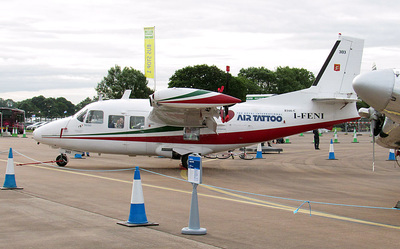 Textron Aviation is the general aviation business unit of the American Textron group which was formed in March 2014 following the acquisition of Beech Holdings which included the Beechcraft and Hawker aircraft businesses. 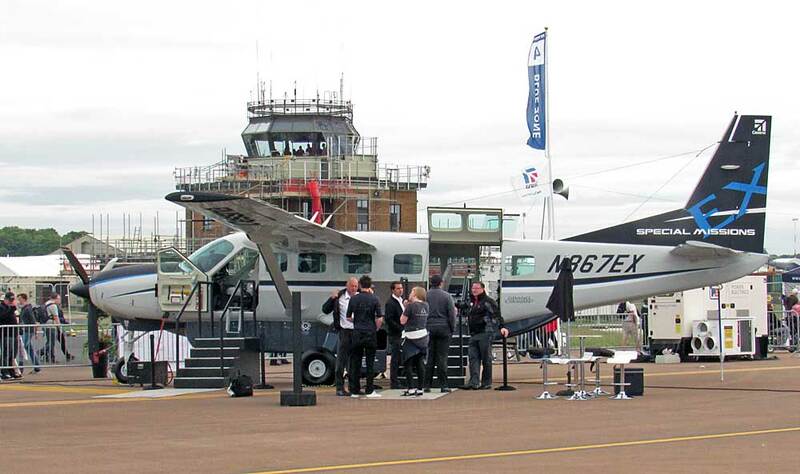 Textron Aviation sells Beechcraft, Cessna, and Hawker branded aircraft under common management. The company`s wares include Cessna single-engined piston, turboprop and jet aircraft, Beechcraft piston and turboprops and Hawker jets. 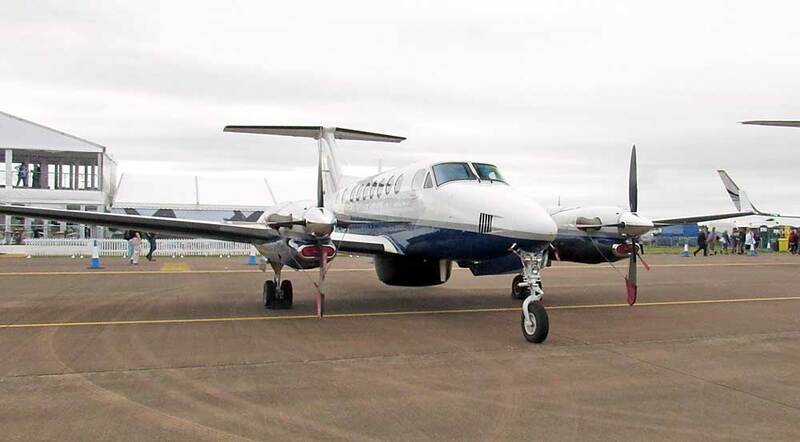 Over 250,000 existing aircraft in currently in the Textron fleet. 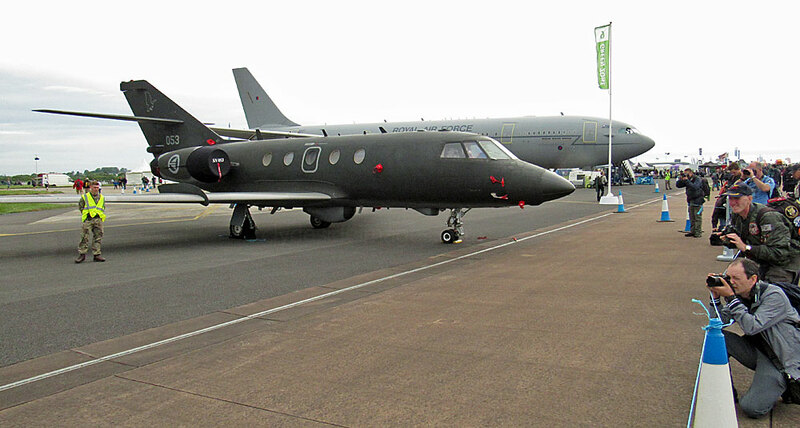 Present at the RIAT this year were Beechcraft Air/Land Scorpion N531TA (above), Beechcraft AT-6 Wolverine N630LA (below), Beechcraft King Air 350 N350ER and Cessna 208 Grand Caravan N867EX. I`d already photographed N630LA on 22 April 2016 when it touched down at Glasgow Airport on its first visit. 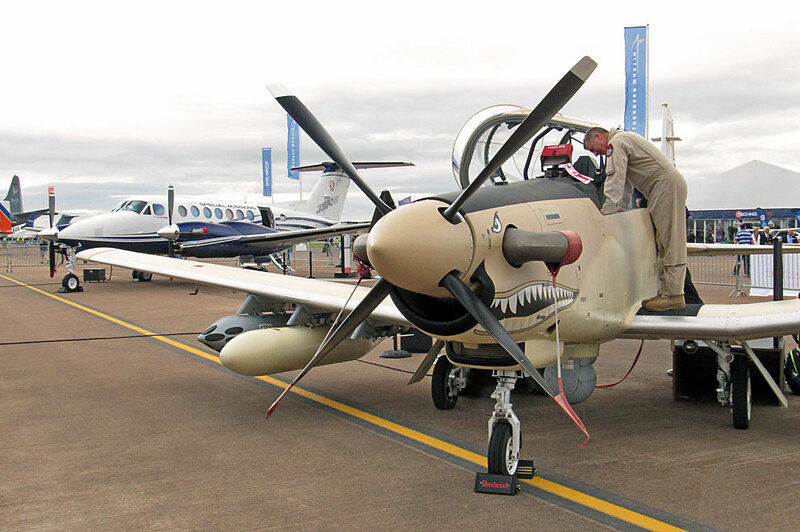 Based on the Swiss-made Pilatus PC-9, the AT-6 has replaced the US Air Force's Cessna T-37B and the US Navy's T-34C Turbo Mentor aircraft. 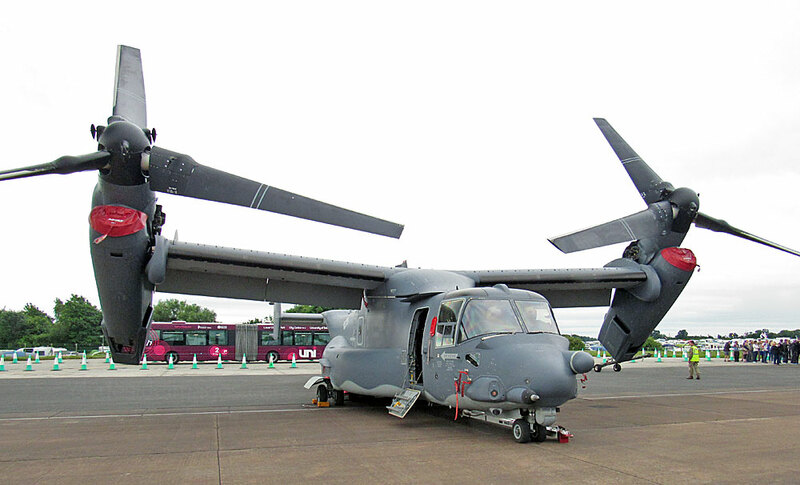 The US Marine Corps also operate this next generation turboprop. 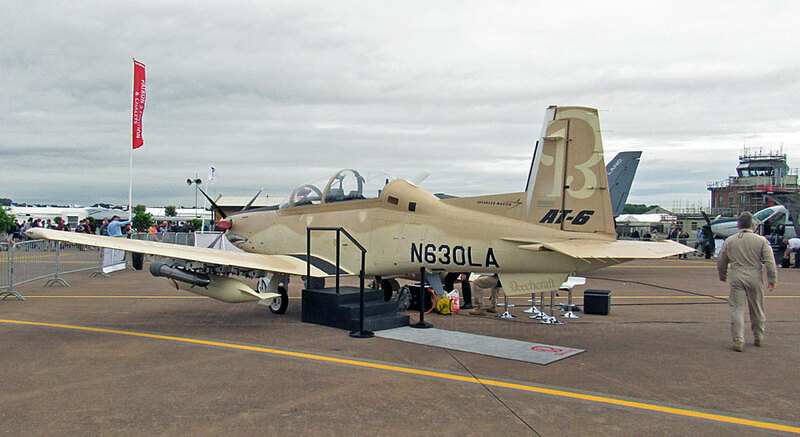 ​The Textron AirLand Scorpion jet (above left) is a proposed American light attack and Intelligence, surveillance and reconnaissance (ISR) aircraft. 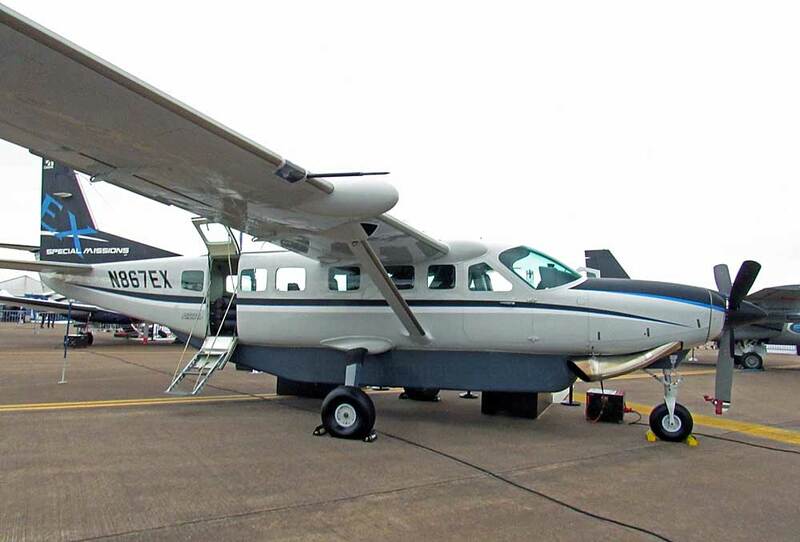 The project is a joint venture between Textron and AirLand Enterprises with the prototype secretly constructed by Cessna at their Wichita, Kansas, facility between April 2012 and September 2013. 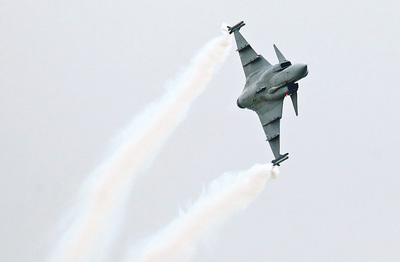 This aircraft, the only one of its type, first took to the air on 12 December 2013 and sales negotiations are ongoing with various air arms and governments across the globe. ​Above: Cessna 208 Grand Caravan N867EX and, below, Beechcraft King Air 350 N350ER. Starting with the oldest first (if this was a real one!) 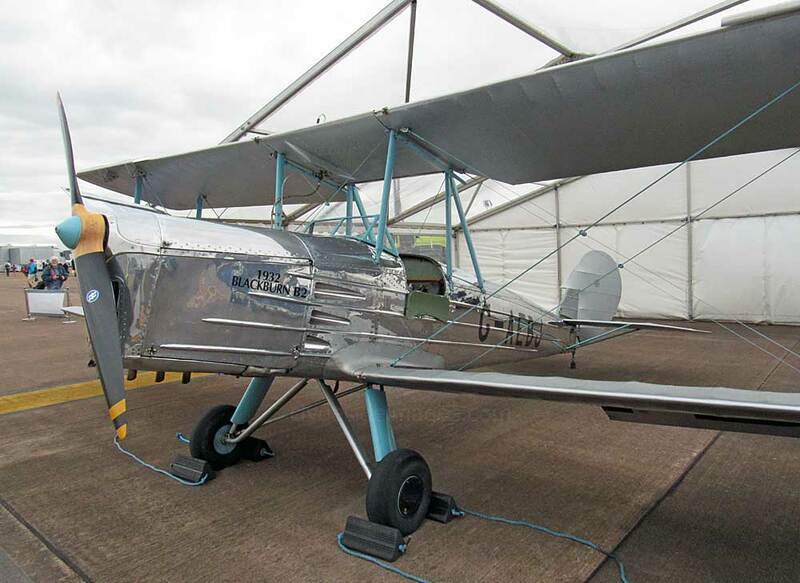 - ​David Bremner`s Bristol Scout C replica 1264 (G-FDHB). 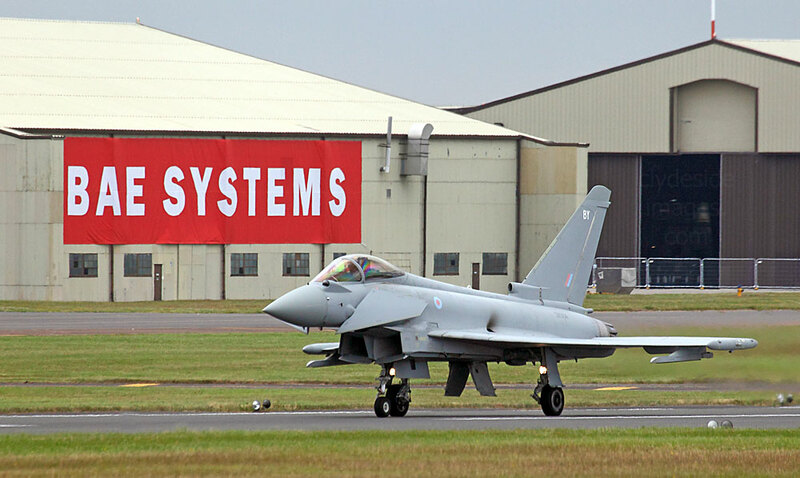 ​Above: Blackburn B-2 G-AEBJ and DH-60 Moth G-EBLV are both owned by BAe Systems, Farnborough. I only photographed some of the smaller civilian aircraft present including this trio comprising SOCATA TB-10 Tobago HB-KAB with Professional Flying Ltd`s Piper PA-28-180 Cherokee G-BABG and PA-28-151 Warrior G-BOYH. A rather fierce-looking Britten-Norman BN-2-T-4S Islander G-WPNS. On the right is ​Carlo Ferrari`s immaculate and very shiny Beech G18S N45CF. 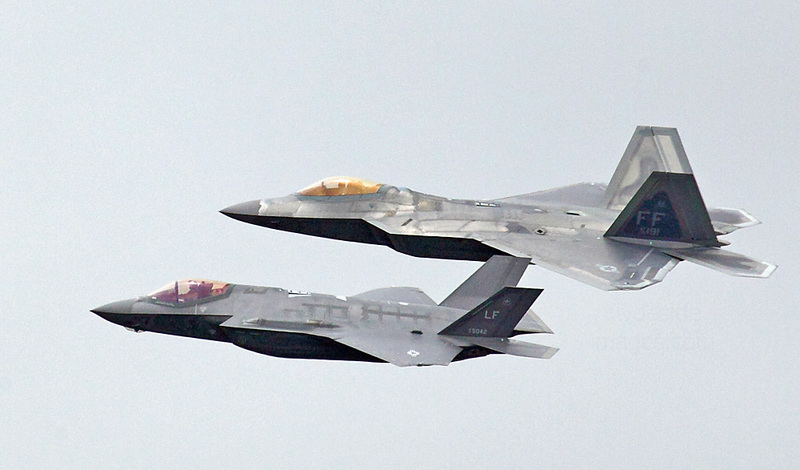 I`m not sure of the type/ identity of the aircraft on the left. Shorts SC.7 Skyvan 3M-400 G-PIGY. 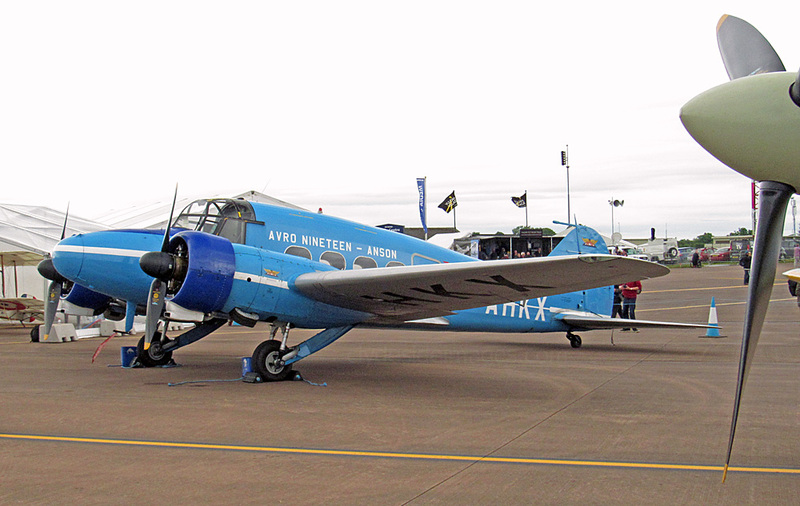 Avro Anson C-19 G-AHKX is owned by BAe Systems, Farnborough. 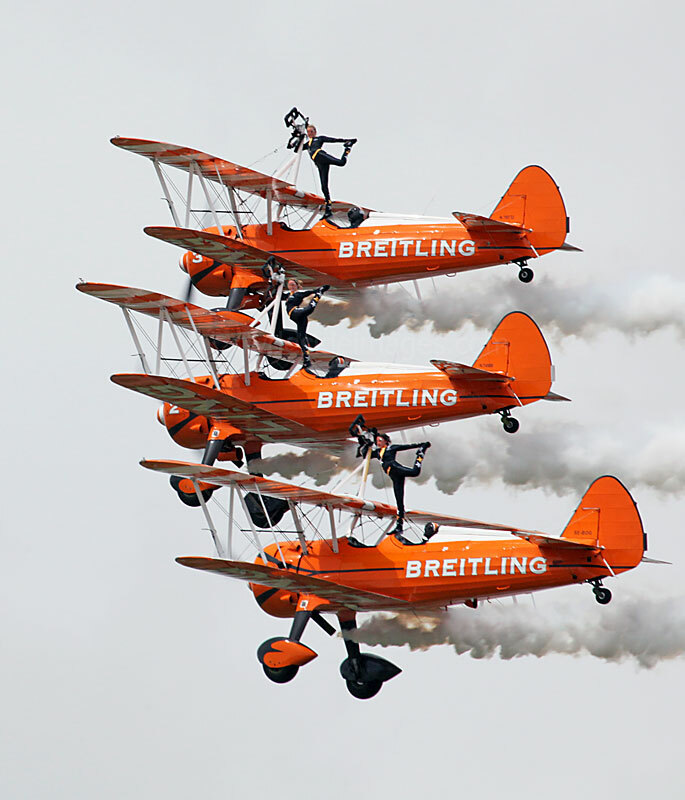 ​The Swiss chronometer manufacturer Breitling sponsors two aerobatic display teams, one performing in jet aircraft, and the world-famous Wing Walkers in their Stearman biplanes seen here. 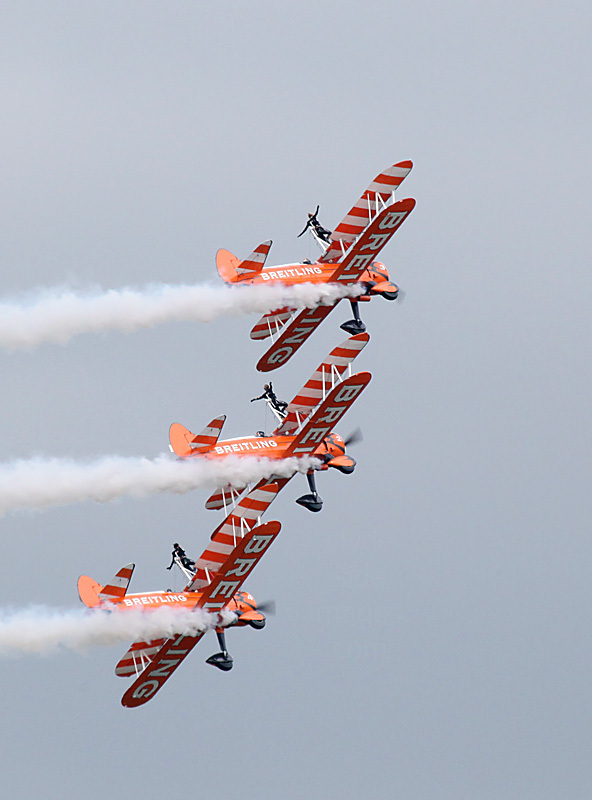 The 450hp Stearmans reach speeds of up to 150mph and the girls on the top wings experience forces up to 4g during aerobatic manoeuvres. 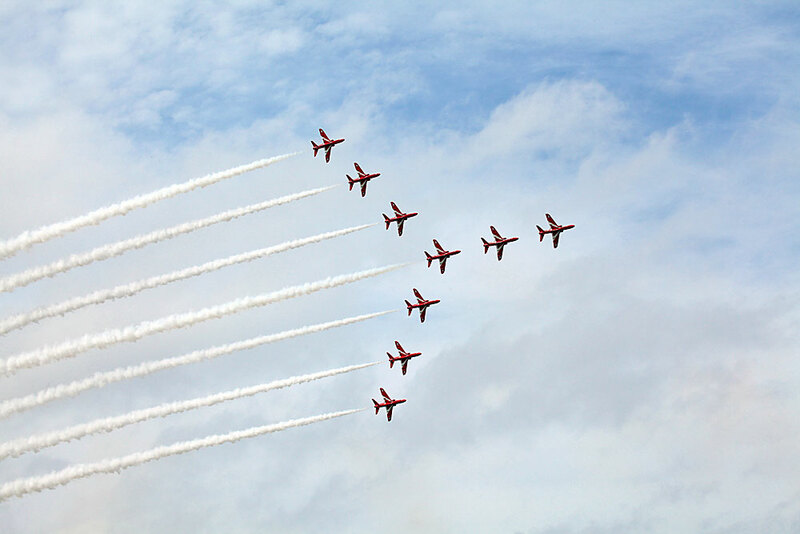 The team are now based locally at the former Royal Flying Corps airfield at Rendcomb near Cirencester, Gloucestershire. 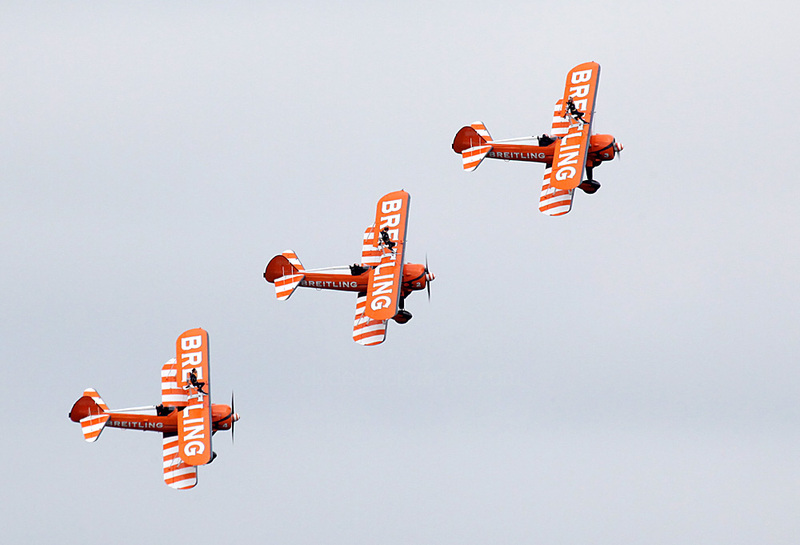 Breitling Wingwalkers` Boeing A75N1 Stearman N5057V. 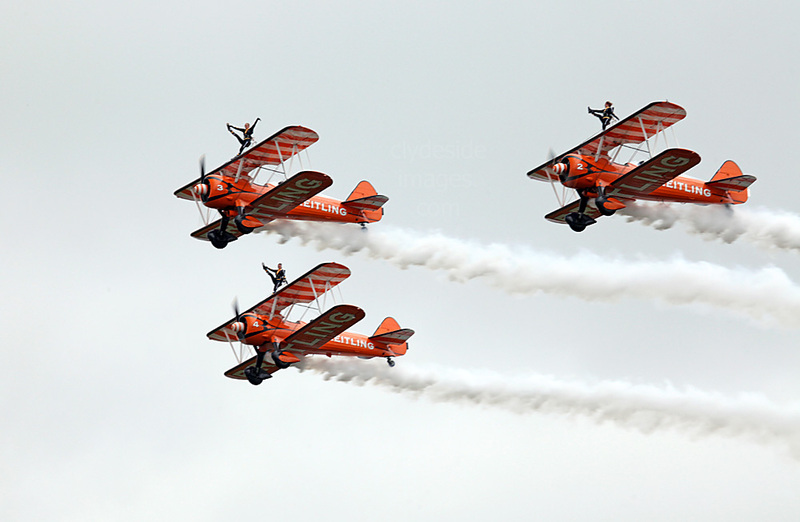 Frenchwoman Aude Lemordant, who is both the reigning aerobatics world champion and an accomplished airline pilot, took to the air at the same time as the Stearmans and performed an impressive solo aerobatic routine in her Extra EA-300SC F-HXAL (below) while the bi-planes formed up. 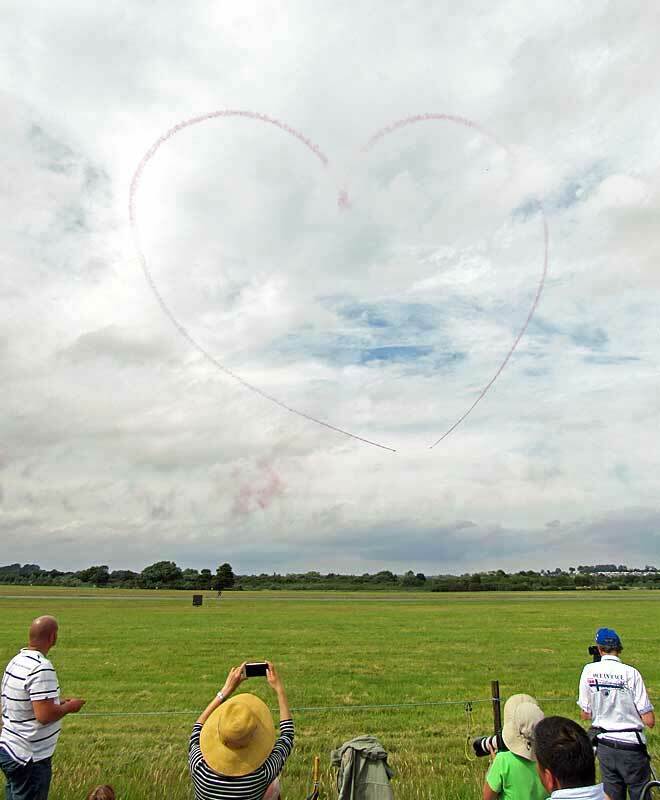 On the left, the Red Arrows give what is probably most visitors` verdict on the RIAT 2016!